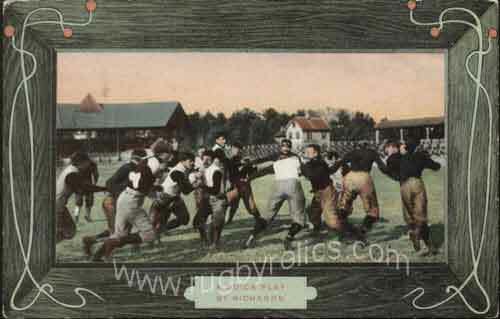 "A Quick Play by Richards", postcard circa 1905-1910, in excellent condition, unused with pencil notes on reverse. 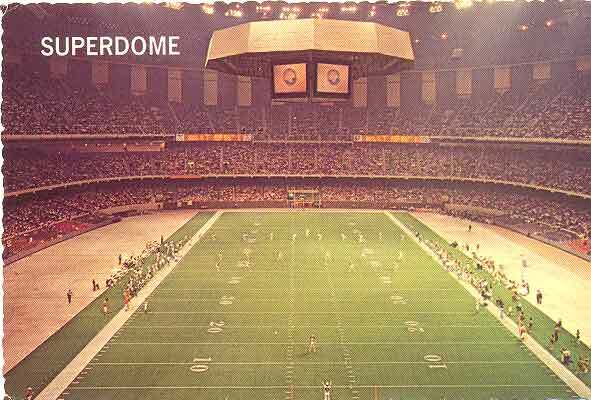 Louisiana Superdome. 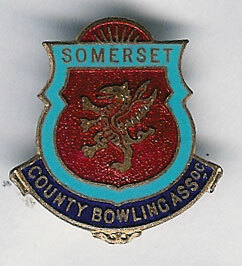 Postally used dated 5 December 1977. 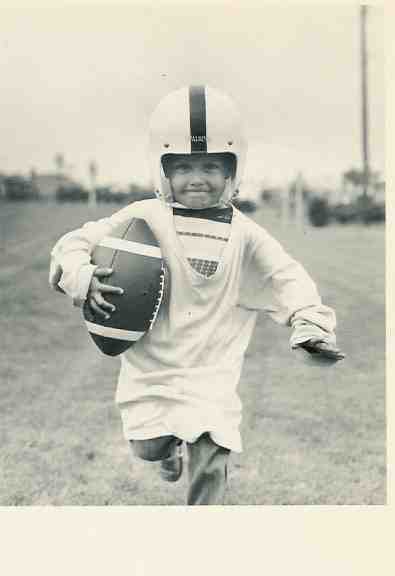 American Football by Eddie Hurford. 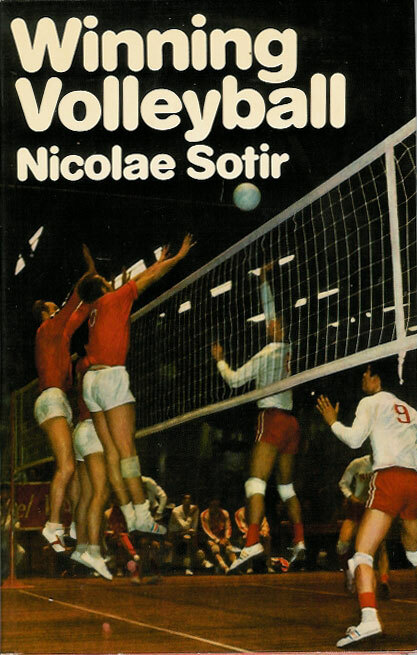 An 80-page paperback book published in 1984. A beginner's guide. Slightly creased cover otherwise in good condition. 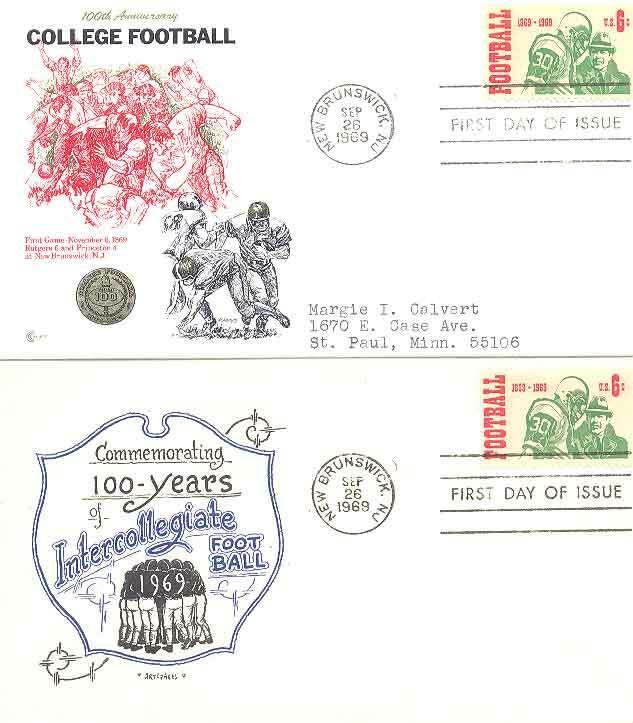 4 first day covers commemorating 100 years of intercollegiate football. 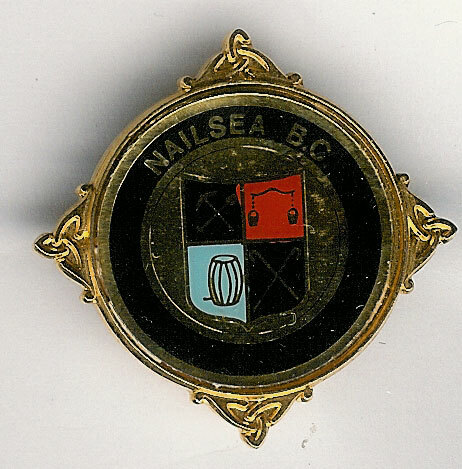 Issued 26 September 1969. 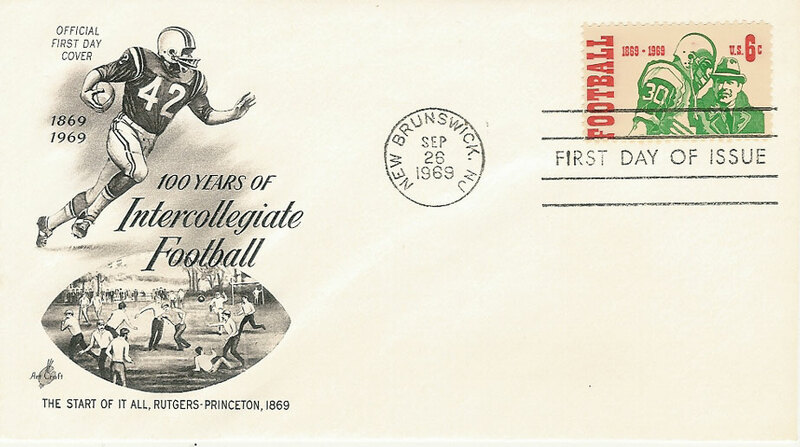 100 years of intercollegiate football 1969 USA First Day Cover - commemorating 100 years of intercollegiate football. 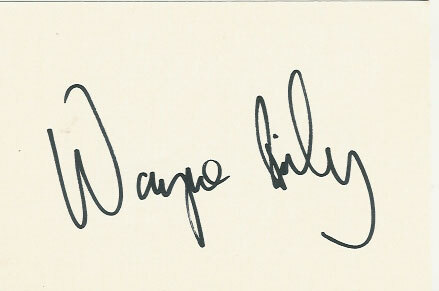 Issued 26 September 1969, typed address. 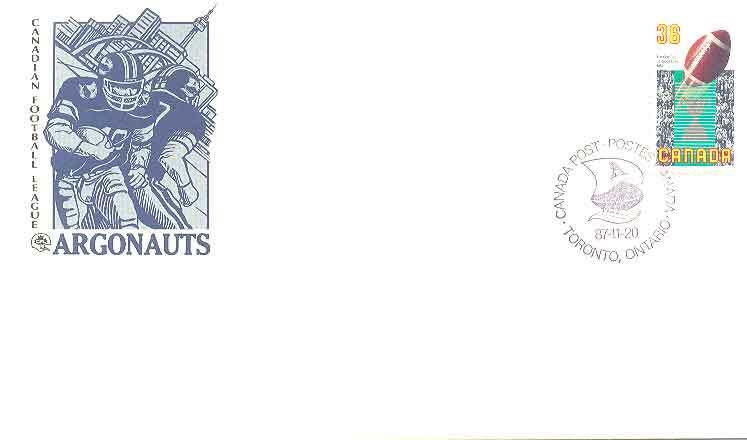 Canadian Football League - Toronto Argonauts FDC with special handstamp dated 20 November 1987. 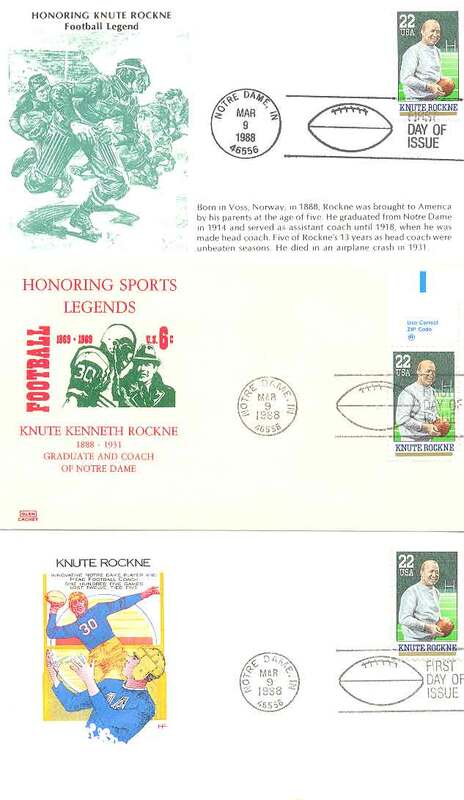 Knute Kenneth Rockne (1888-1931), American Football FDC x 3. 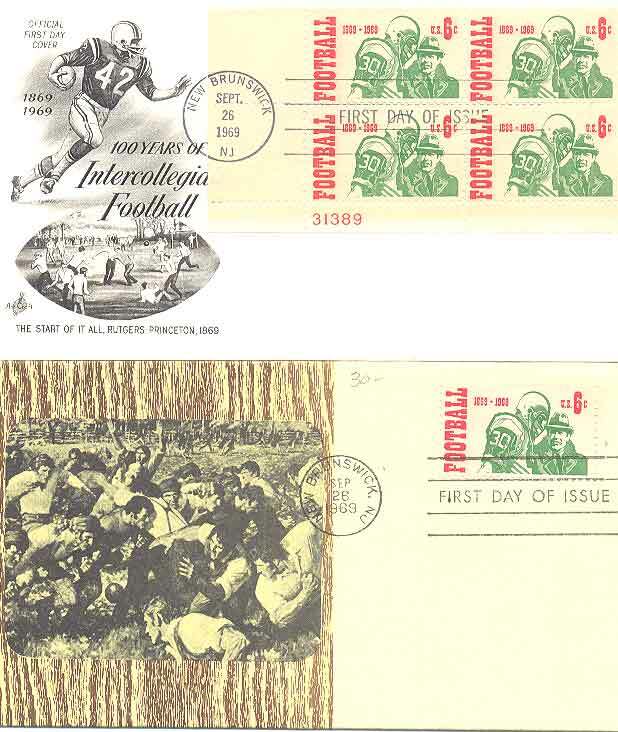 3 first day covers honouring the Americal Football legend Knute Rockne, issued 9 March 1988, all with first day of issue Notre Dame postmarks. 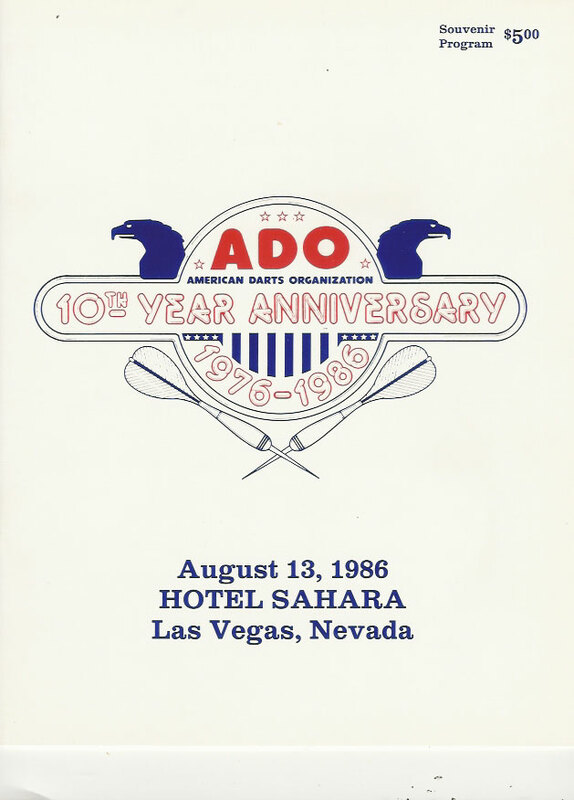 American Stamp Dealers Association Spring Stamp Fair 8-10 June 1990 Commemorative Cover. 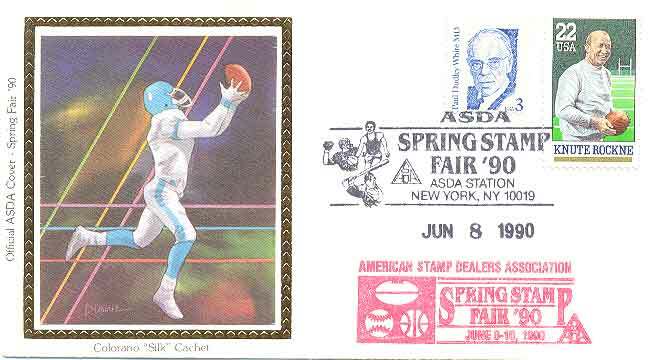 A Colorano 'Silk' cachet cover issued 8 June 1990 with a special stamp fair hand stamp & Knute Rockne stamp. 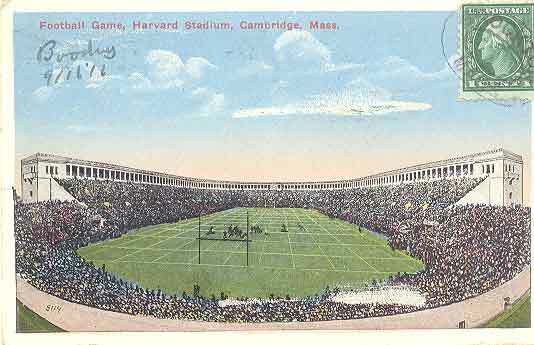 Charity Football Stadium November 25, cinderella stamp. 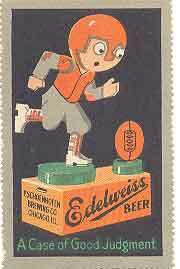 Edelweiss Beer - A Case of Good Judgement, cinderella stamp. 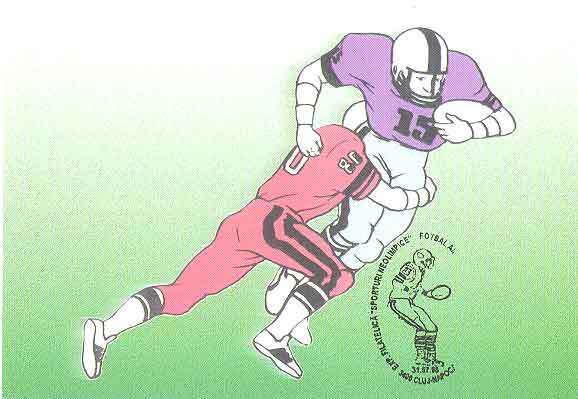 College Football on WMAQ, Chicago, ILL, meter mark, not on envelope. 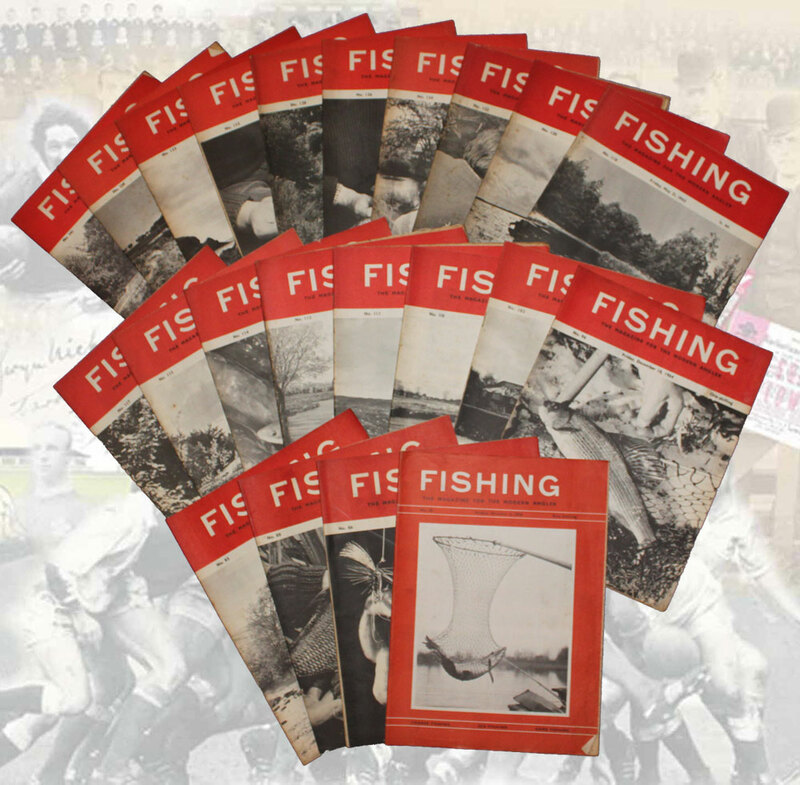 FISHING MAGAZINE - Nos 85 (2/10/64) 86 88 93 96 102 110 111 112 114 115 117 118 120 122 124 126 128 132 133 134 141. 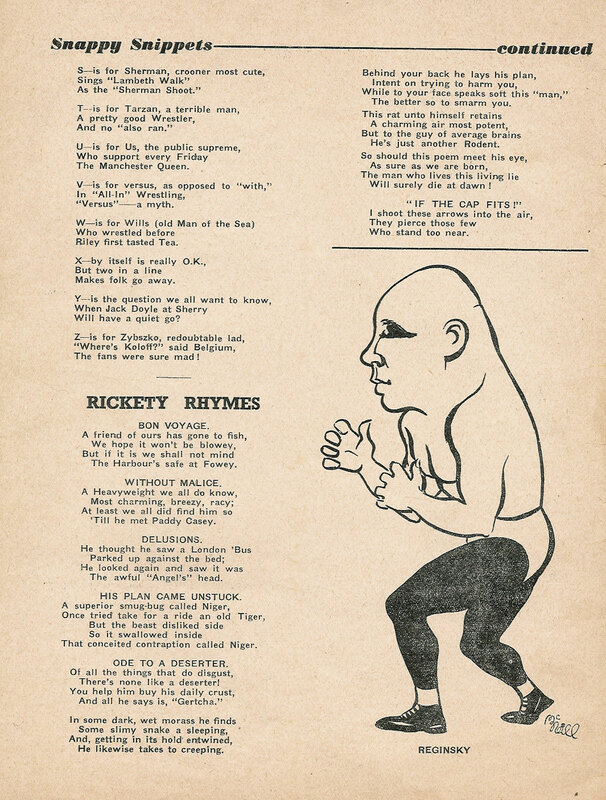 - sold as a group of 22 issues. We can split if necessary. WAFL Grand Final at Subiaco 18 September 1982 commemorative cover in very good condition. Richmond v Hawthorn in the AFL Premiership on 7 July (year unknown). 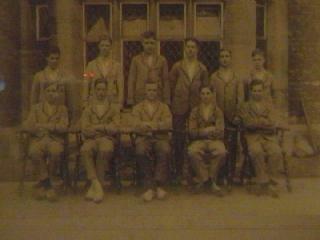 Print faded towards centre. 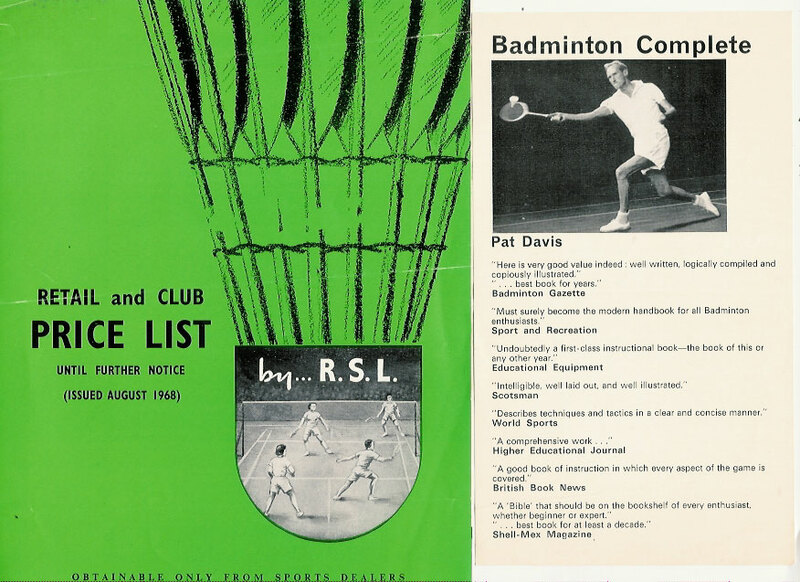 RSL BADMINTON SHUTTLECOCK PRICE LIST AUGUST 1968 & PAT DAVIS BOOK LEAFLET- A 4 page illustrated catalogue for RSL (Reinforced Shuttlecocks Ltd) plus a small leaflet advertising the Pat Davis book Badminton Complete, 2 items. 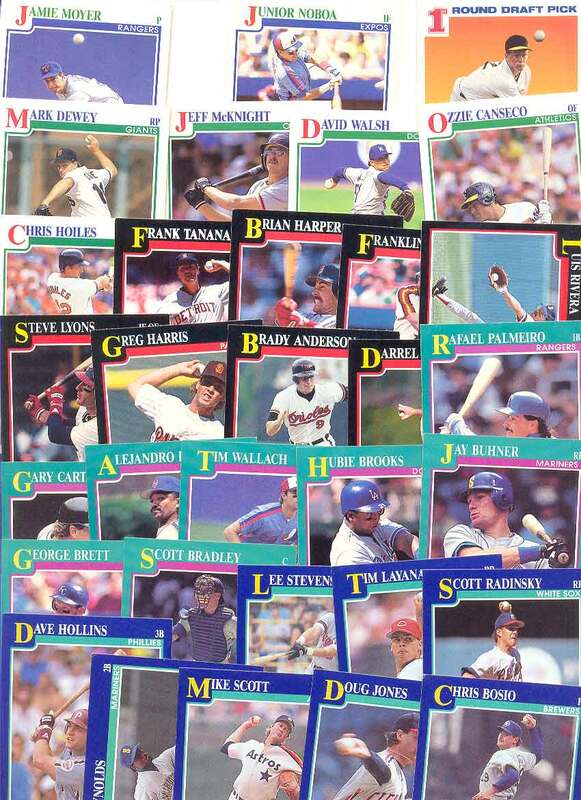 32 x "Score" baseball trade cards: 43 - Chris Bosio, 45 - Doug Jones, 46 - Mike Scott, 48 - Harold Reynolds, 61 - Dave Hollins, 62 - Scott Radinsky, 64- Tim Layana, 67 - Lee Stevens, 113 - Scott Bradley, 120 - George Brett, 125 - Jay Buhner, 196 - Hubie Brooks, 204 - Alejandro Pena, 210 - Tim Wallach, 215 - Gary Carter, 216 - Rafael Palmeiro, 223 - Darrel Akerfelds, 249 - Brady Anderson, 251 - Greg Harris, 269 - Steve Lyons, 271 - Luis Rivera, 308 - Franklin Stubbs, 312 - Brian Harper, 328 - Frank Tanana, 334 - Chris Hoiles, 346 - Ozzie Canesco, 351 - David Walsh, 369 - Jeff McKnight, 371 - Mark Dewey, 389 - Todd van Poppel, 423 - Junior Noboa, 437 - Jamie Moyer. 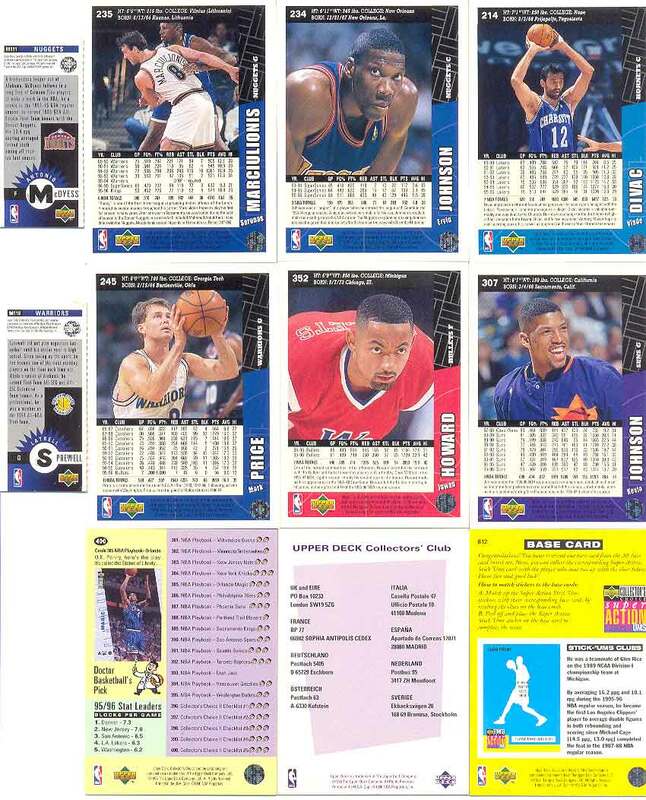 All cards are in good condition. 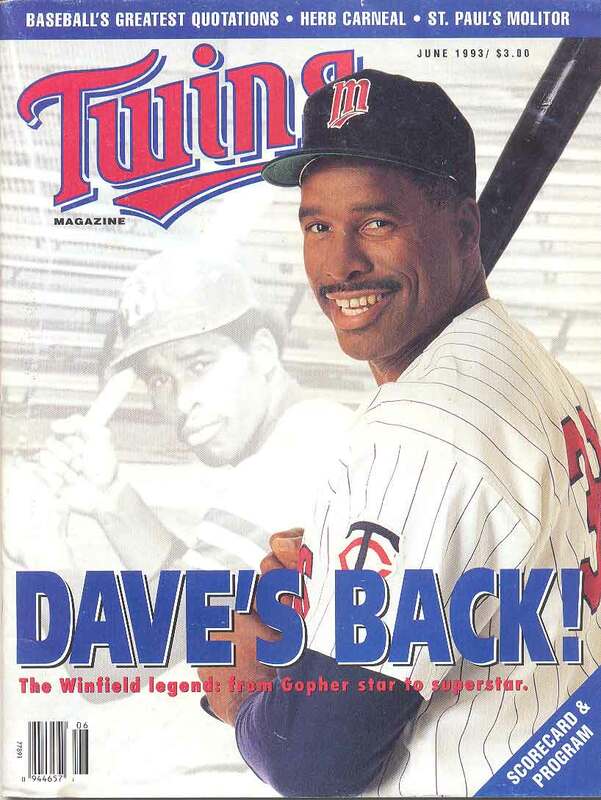 Minnesota Twins v Toronto Blue Jays at Minneapolis on 14-16 June 1993. A 104 page magazine style programme in very good condition. 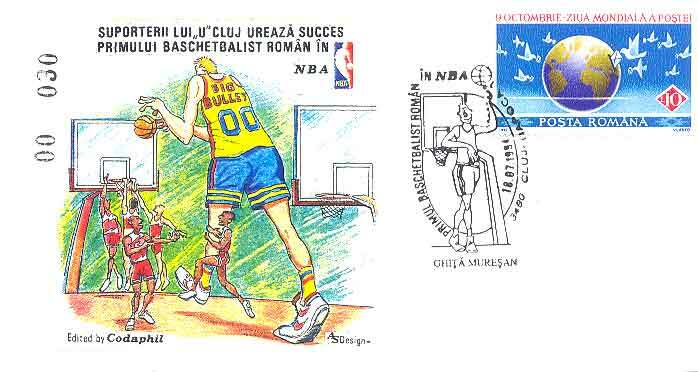 Romanian Basketball Federation commemorative cover, dated 18 July 1994 in very good condition. 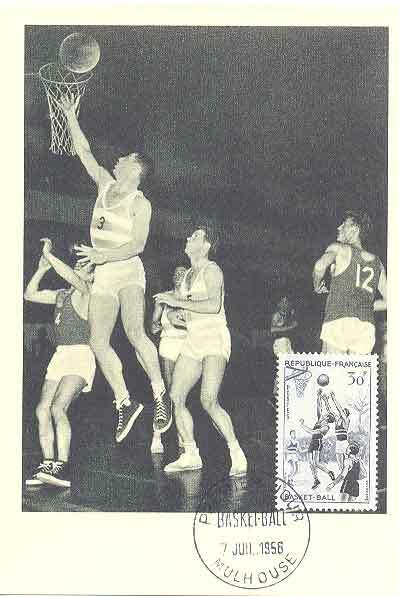 Basketball maximum card / postcard postmarked Mulhouse (France) on 7 July 1956, first day of issue for the French sports stamps set of this year, in very good condition. 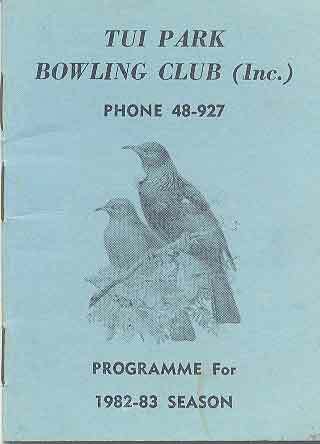 Tui Park Bowling Club (New Zealand) fixture list for 1982-83 season, a 24 page pocket sized booklet in very good condition. 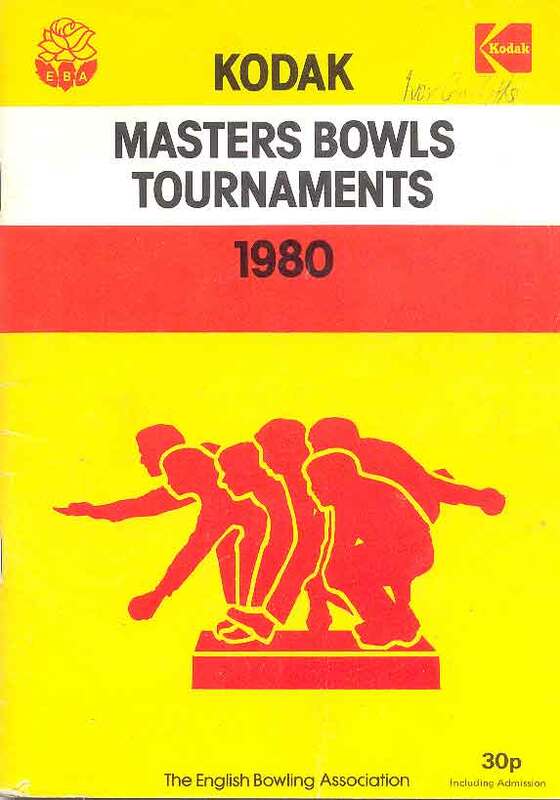 Kodak Masters Bowls Tournaments at Beach House Park, Worthing from 6 to 8 June 1980. 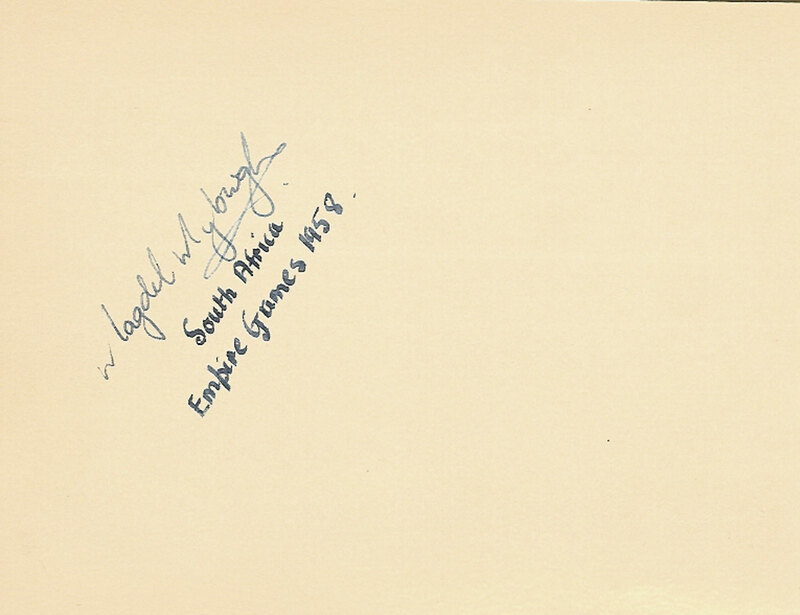 Name written on front cover otherwise in very good condition. 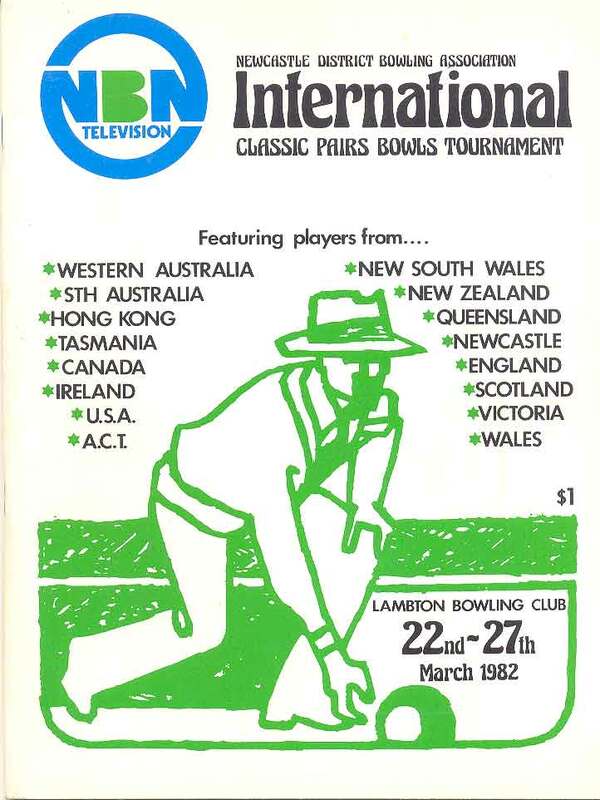 Newcastle District Bowling Association (Australia) International Classic Pairs Bowls Tournament at Lambton Bowling Club from 22 to 27 March 1982, a 58 page programme in very good condition. 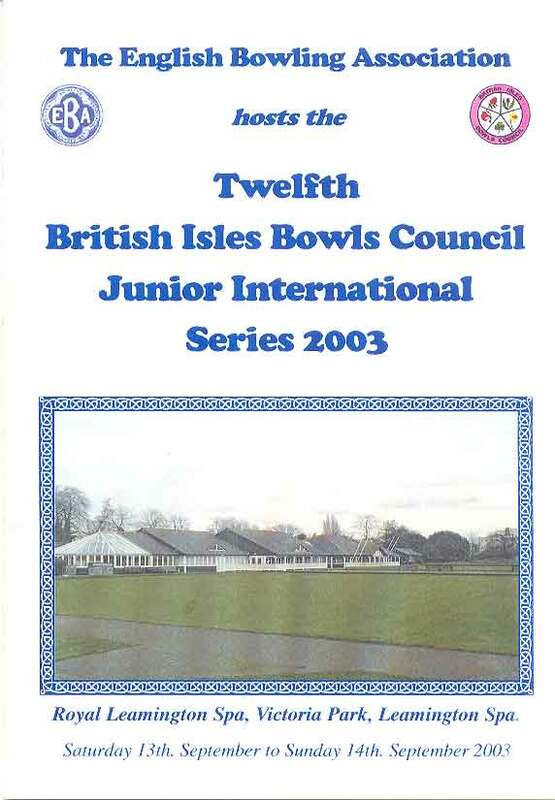 British Isles Junior International Bowls Series 2003 at Victoria Park, Royal Leamington Spa on 13 & 14 September 2003. A 12 page programme with scores added in very good condition. 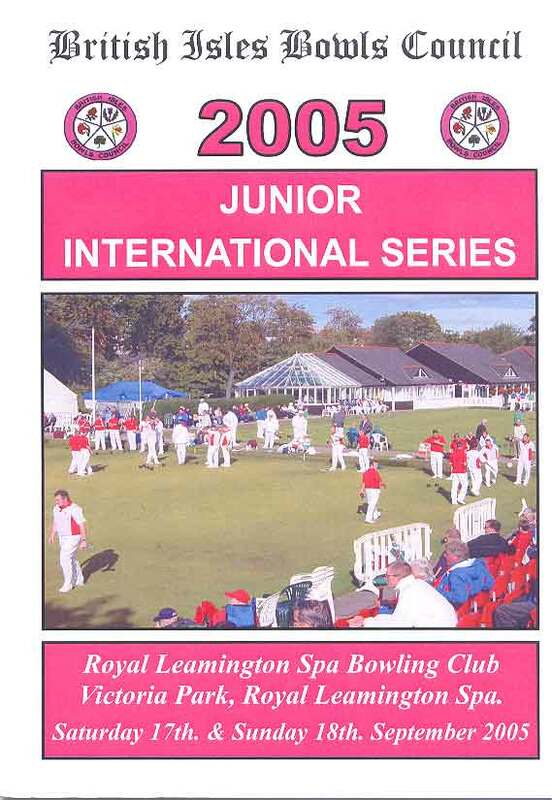 British Isles Junior International Bowls Series 2005 at Victoria Park, Royal Leamington Spa on 17 & 18 September 2005. A 16 page programme in very good condition. 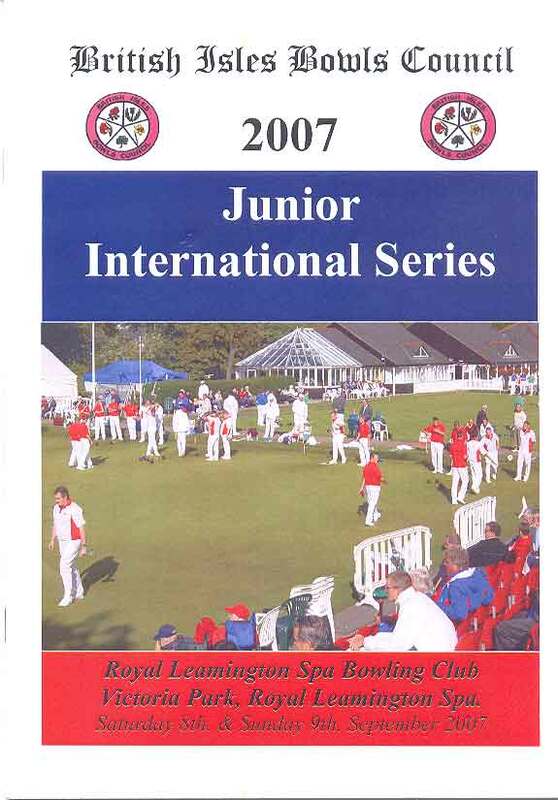 British Isles Junior International Bowls Series 2007 at Victoria Park, Royal Leamington Spa on 8 & 9 September 2007. A 16 page programme in very good condition. 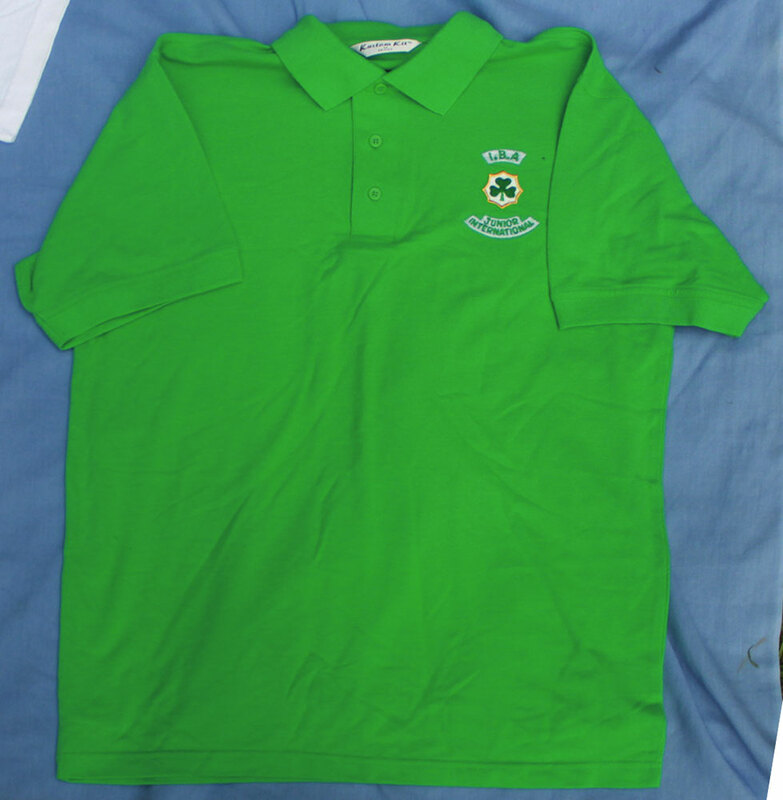 IRISH BOWLING ASSOCIATION JUNIOR INTERNATIONAL POLO SHIRT. 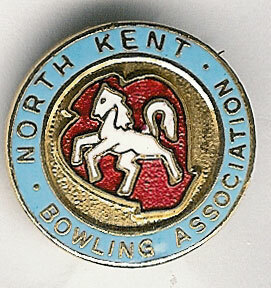 A green polo shirt by Kustom Kit and the size is M.
WELSH INDOOR BOWLING ASSOCIATION UNDER 25s INTERNATIONAL POLO SHIRT. 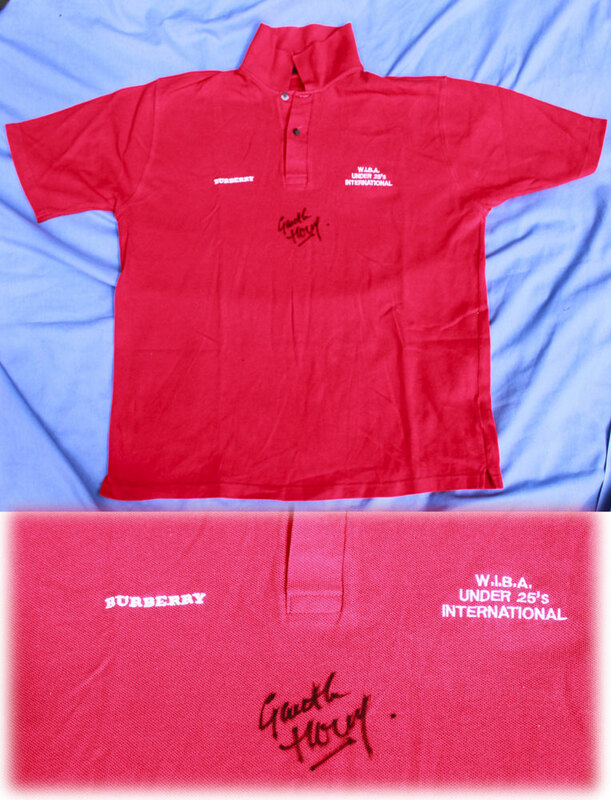 A red polo shirt with Gareth Thomas's autograph on the front. 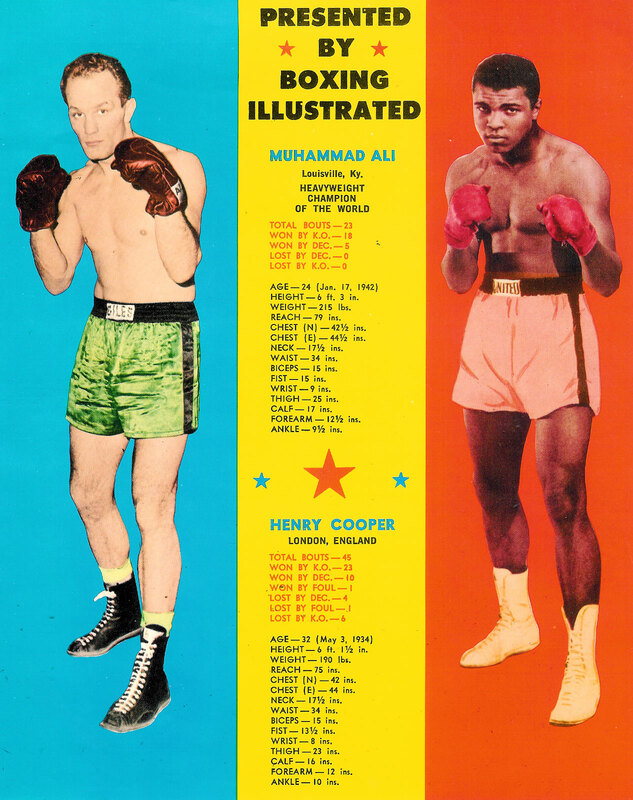 The polo shirt is by Burberry and the size is L.
"The People" Boxing Guide 1950 edited by Maurice Smith. 96 pages with soft cover. Slight creasing but otherwise in good condition. Muhammad Ali ( Cassius Clay ) v Henry Cooper (2nd fight) at Arsenal Stadium, Highbury 21 May 1966. 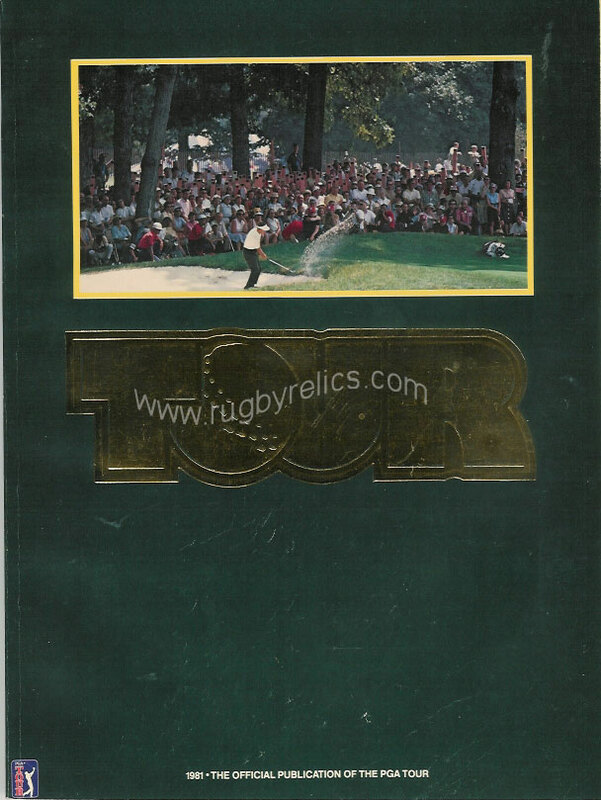 A 20 page programme with some light staining to the covers. 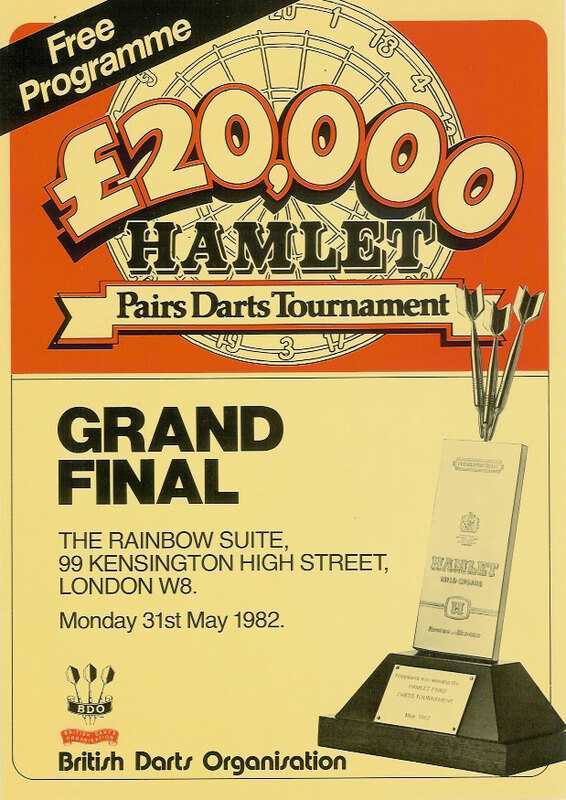 Also on the bill are Johnny Pritchett (Nottingham) v Johnny Kramer (Canning Town), Ron Gray (Walsall) v Billy Winter (Antigua), Tony Moore (Stepney) v Ernie Field (Halifax), Ian Hawkins (Hammersmith) v George Dularie (Bermondsey), Jimmy Tibbs (West Ham) v Tom Calderwood (Glasgow), Jimmy Ellis (USA) v Lewene Waqa (Fiji). 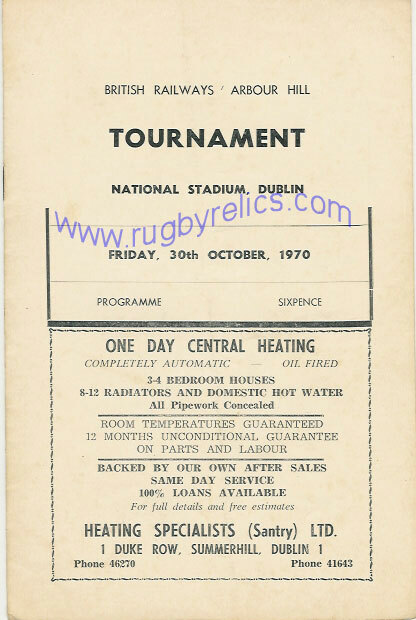 British Rail 'Arbour Hill Tournament at the National Stadium, Dublin 1970, slight crease. 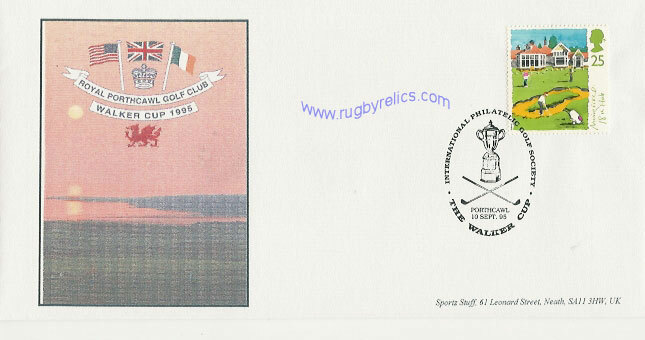 Leinster Senior Invitation Tournament 1985. 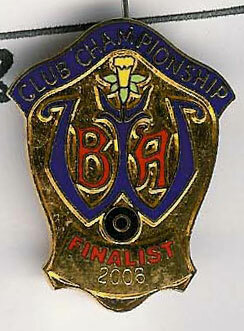 INCLUDING ALL 5 GAMES MEDAL WINNERS. 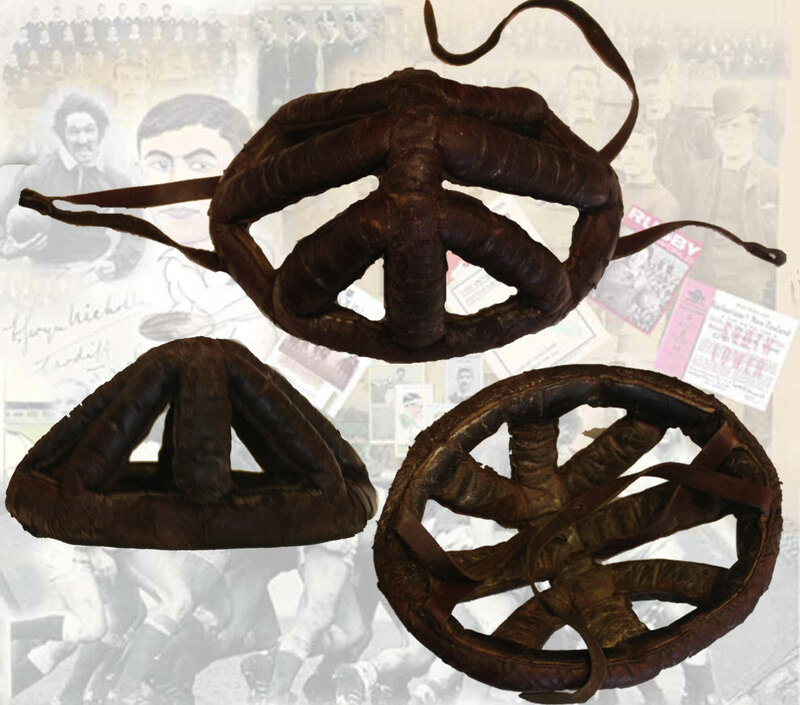 This is a wonderful opportunity to purchase all five boxers together placing them together at the scene of their great achievement. 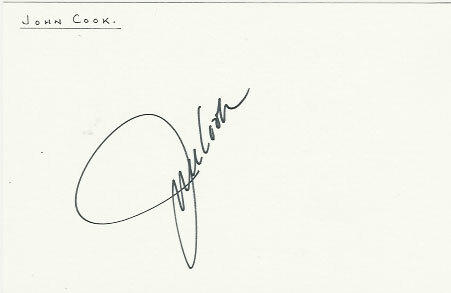 The sheet is accompanied by a COA guaranteeing that the autographs are original. 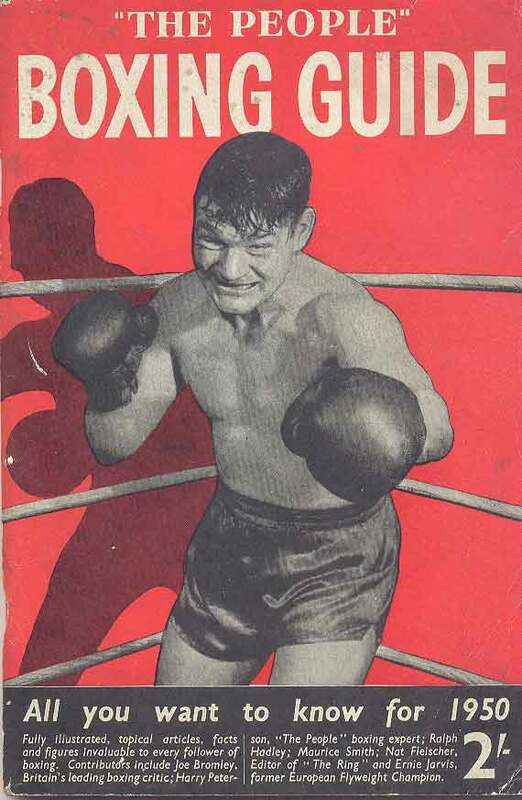 Post Office Picture Card Series PHQ 47 - Amateur Boxing. 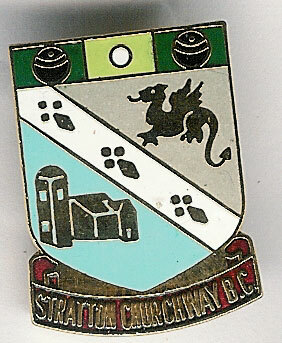 Reproduced from a stamp designed by Robert Goldsmith and issued by the Post Office on 10 October 1980, a block of 4 stamps to the reverse with a special handstamp for King Henry VII School. very good condition. 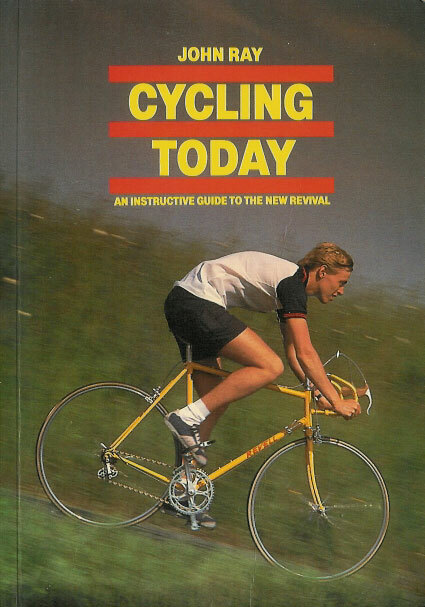 A general book about cycling, includes chapters on riding in heavy traffic, touring & camping, upgrading and selecting a quality machine. 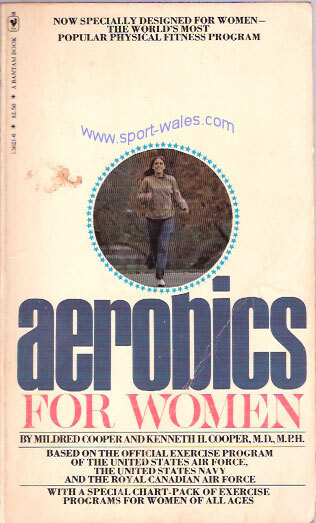 A second-hand paperback in good condition. A six bar circa 1930s leather cycling crash helmet, extremely rare. 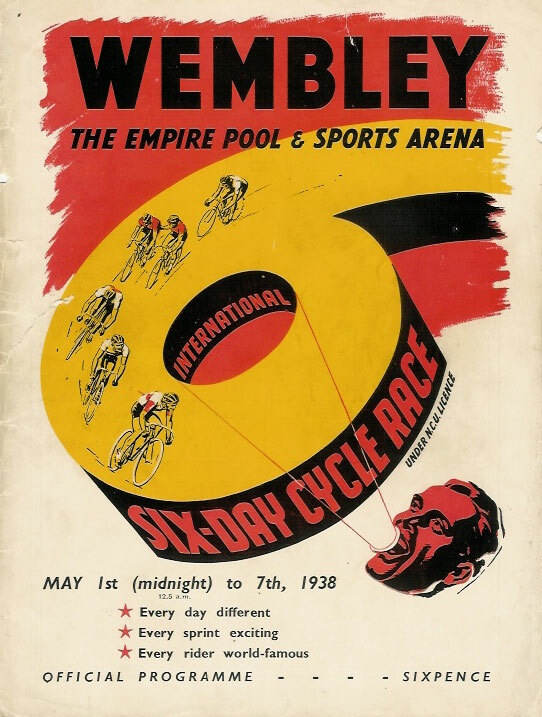 LONDON INTERNATIONAL 6 DAY CYCLE RACE at WEMBLEY 1-7 MAY 1938 PROGRAMME. 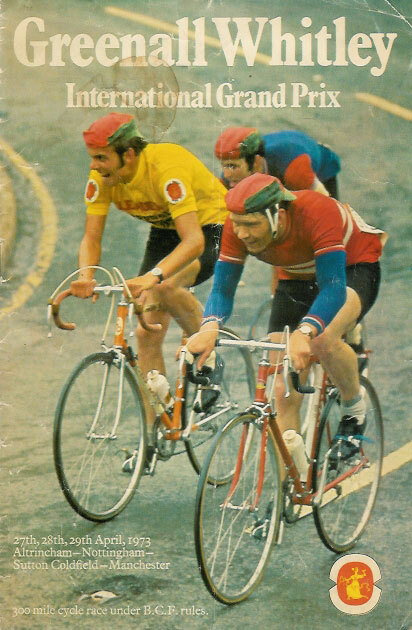 - The third ever London International 6 day cycle race at the Empire Pool & Sports Arena, Wembley, the programme includes the cyclists photos and in depth biographies and some very good historical articles. 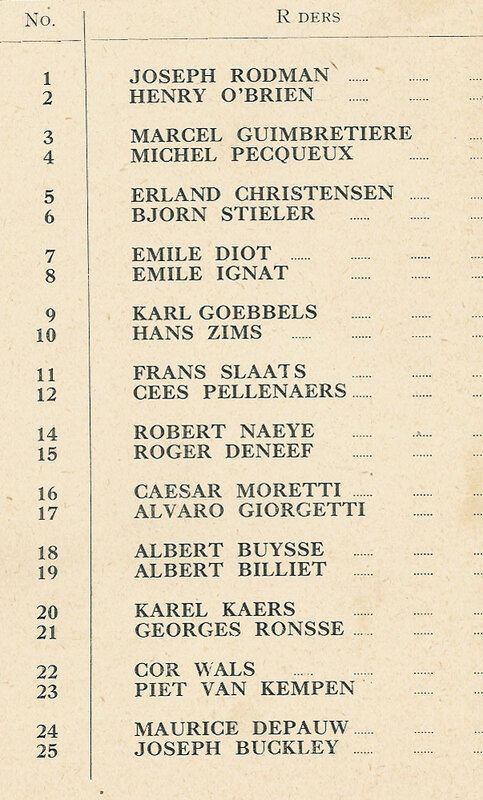 Teams include: Diot & Ignat, Slaats & Pellenaers, Wals & van Kempen. A 48 page programme that has split at the spine so the covers are loose. 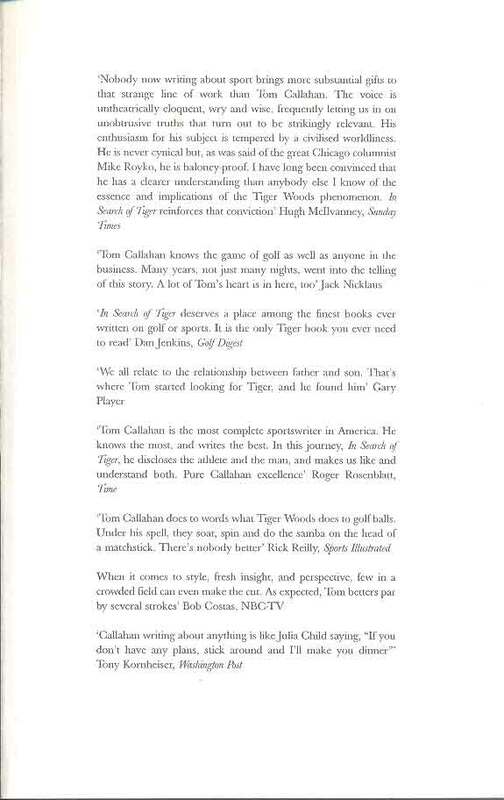 Generally the inside pages are in very good condition. 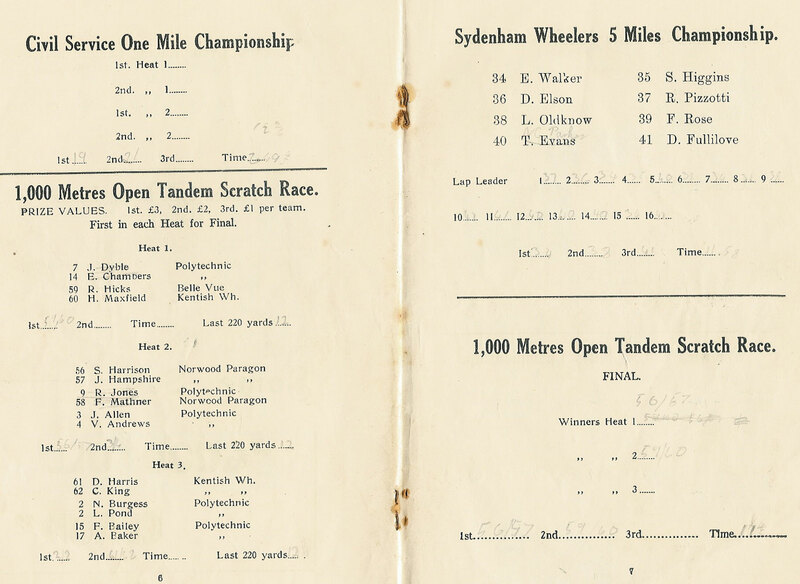 SOUTHERN COUNTIES GOOD FRIDAY 1939 TRACK CYCLE RACE MEETING PROGRAMME. 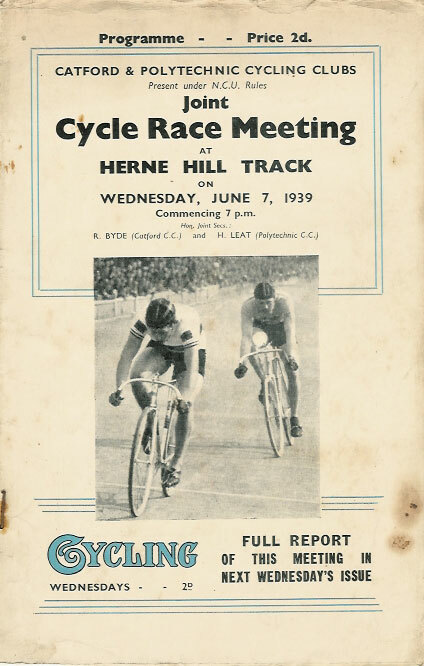 - An official programme for this track race meeting at Herne Hill, London, including a list of competitors for every race. 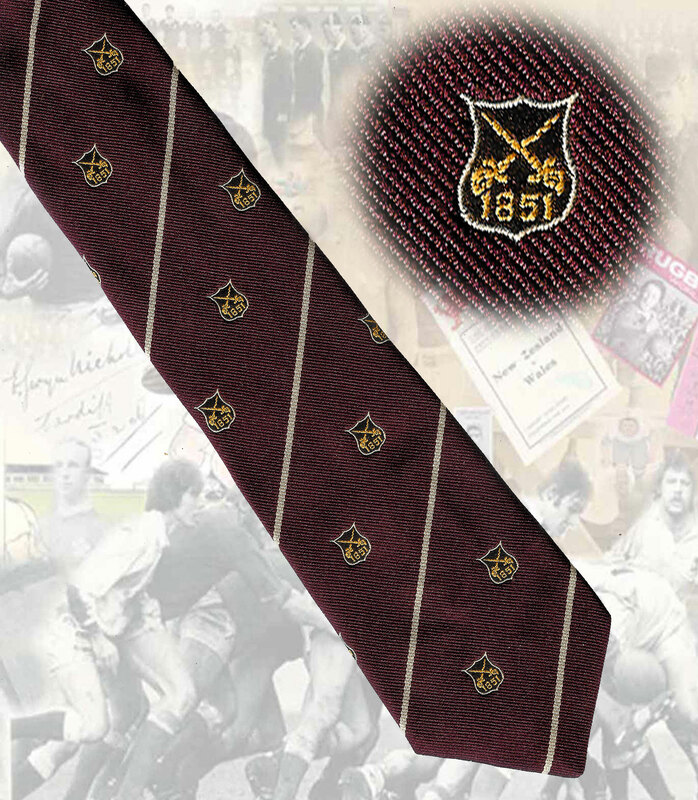 A 36 page programme with light wear throughout . 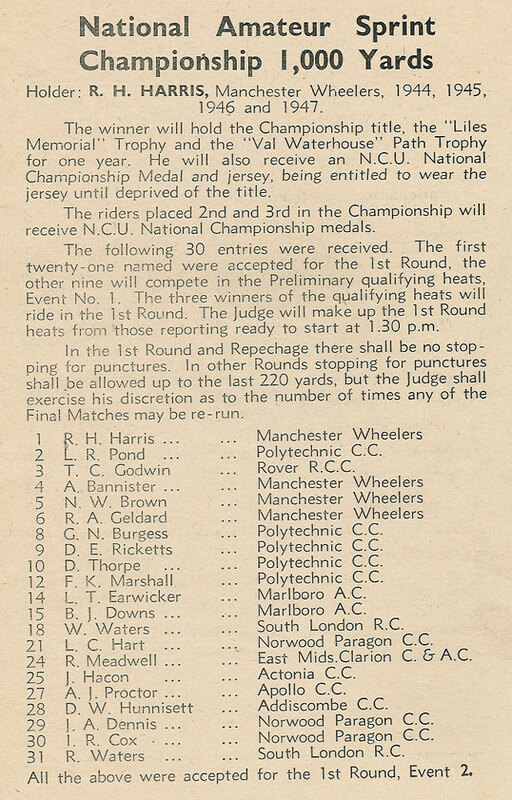 CATFORD & POLYTECHNIC CC TRACK CYCLE RACE MEETING 7 Jun 1939 PROGRAMME. 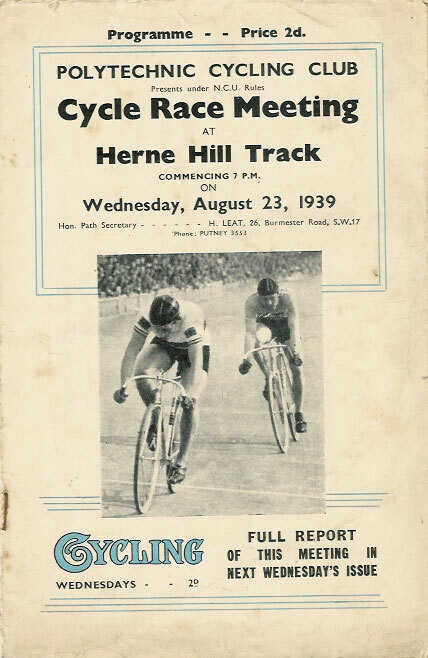 - An official programme for this track race meeting at Herne Hill, London, including a list of competitors for every race. A 16 page programme with some creasing and wear throughout. 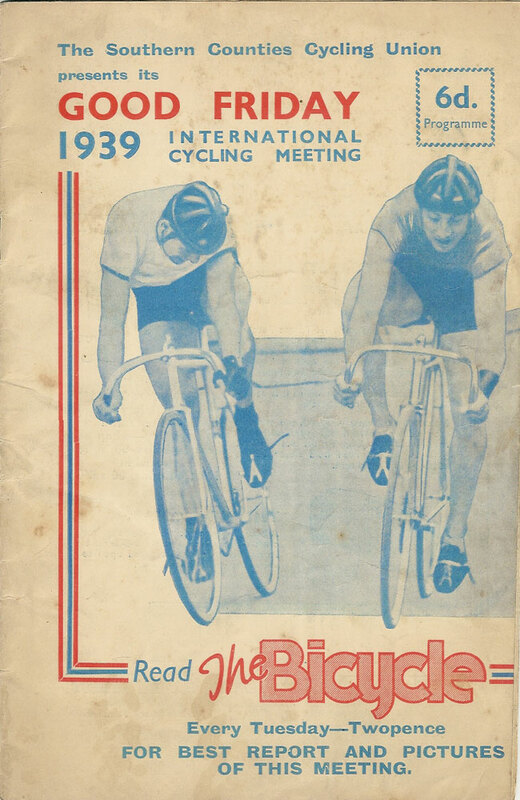 CATFORD & POLYTECHNIC CC TRACK CYCLE RACE MEETING 23 Aug 1939 PROGRAMME. - An official programme for this track race meeting at Herne Hill, London, including a list of competitors for every race. A 16 page programme with some creasing and wear throughout. 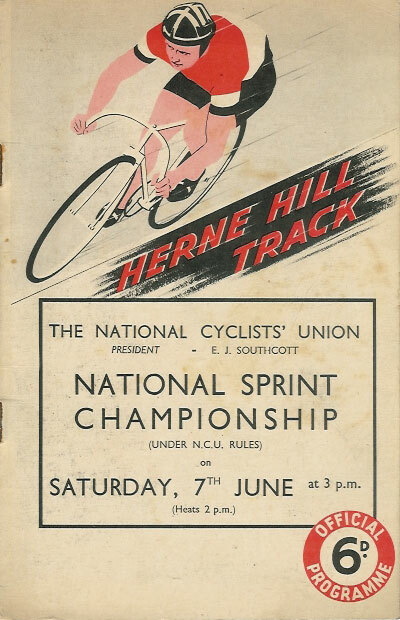 NATIONAL SPRINT CHAMPIONSHIP 7 Jun 1947 TRACK CYCLE RACE MEETING PROGRAMME, HERNE HILL. 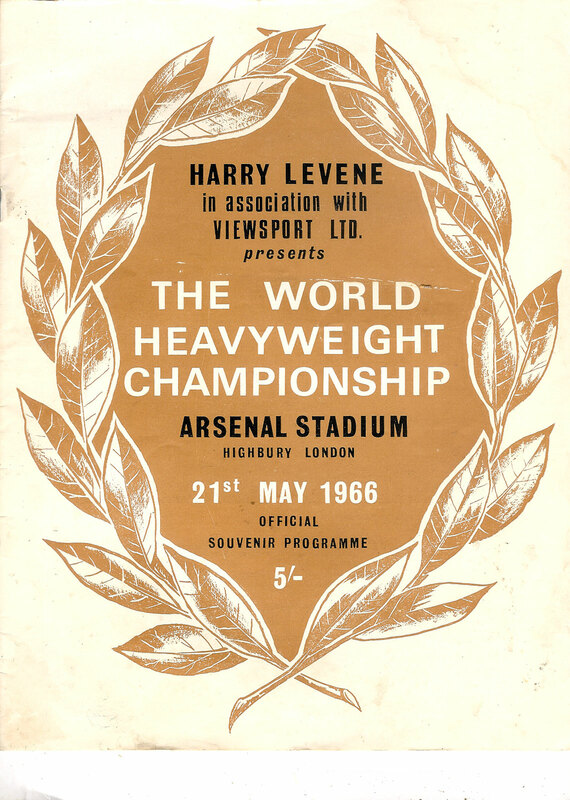 - An official programme for this track race meeting at Herne Hill, London, including a list of competitors for every race. A 16 page programme in good condition . 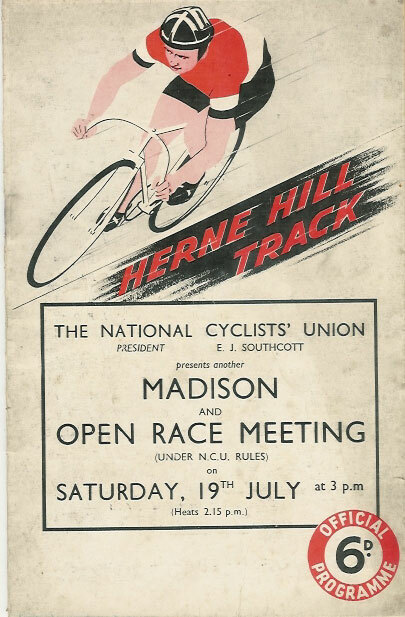 MADISON & OPEN CYCLE RACE MEETING 19 Jul 1947 PROGRAMME, HERNE HILL TRACK . - An official programme for this track race meeting at Herne Hill, London, including a list of competitors for every race. 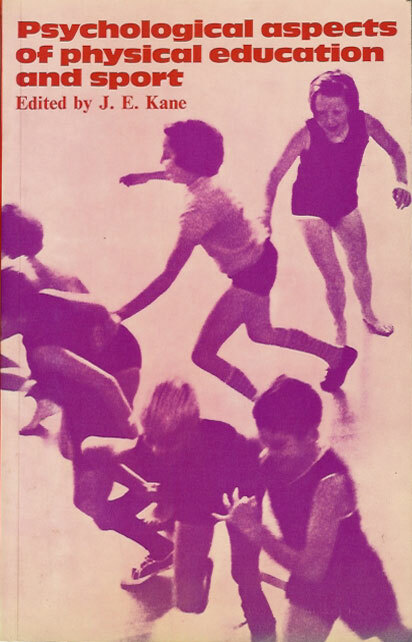 A 24 page programme with some discolouration and a slight crease. 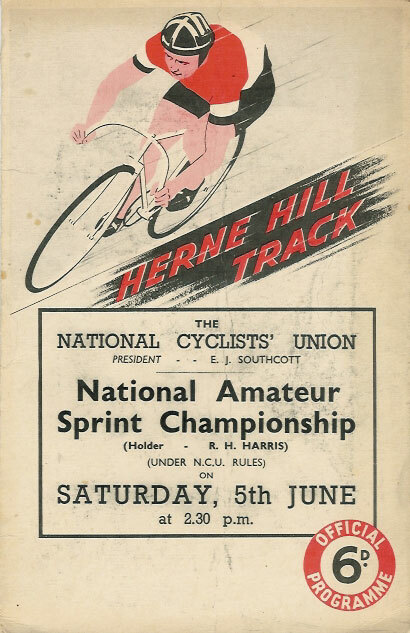 NATIONAL AMATEUR SPRINT CHAMPIONSHIP 5 Jun 1948 CYCLE RACE MEETING PROGRAMME, HERNE HILL TRACK. 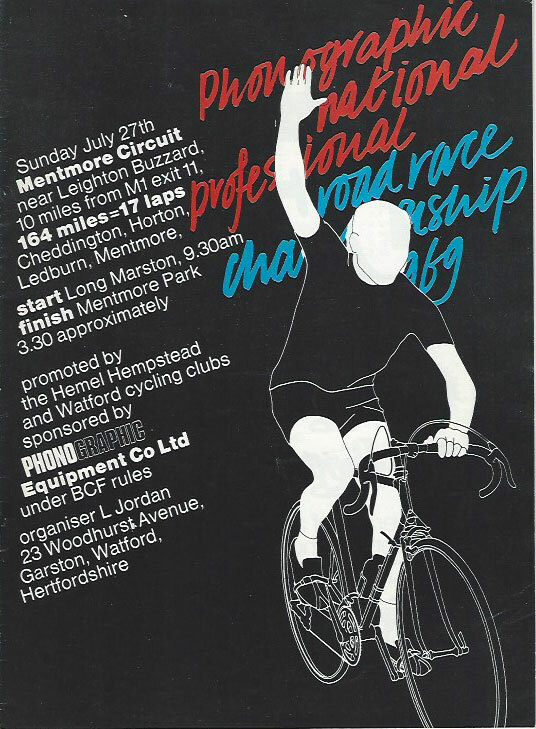 - An official programme for this track race meeting at Herne Hill, London, including a list of competitors for every race. 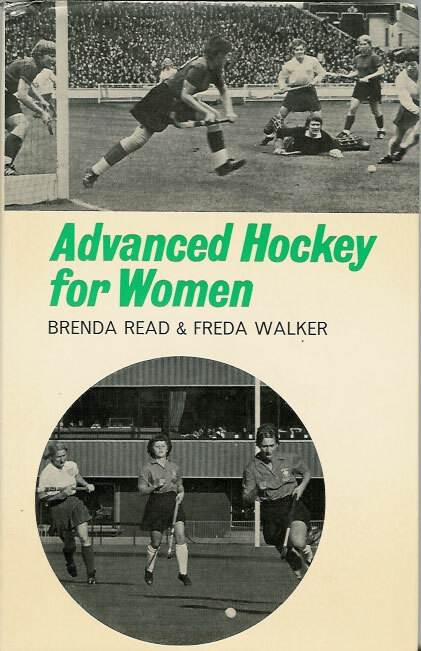 A 28 page programme with a single crease down the centre. 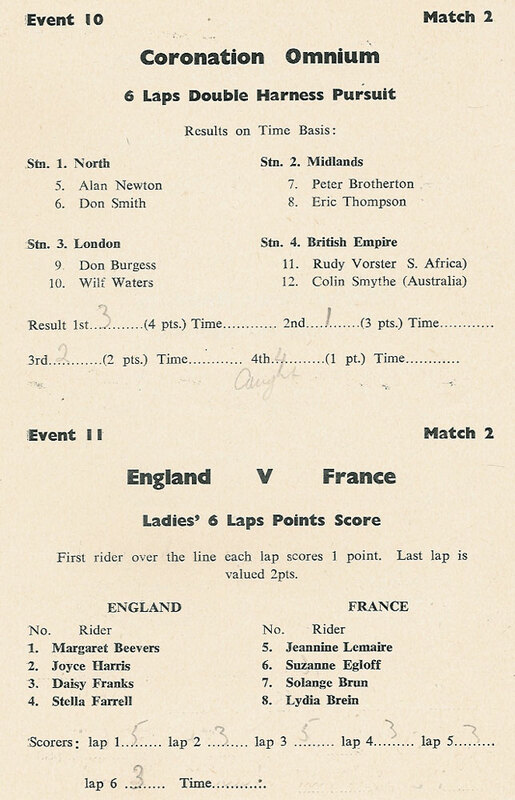 ENGLAND v FRANCE LADIES INTERNATIONAL CYCLE RACE MEETING 25 Jul 1953 PROGRAMME, HERNE HILL TRACK. 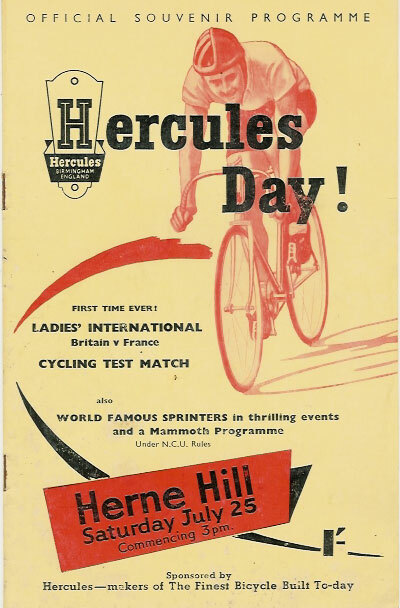 - An official programme for this track race meeting titled Hercules day at Herne Hill, London, including a list of competitors for every race. A 30 page programme in good condition. 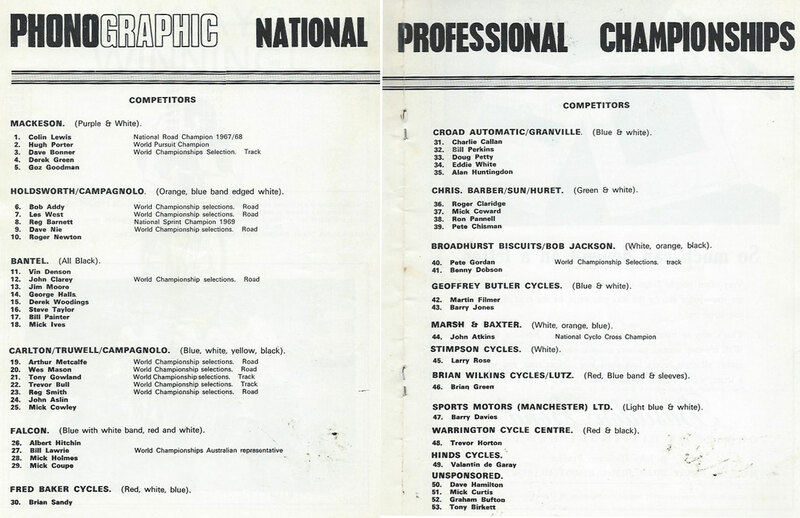 NATIONAL PROFESSIONAL CYCLING ROAD RACE CHAMPIONSHIP 27 Jul 1969 PROGRAMME. 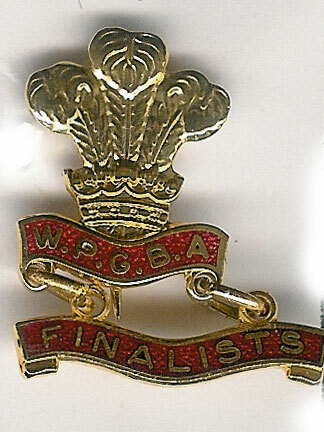 - An official programme for this cycle race including a list of competitors. A 12 page programme in very good condition . 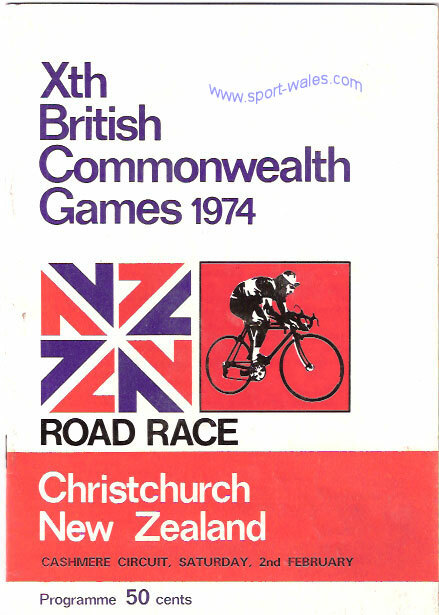 NZ Championships & Commonwealth Games Trial 1973, 36 page programme. 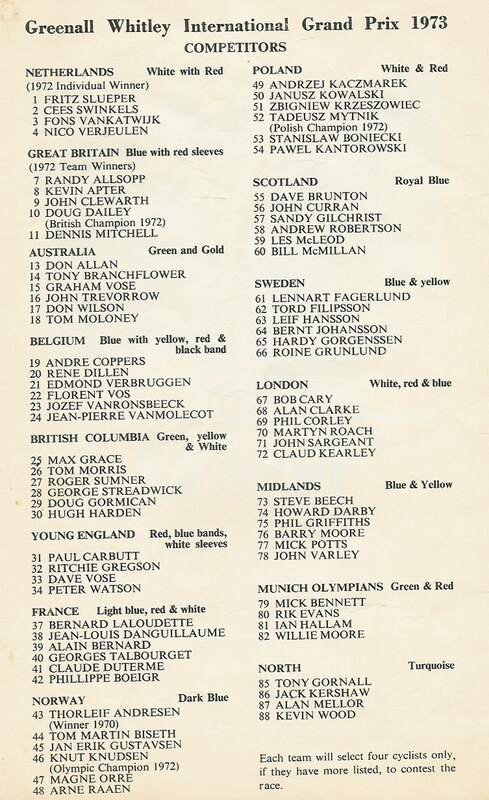 GREENALL WHITLEY 1973 CYCLE STAGE RACE PROGRAMME 27-29 APR. - An official programme for this stage race in the north of England including a list of competitors. A 12 page programme with a small stain on the front and some creasing throughout. 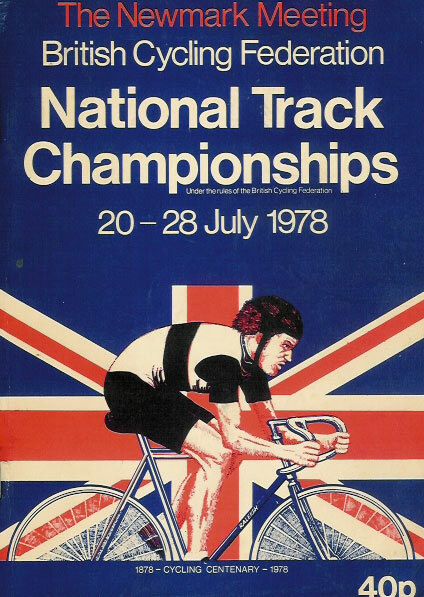 BRITISH NATIONAL CYCLING TRACK CHAMPIONSHIPS 20-28 Jul 1978 PROGRAMME, LEICESTER. - An official programme for this track race meeting at Saffron Lane, Leicester including a list of competitors for every race. 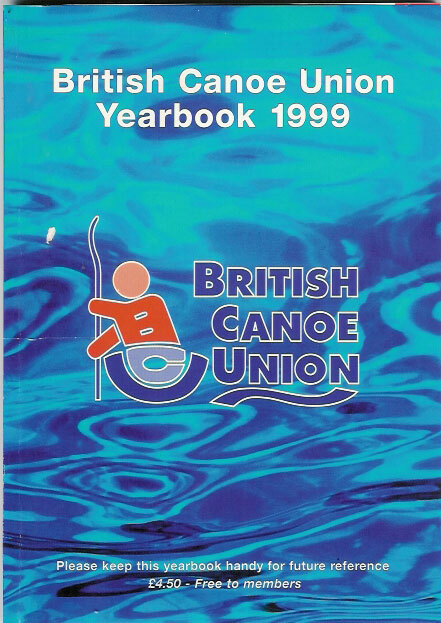 A 64 page programme with the results inked in, generally in good condition. 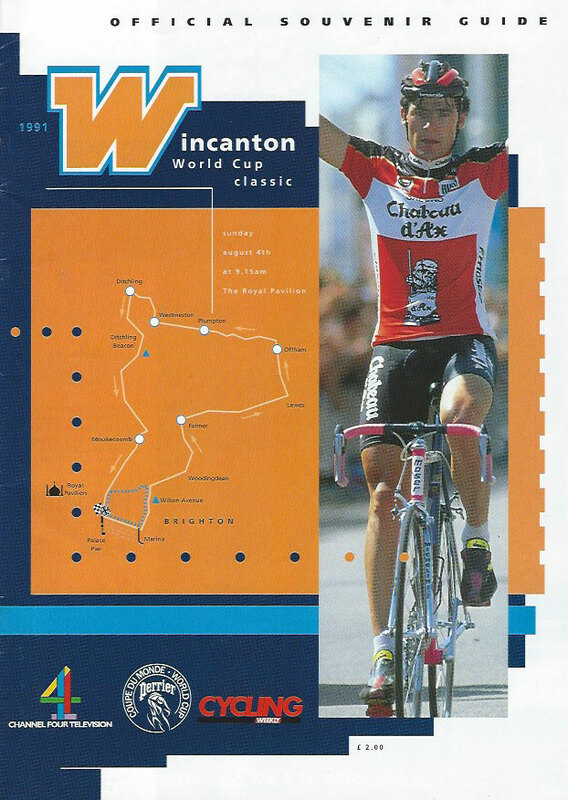 WINCANTON WORLD CUP CLASSIC 4 Aug 1991 CYCLING ROAD RACE PROGRAMME. 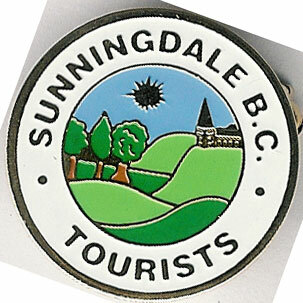 - An official programme for this cycle race including a list of competitors. A 24 page programme in very good condition . 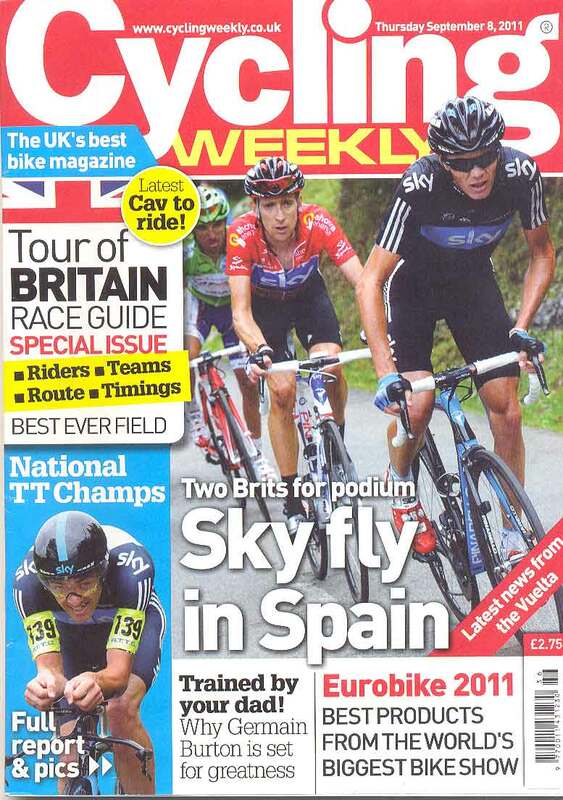 Cycling Weekly - 8 September 2011 includes Tour of Britain race guide special issue - riders, teams, route, timings, also National TT Championships, trained by your dad! - why Germain Burton is set for Greatness and Eurobike 2011 - best products from the world's biggest bike show. An 86 page magazine in good condition. 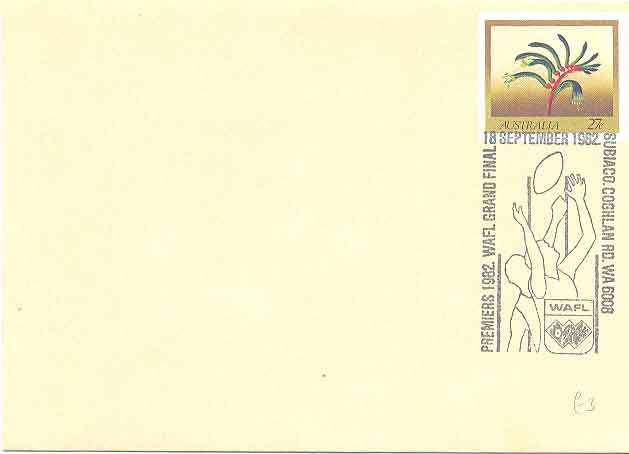 Ti Raleigh - World's Largest Bicycle Manufacturers Official Cover issued 2 August 1978 in Nottingham - salutes the Centenary of club cycling, with a 'carried by post office bicycle cachet' , in very good condition. 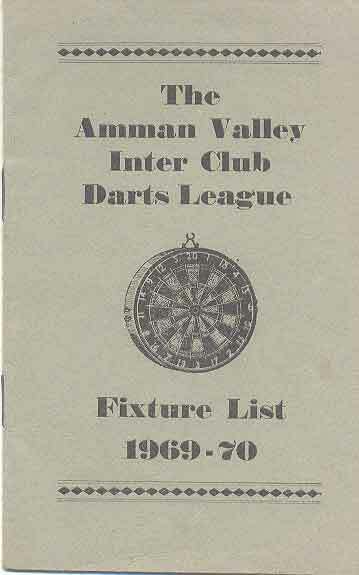 Amman Valley Inter Club Darts League Fixture List 1969-70. 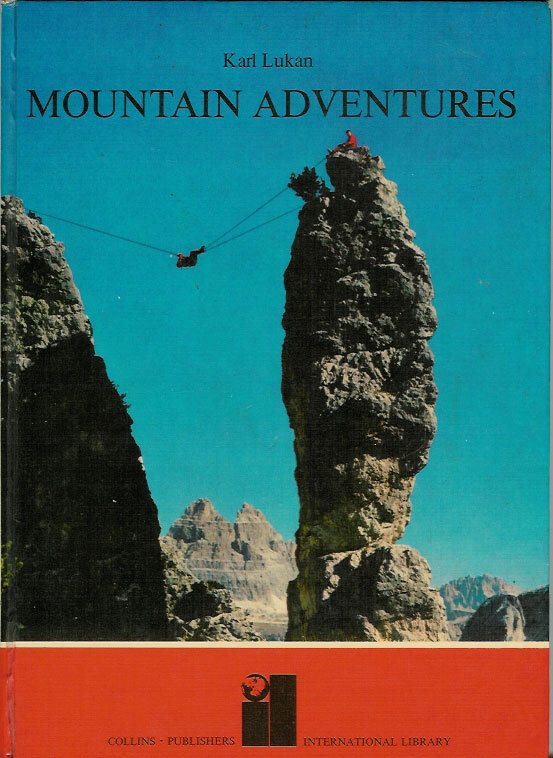 A 12 page booklet in very good condition. 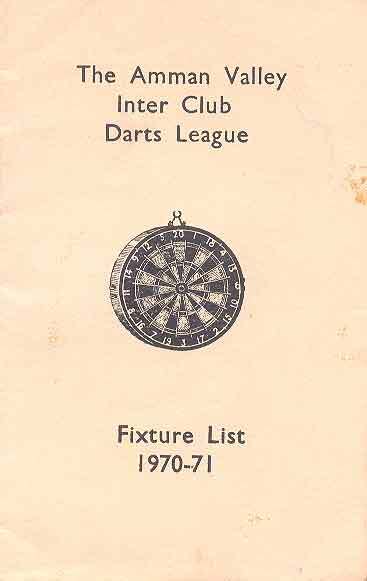 Amman Valley Inter Club Darts League Fixture List 1970-71. A 12 page booklet in good condition. 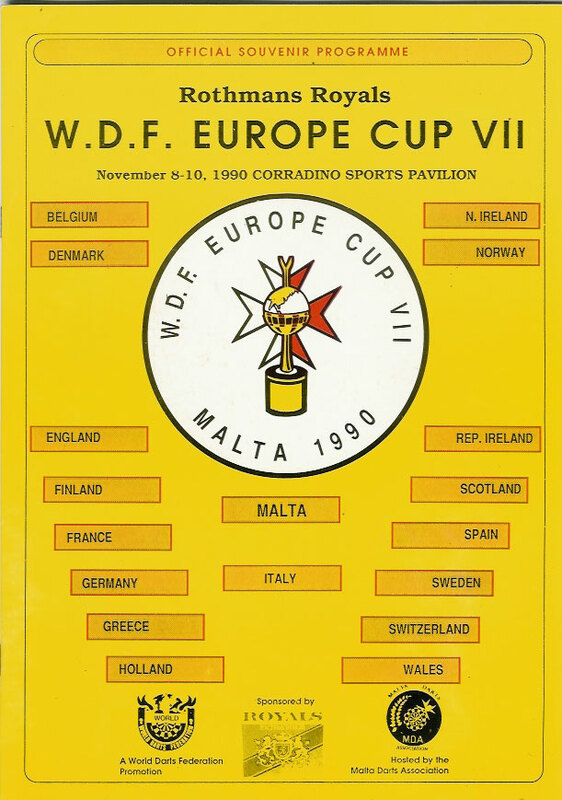 WDF Europe Cup 1990 in Malta. 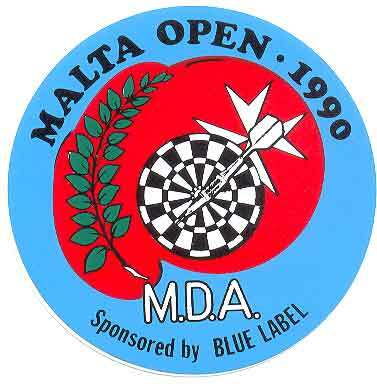 Malta Open 1990 sticker. 94mm in diameter in very good condition. W.D.F. 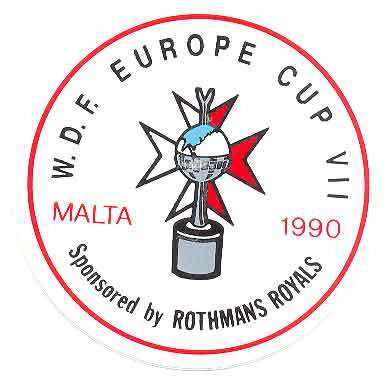 Europe Cup VII Malta 1990 sticker. 94mm in diameter in very good condition. 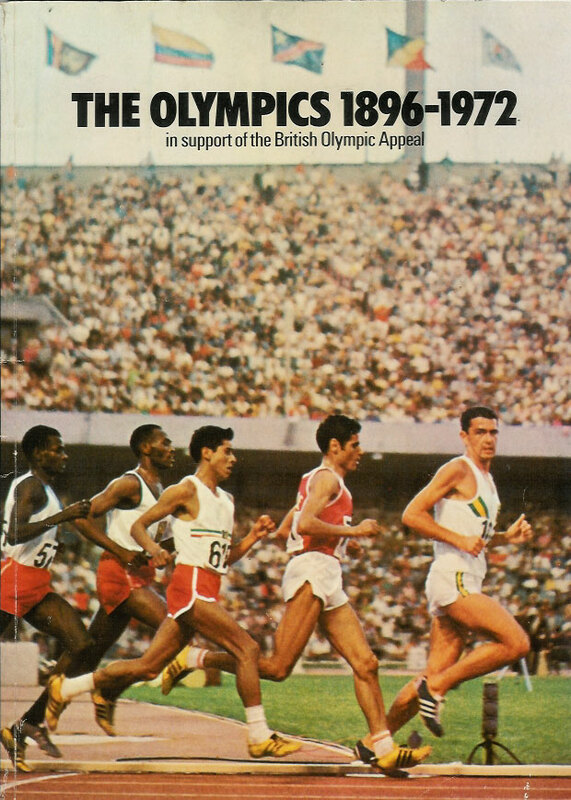 An illustrated history of the Olympic Games from it's inception to 1968. 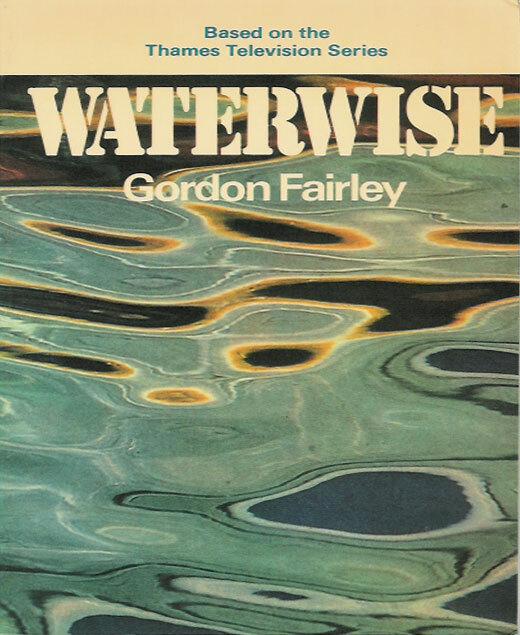 A secondhand large format paperback in good condition. 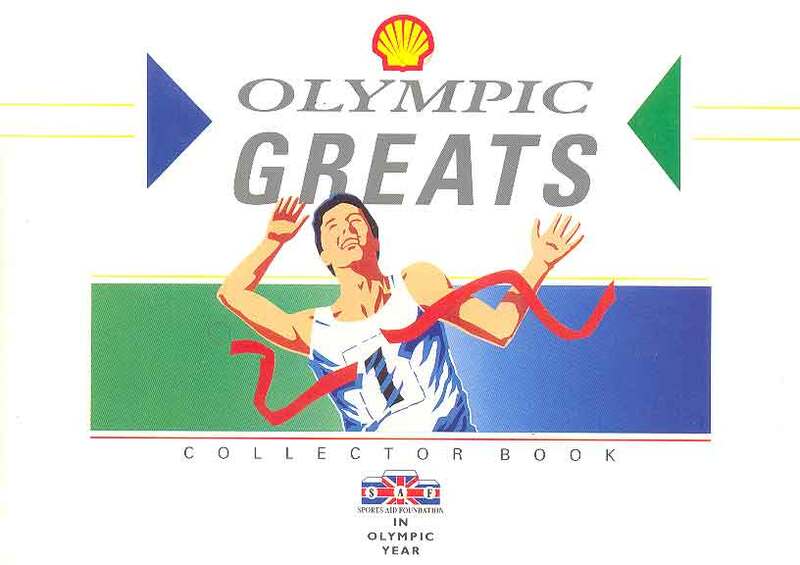 A 24-page sticker book for the 1992 Olympic Games in Barcelona, published by Shell, U.K. One out of the 12 stickers has been added to the book which is in very good condition. 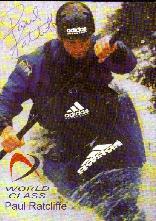 PAUL RATCLIFFE - 2000 Olympic silver medallist at slalom kayak. 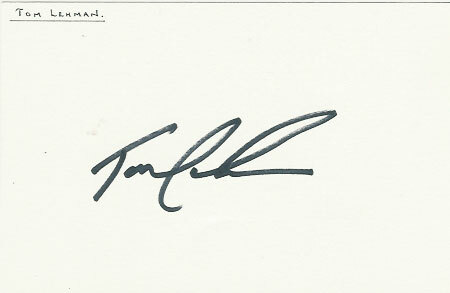 Postcard sized "World Class Performance" promo card signed by Ratcliffe. 1964 Winter Olympics, Innsbruck. 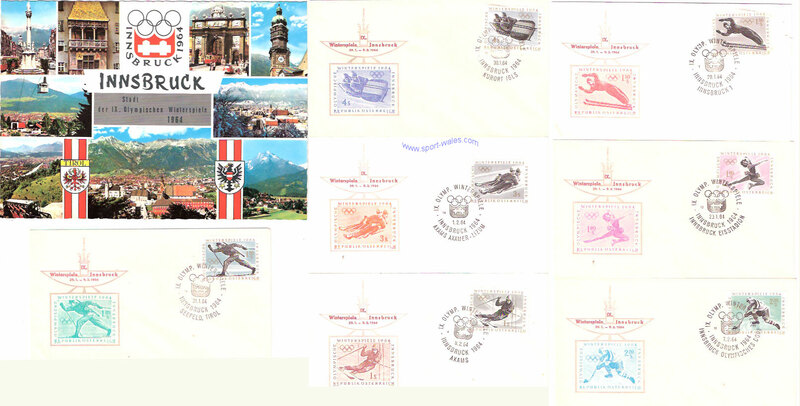 A set of 7 first day covers for the Austrian Olympic stamps together with an unused large size postcard. 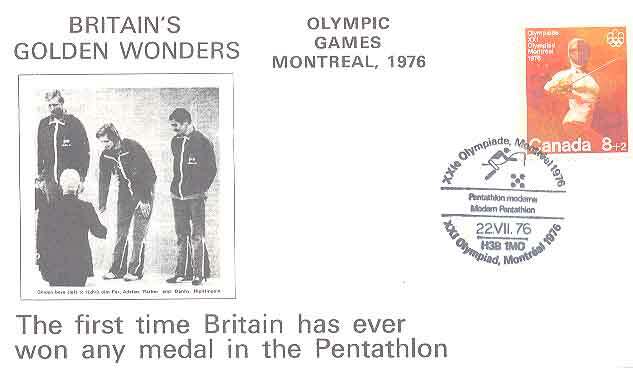 1976 Olympic Games commemorative cover - Montreal issued in Montreal on 22 July 1976 - Britain's Golden Wonders - Jim Fox, Adrian Parker & Danny Nightingale - the first time Britain has ever won any medal in the pentathlon. 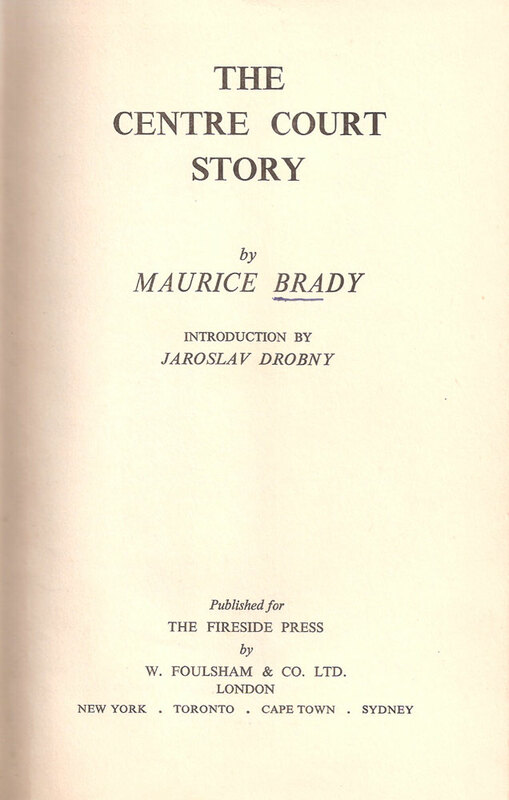 A first day cover in excellent condition. 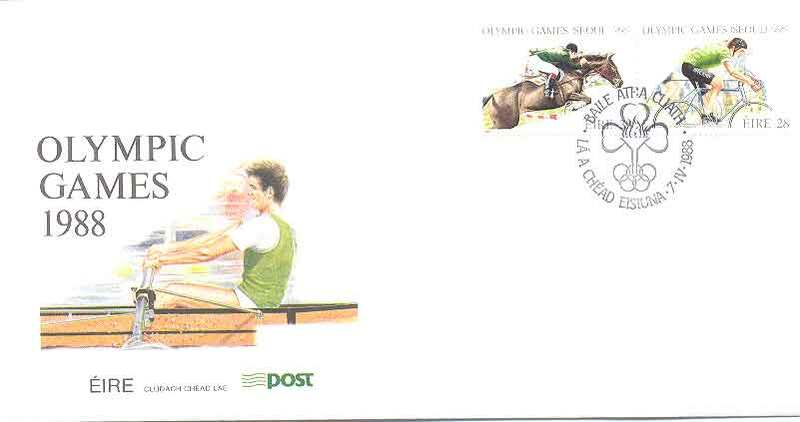 1988 Olympic Games first day cover issued in Dublin on 7 June 1988 for the games in Seoul. Excellent condition. 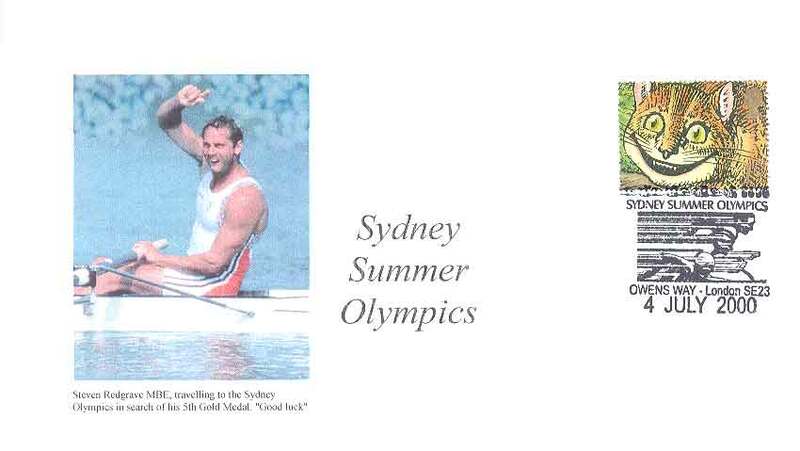 Steve Redgrave 5th Gold Medal Commemorative Cover - a commemorative cover containing a Steve Redgrave photo with a special 'Sydney Summer Olypics' pre-2000 Olympic Games in Sydney hand stamp issued in London on 4 July 2000. the cover wishes Redgrave 'good luck in his search of his 5th gold medal. 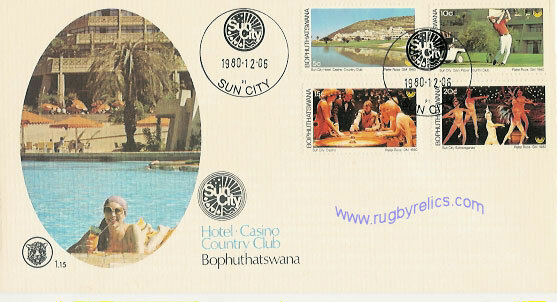 a commemorativve cover in excellent condition. 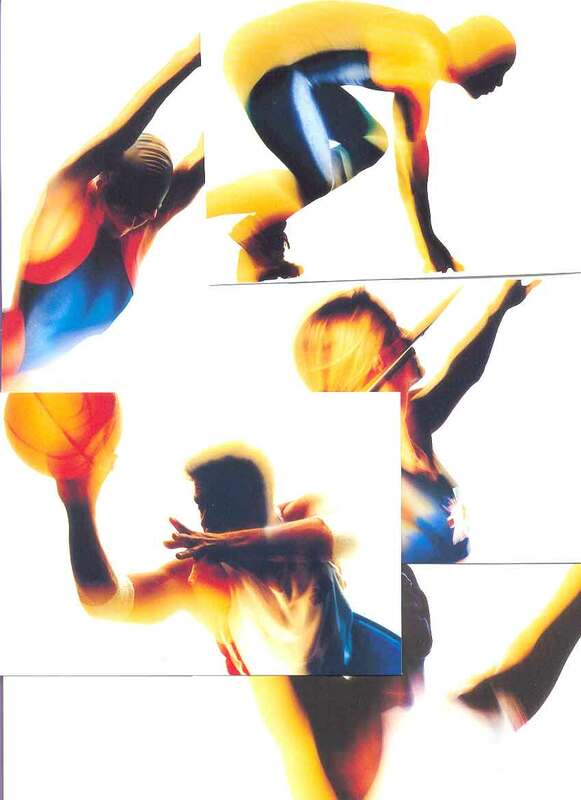 A set of 5 unused postcards produced by the Royal Mail for the 1996 Olympic Games in Atlanta. 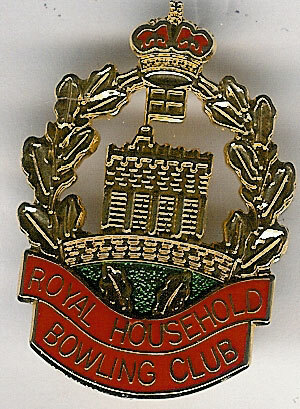 As new in original packaging. 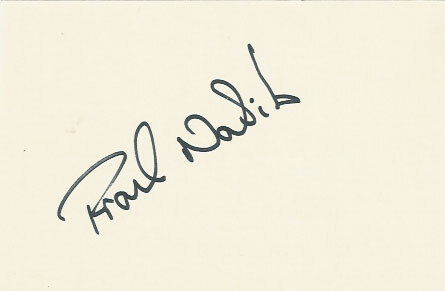 1964 Winter Olympics at Innsbruck pen knife. A 9cm long knife with blade and corkscrew. 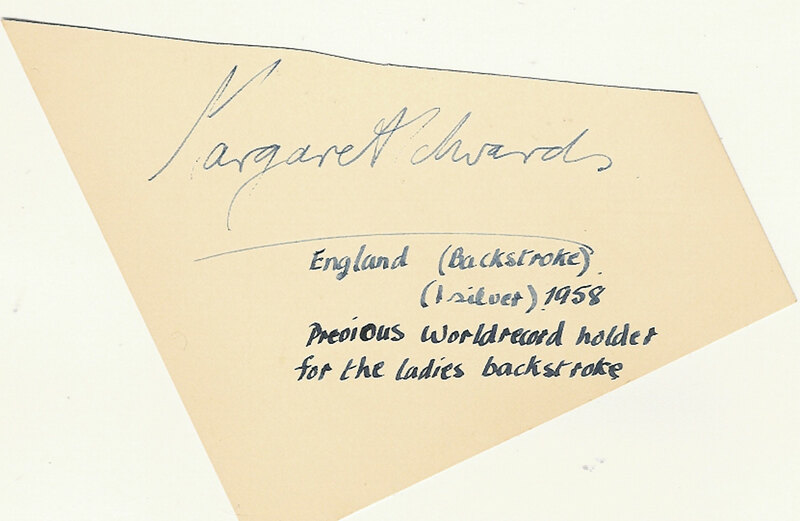 MARGARET EDWARDS, BACKSTROKE SWIMMER, ENGLAND, SILVER IN 1958 EMPIRE GAMES AUTOGRAPH - autograph from an album page laid to a postcard sized card. 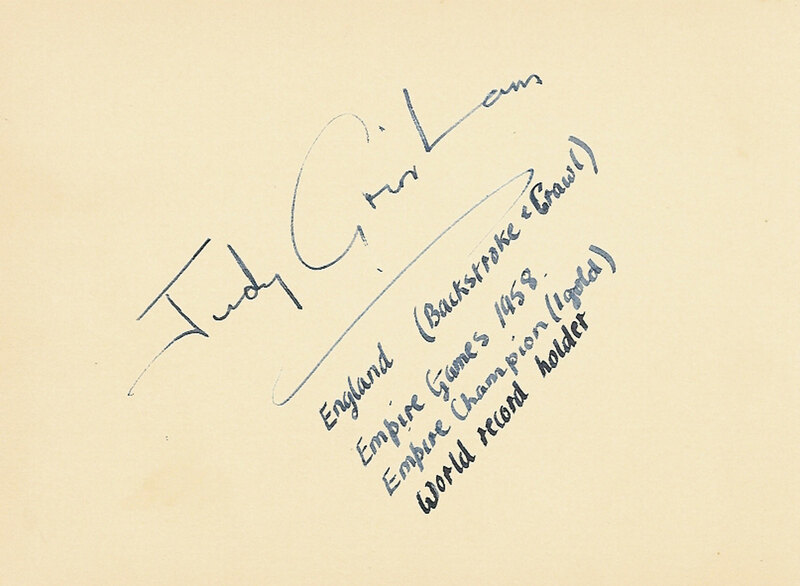 JUDY GRINHAM, ENGLAND SWIMMER, EMPIRE GAMES 1958 GOLD BACKSTROKE AUTOGRAPH - signed album page. 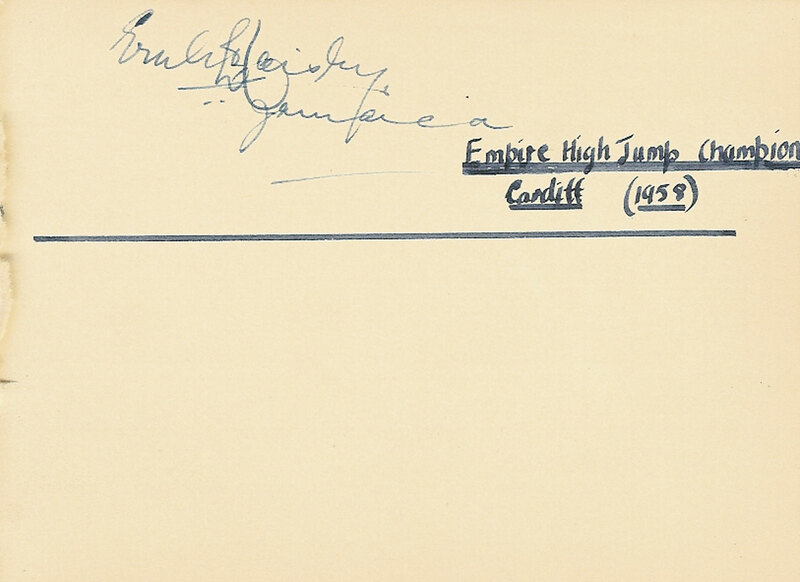 Ernle Haisley, Jamaica Empire Games 1958 High Jump Champion, with a South African athlete Myburgh from the same games. 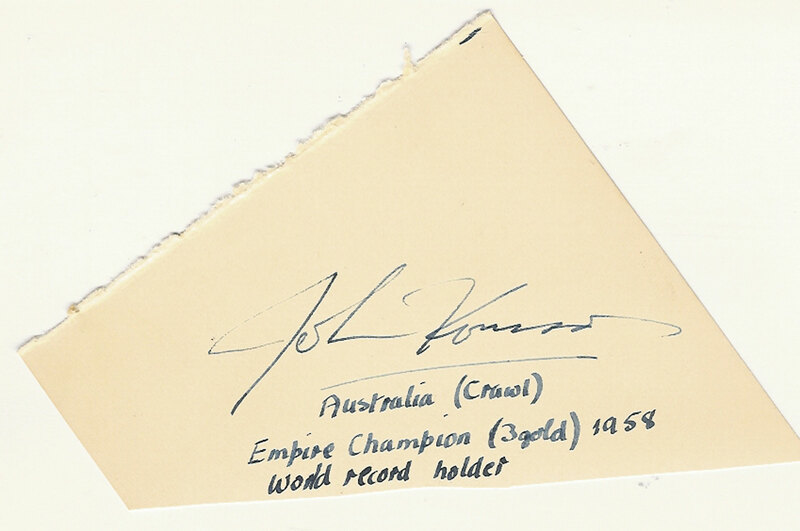 JOHN KONRADS, SWIMMER AUSTRALIA EMPIRE GAMES 1958 FRONT CRAWL 3 x GOLD MEDAL AUTOGRAPH - autograph from an album page laid to a postcard sized card. 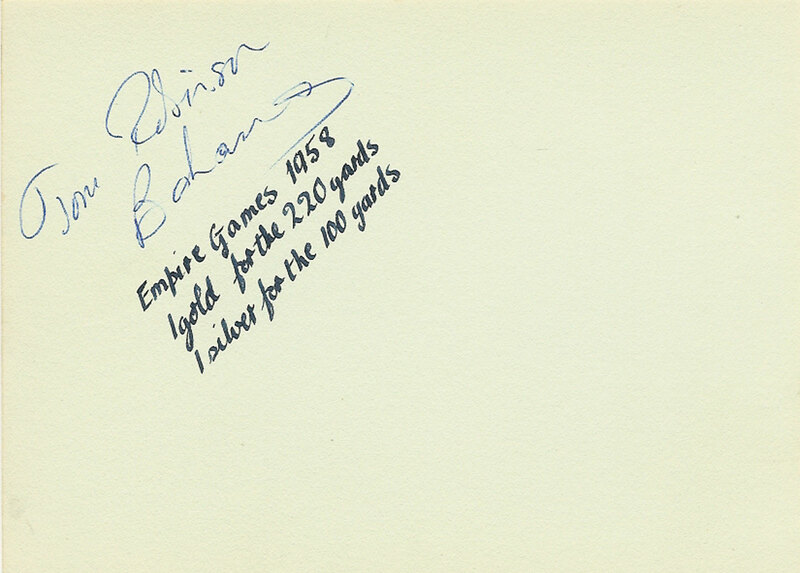 TOM ROBINSON, BAHAMAS, ATHLETICS 220 yds GOLD MEDAL at 1958 EMPIRE GAMES AUTOGRAPH - signed album page of the athlete who has a stadium named after him in Nassau. 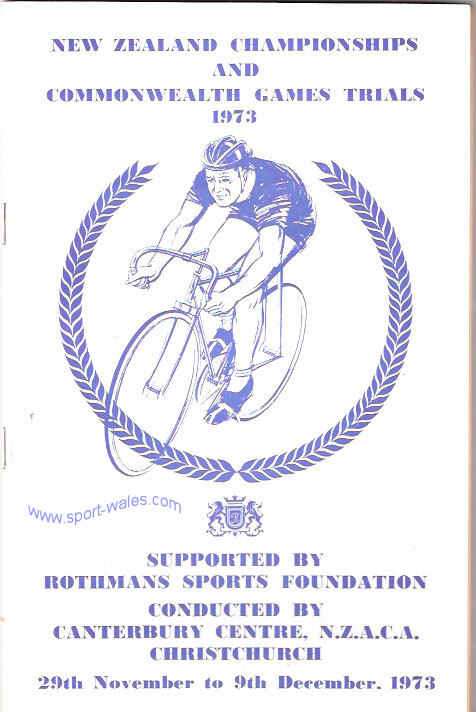 1974 Commonwealth Games cycling road race programme, 2nd February. 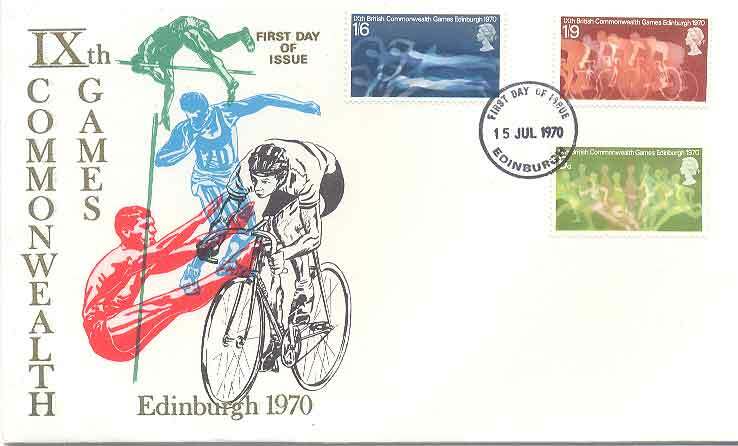 1970 Commonwealth Games First day Cover, Edinburgh, 15 July 1970. a Thames Cover with a full set of the 3 stamps in excellent condition. 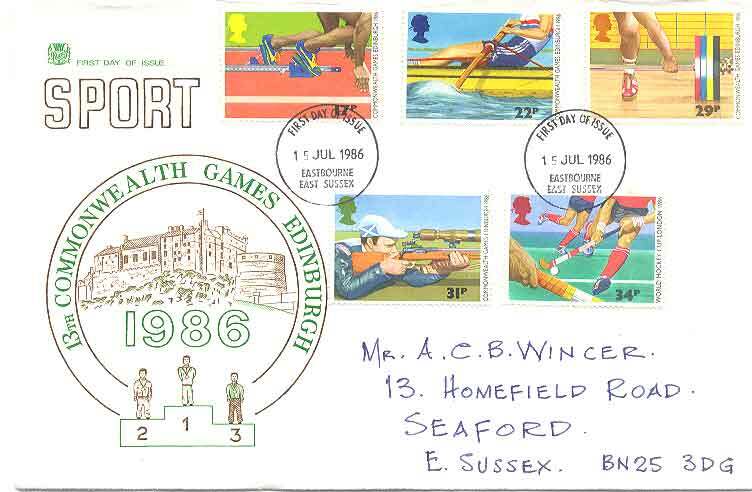 1986 Commonwealth Games First Day Cover, Edinburgh, 15 July 1986. a Stuart Cover with a full set of the 5 stamps, some light creasing to the top edge, hand written address. 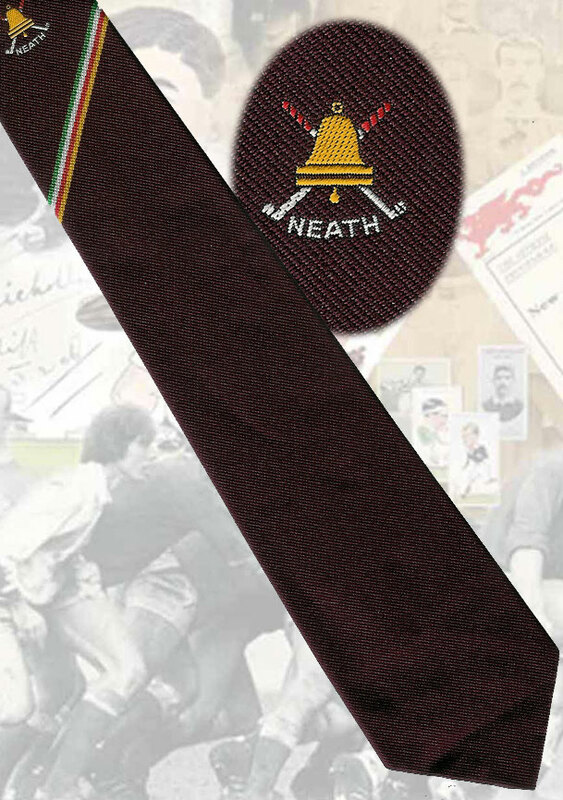 The following blazers and ties are from the collection of a Commonwealth Games Official. 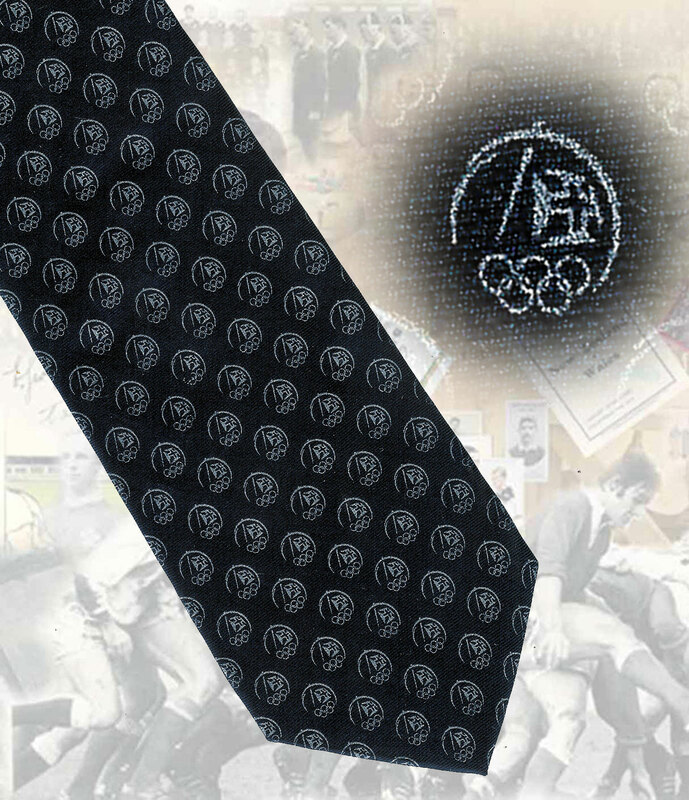 Official 1970 Commonwealth Games tie (Edinburgh, Scotland) - 7cm - good condition. 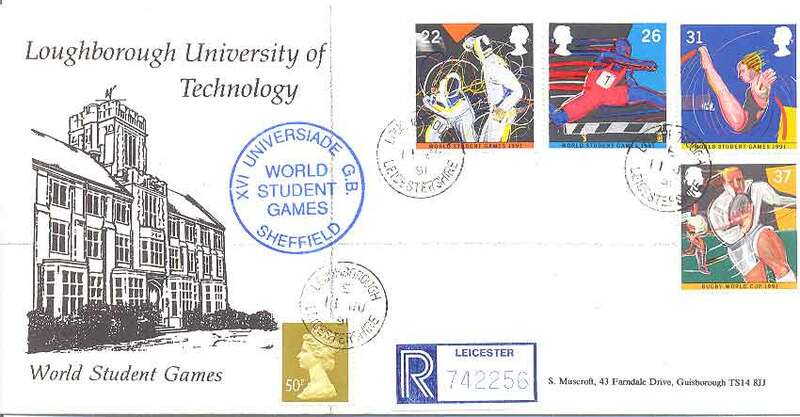 1991 World Student Games in Sheffield First Day Cover, Loughborough University of Technology, postmarked Loughborough on the first day of issue 11 June 1991, in excellent condition. 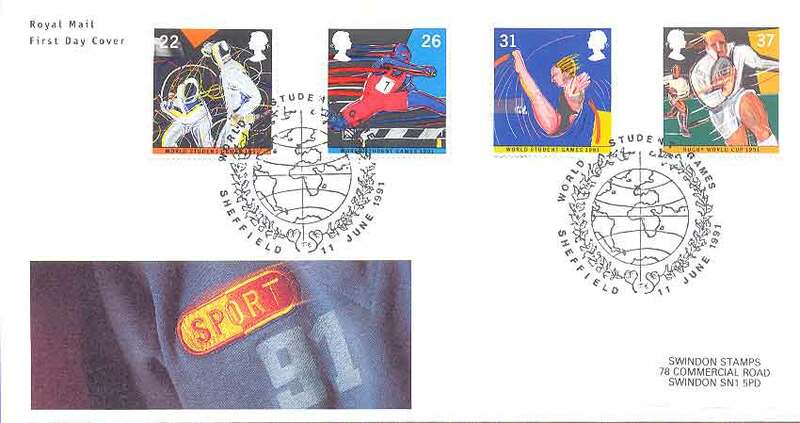 1991 World Student Games in Sheffield First Day Cover. 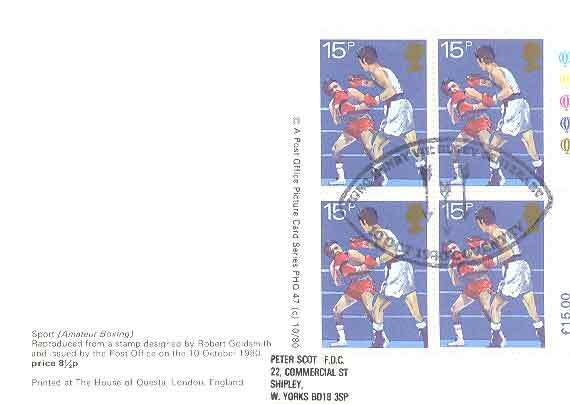 An official Royal mail cover with a full set of stamps and Sheffield World Student Games handstamp for the first day of issue 11 June 1991. Excellent condition. 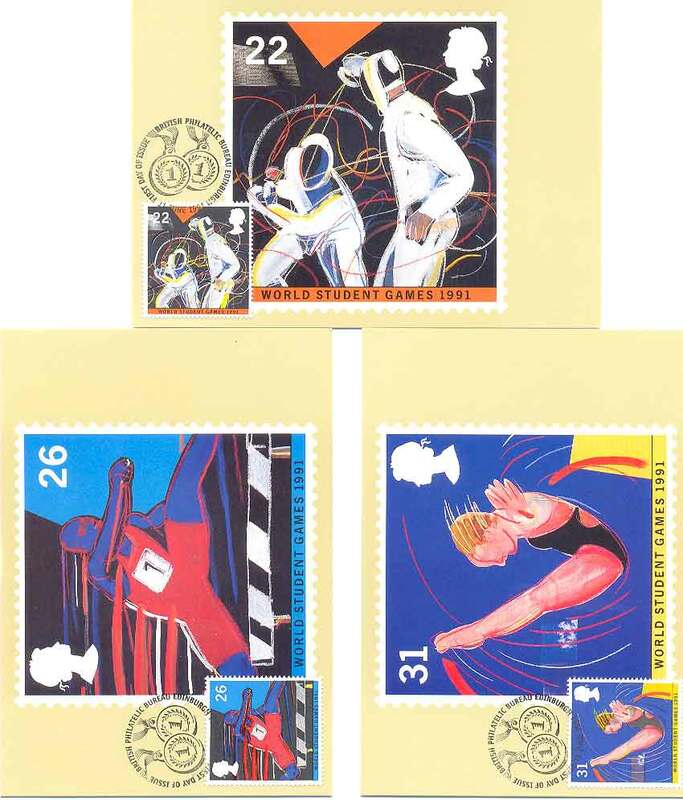 3 PHQ postcards of the 1991 World Student Games in Sheffield 11 June 1991 handstamped British Philatelic Bureau, Edinburgh on the first day of issue, in excellent condition. 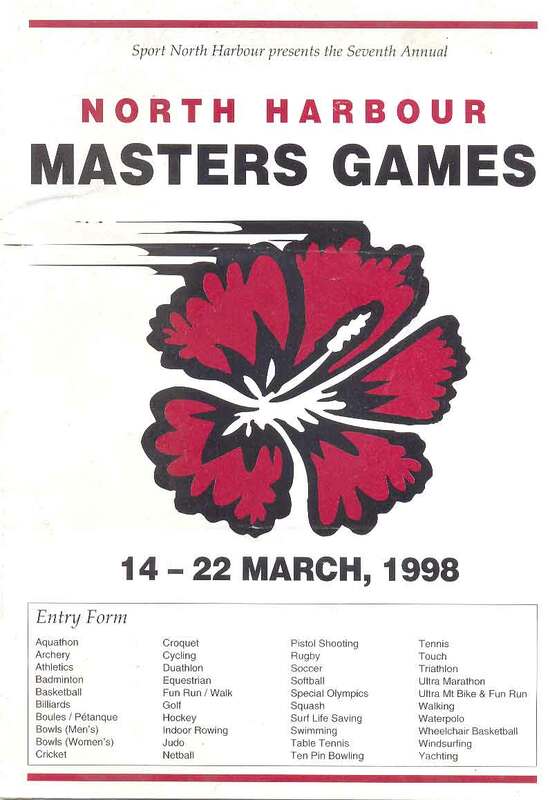 16-page booklet entry form for the 7th Annual North Harbour Masters Games (New Zealand) from 14 to 22 March 1998. Good condition. 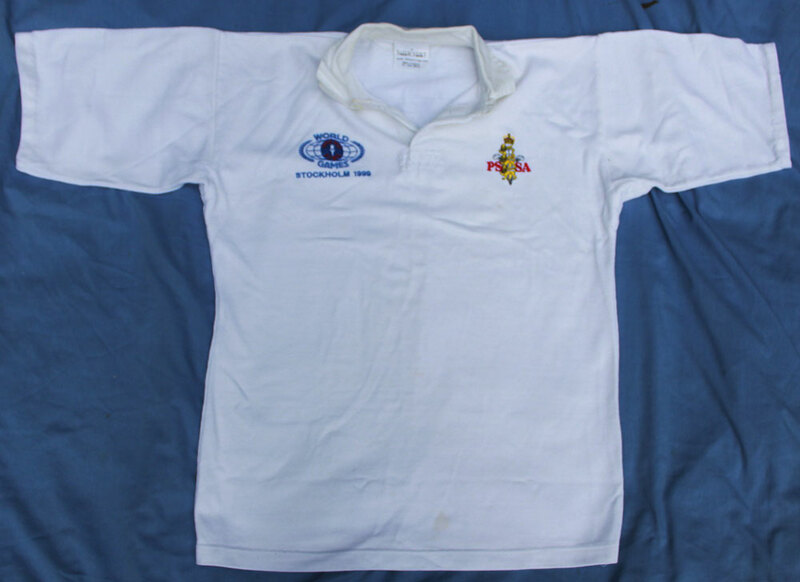 WHITE SHORT SLEEVE JERSEY - PSSA - World Police & Fire Games Stockholm 1999. The white short sleeve jersey is by Super Sport Leisure and is size 42"/44" (107cm/112cm). 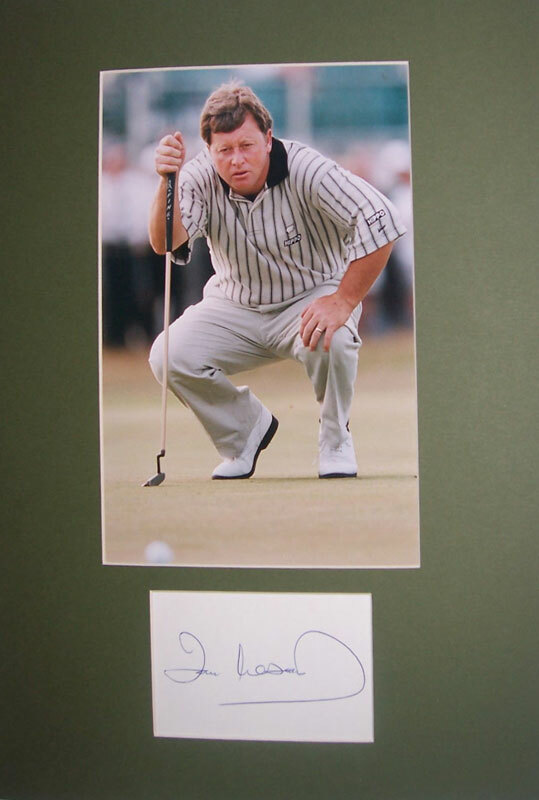 IAN WOOSNAM - OIL ON CANVAS - A great oil on canvas by Welsh sports artist Jeff Williams. 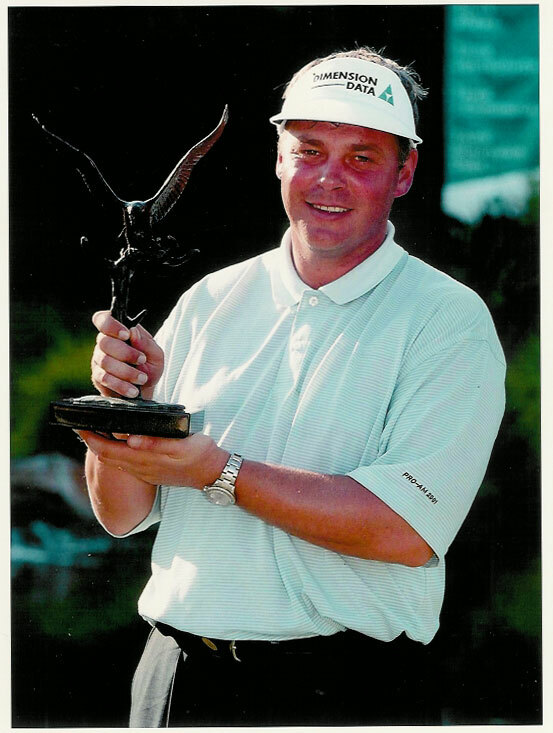 It pictures Ian Woosnam after winning the US Masters, his greatest victory. The large size (40" x 30") gives it a terrific life like appearance. 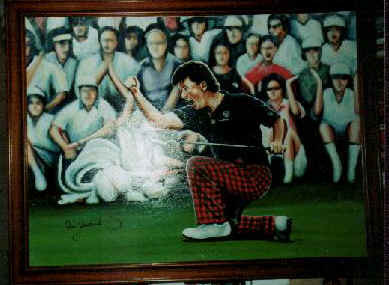 This painting has been personally autographed by Woosnam in the bottom corner, click on image to enlarge. The white mark close to centre is a reflection of the camera flash, the painting is in superb condition. A Certificate of Authenticy accompanies this item. 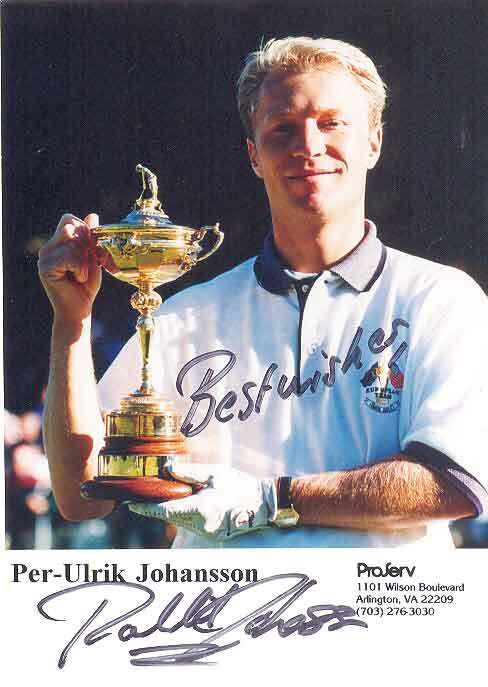 Per-Ulrik Johansson signed promotional photograph by Pro Serv. Size 125mm x 185mm. very good condition. 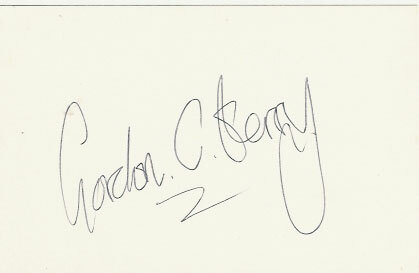 Sold together with a COA guaranteeing that the autograph is original. 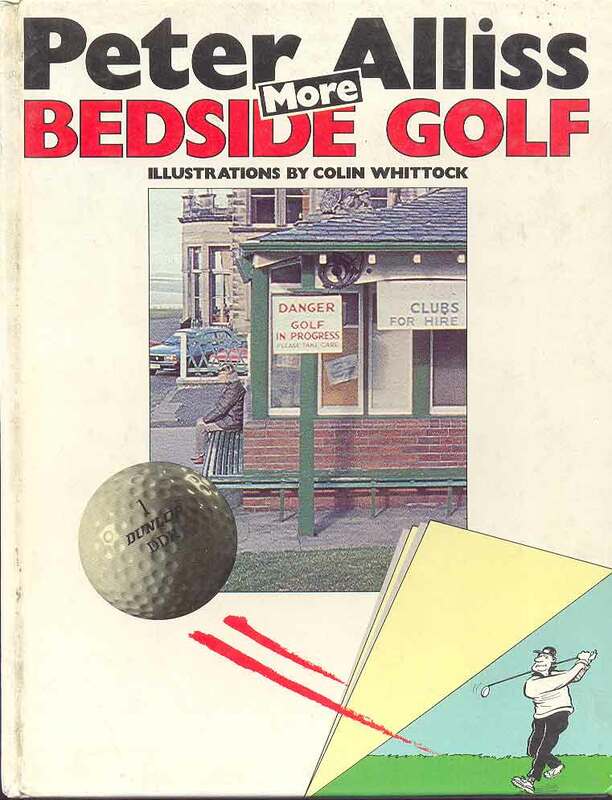 Golf humour with illustrations by Bill Tidy, a secondhand hardback in good condition. 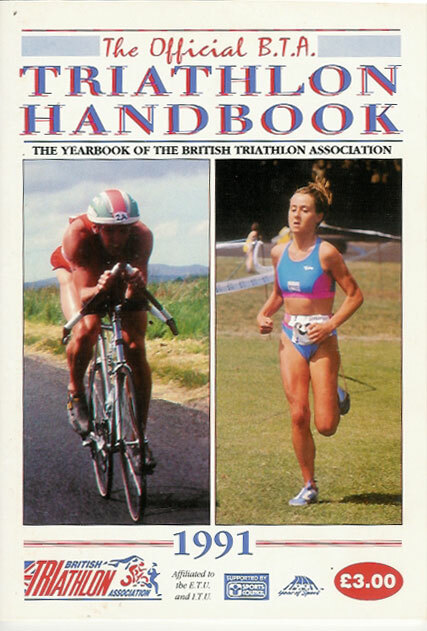 Guide to the 1999 Championships. 32 pages, A4 size publication in very good condition. 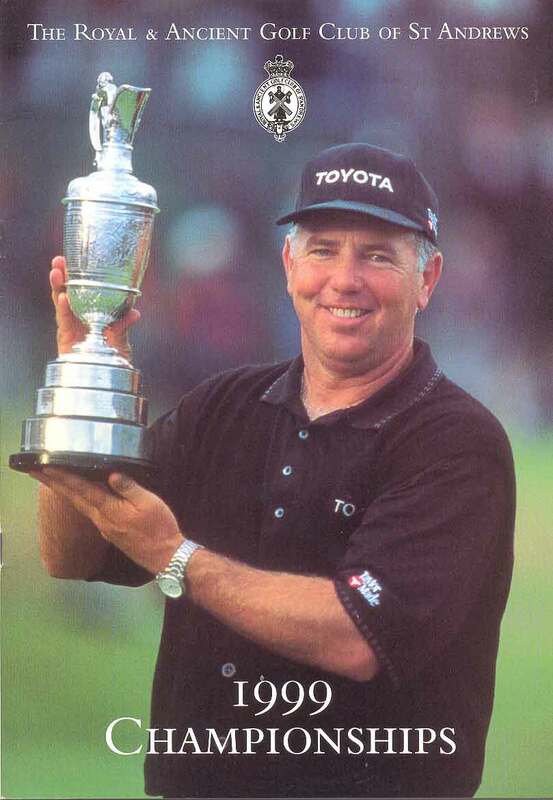 A 10 x 8" (25 x 20cm) colour photograph of Darren Clarke, circa 2001. In very good condition. 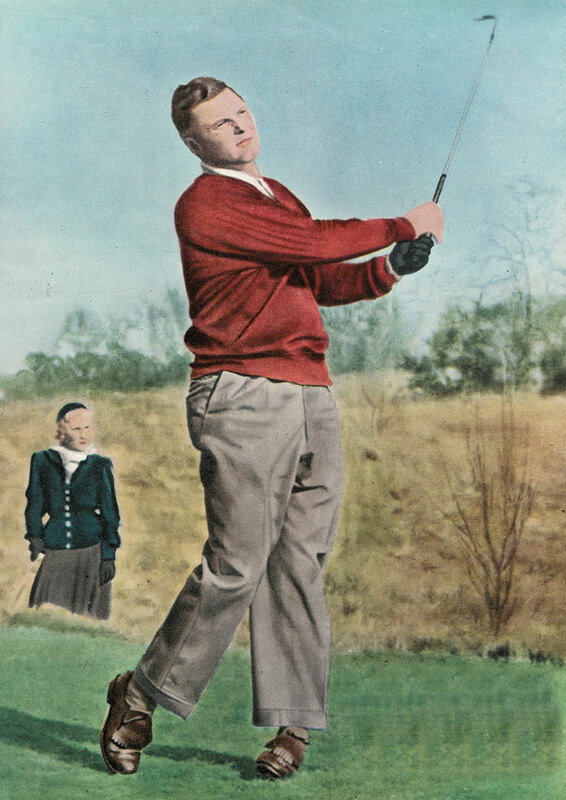 Peter Allis golfer - modern reproduction quality poster with superb illustration, size A2 (59.4cm x 42cm = 23.4" x 16.5") in excellent condition, ideal for framing. 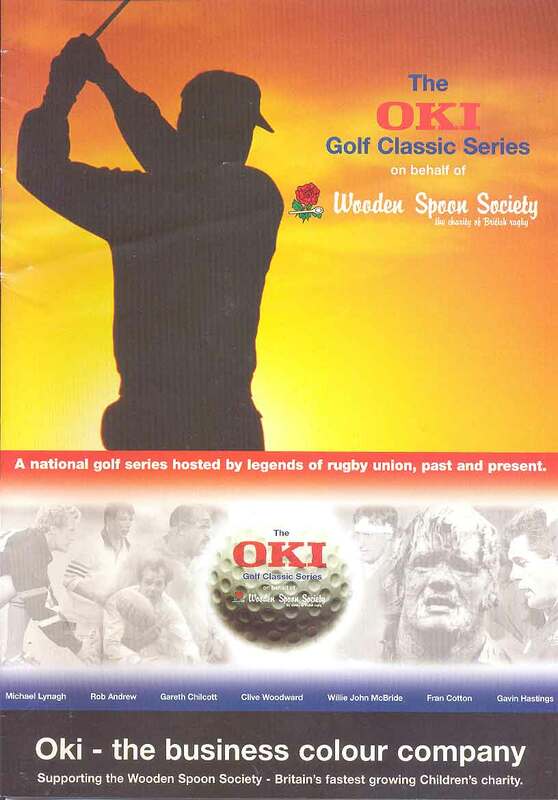 Oki Golf Classic Series for Rugby Legends - a national golf series hosted by legends of rugby union, past and present - various dates from 25 April to 19 September 2001. very good condition. 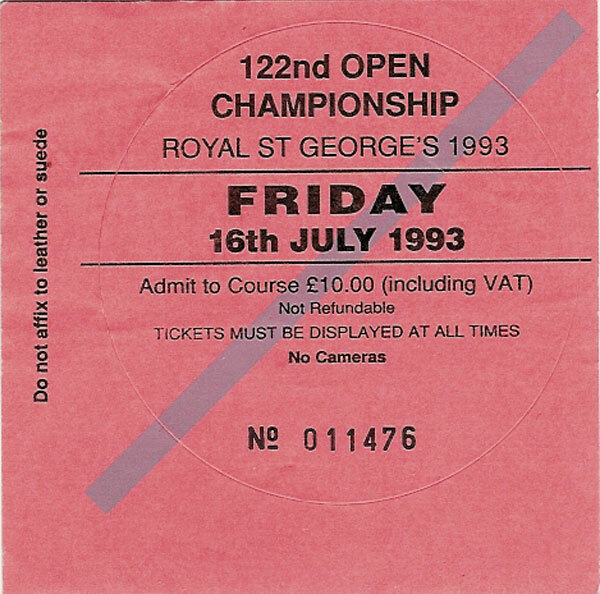 The Open Championship at Royal St Georges Golf Club, St Andrews, 16 July 1993 entry ticket. In very good condition. 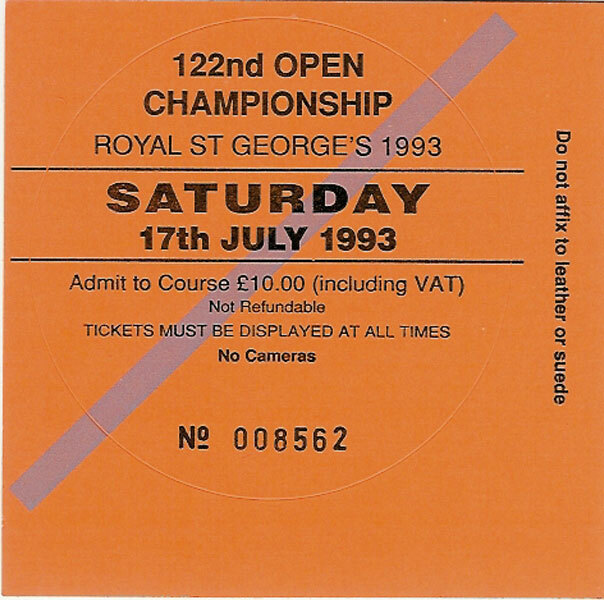 The Open Championship at Royal St Georges Golf Club, St Andrews, 17 July 1993 entry ticket. In very good condition. 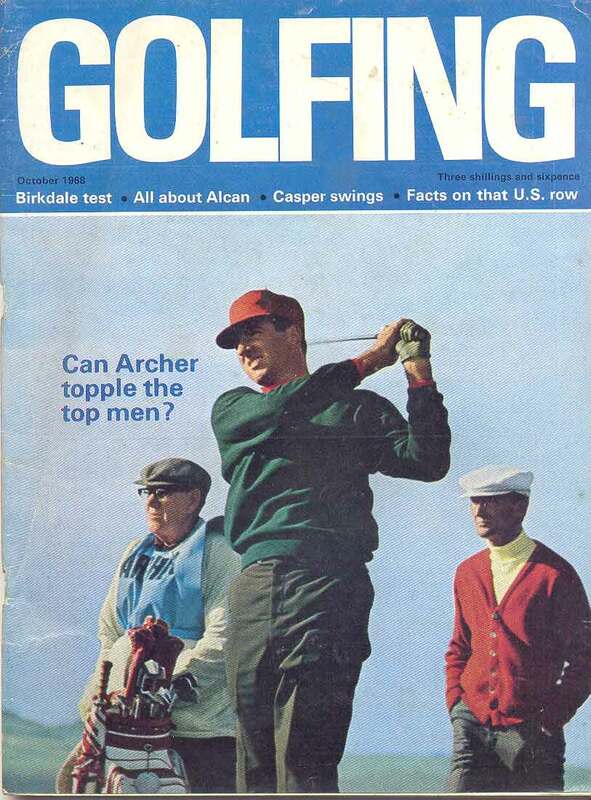 Golfing October 1968 - including Birkdale test, All about Alcan, Casper swings, facts on that US row, can Archer topple the top men, profiles of George Archer and Peter Oosterhuis, Royal Birkdale prepares, tournament round, fixtures. A 74 page magazine with a slight crease to the front cover. 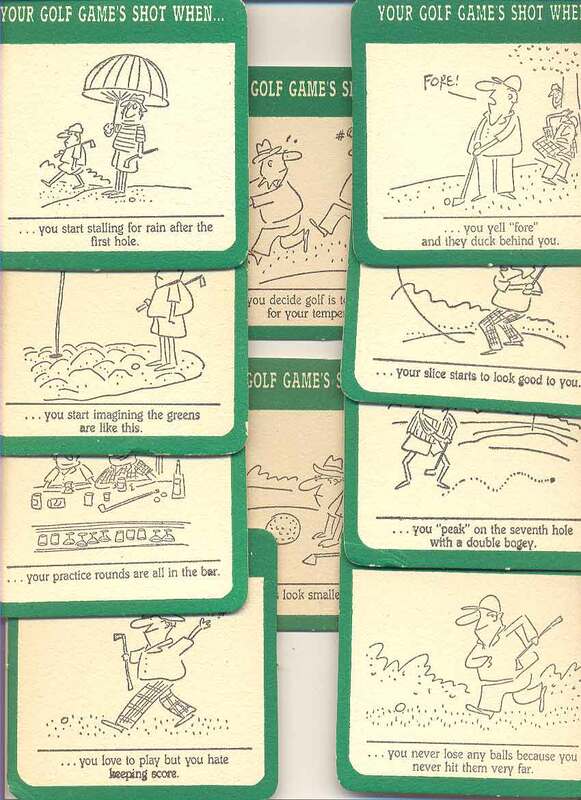 A set of 20 humorous golf card coasters depicting various sketches and quotes. 2 coasters each of 10 different designs. 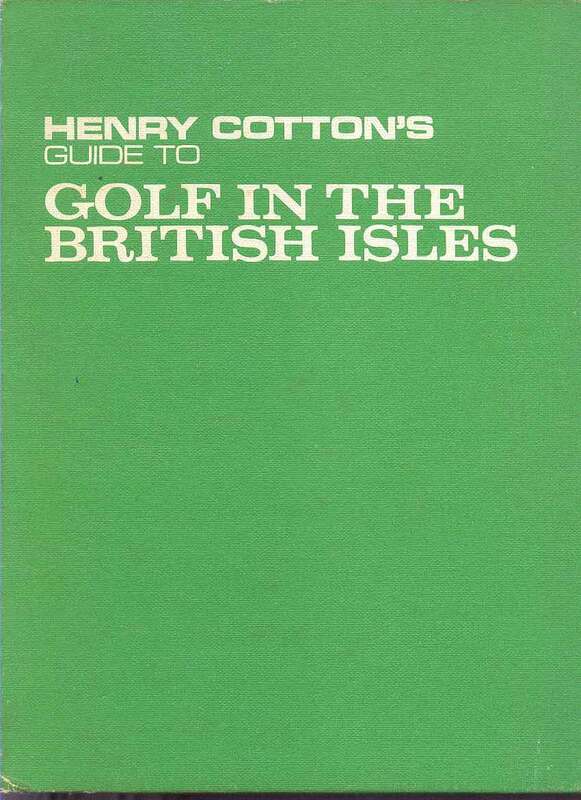 "Your golf game's shot when..." Generally in very good condition, boxed, but the box is split on the corners and lacking lid. Polo shirt made by Hugo Boss in Western Germany. 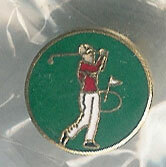 "German Open 89" on pocket. 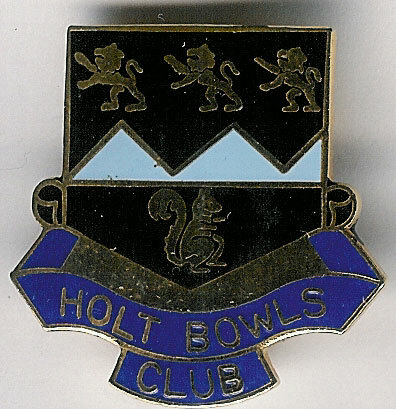 Light grey with blue trim. Hugo Boss, Mercedes-Benz and Deutsche Bank advertised on right sleeve. Previously worn, in good condition. Size - 7. good. 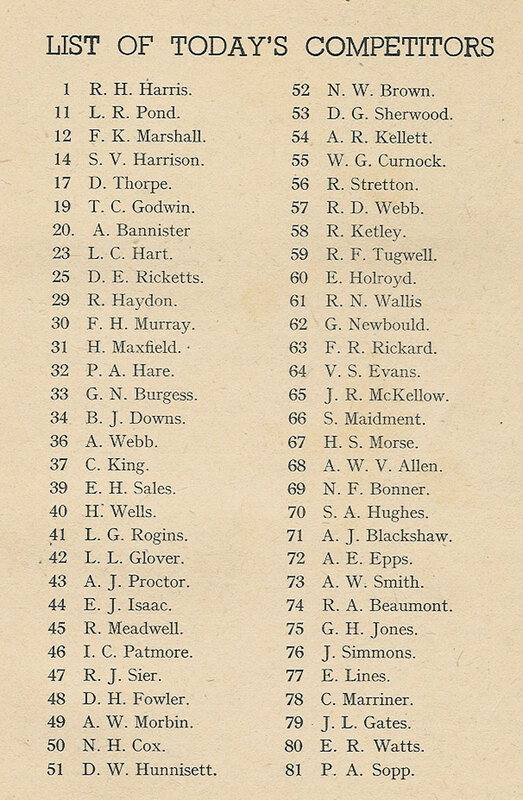 Blackheath Hockey Club Membership Card and fixture list 1954-55. Staples rusty otherwise in very good condition. 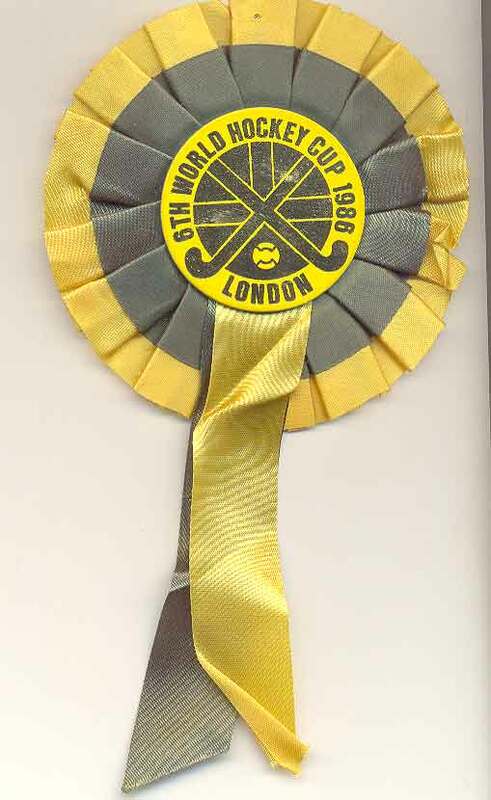 6th World Hockey Cup - London 1986. Green and yellow ribbon rossette in good condition. 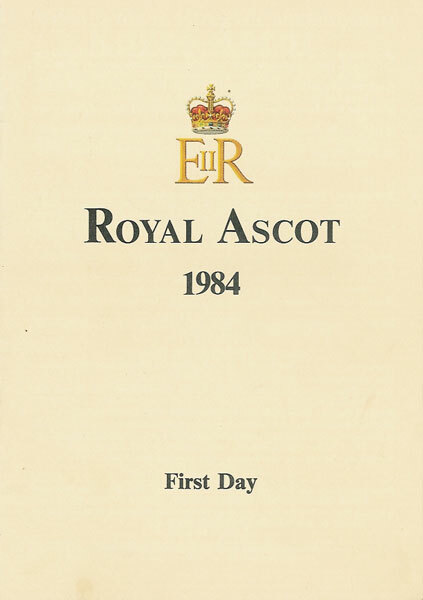 Ascot - Royal Ascot 1984 - 1st Day Racecard - 19 June 1984, including St James' Palace, Ribblesdale & Ascot Stakes, a 26 page racecard with results & notations throughout. 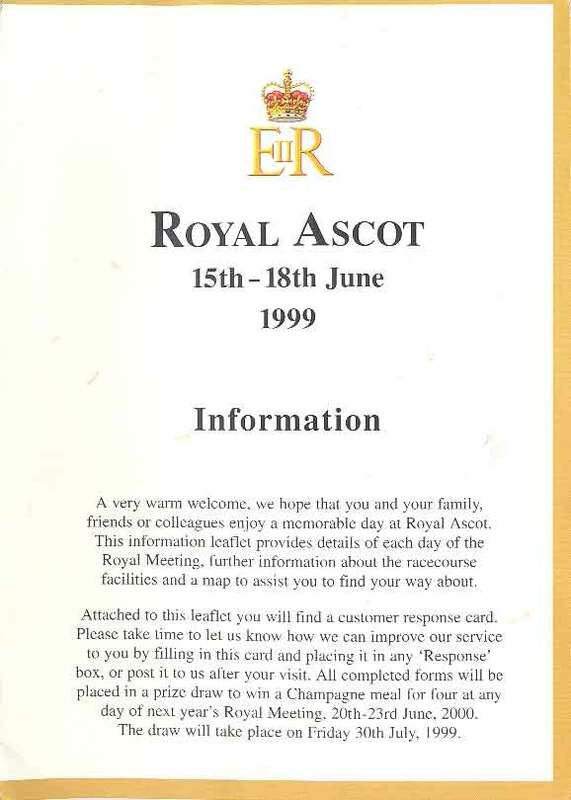 Ascot - Royal Ascot 1998 - 16-19 June - Information Card, a 4 page fold over card together with a 6 page fold out leaflet, both are in very good condition. 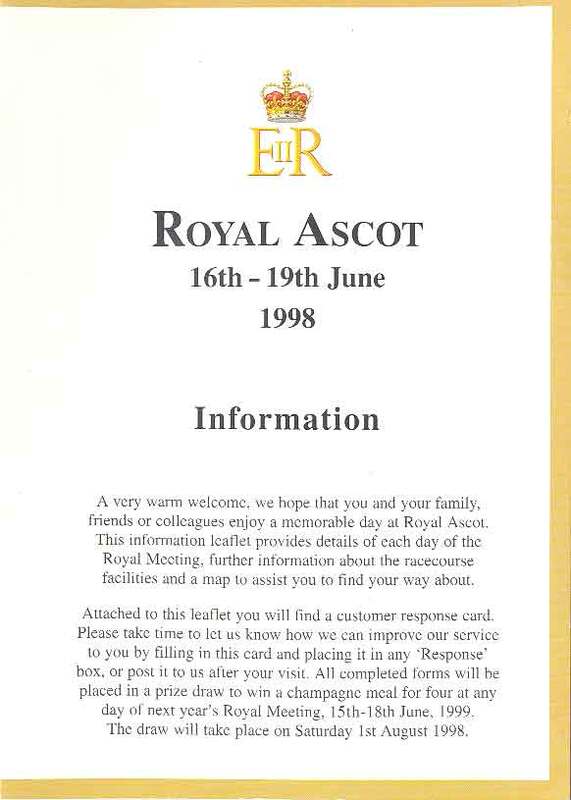 Ascot - Royal Ascot 1999 - 15-18 June - Information Sheet. 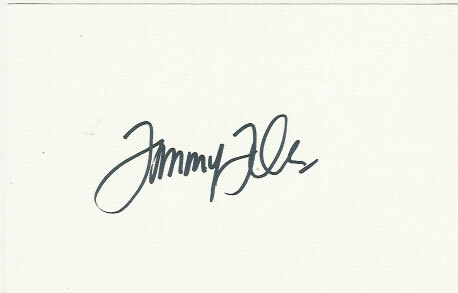 A fold over card with slight marks on front cover otherwise in very good condition. 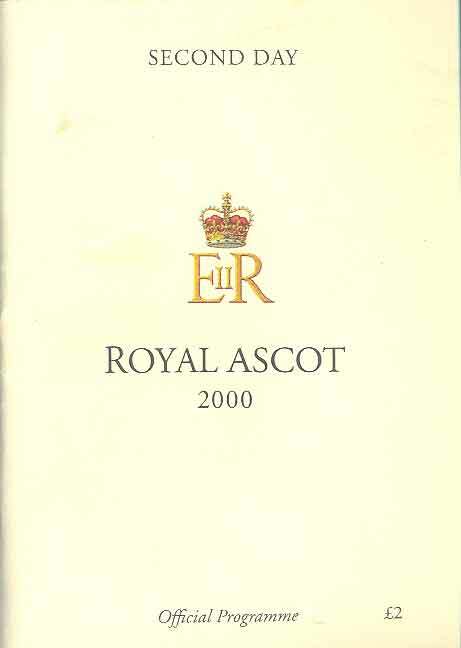 Ascot - Royal Ascot 2000 - 2nd Day Racecard - 21 June 2000 including the Prince of Wales Stakes won by Dubai Millennium (Jerry Bailey) from Sumitas and Sendawar (4th), a 60 page racecard in very good condition. 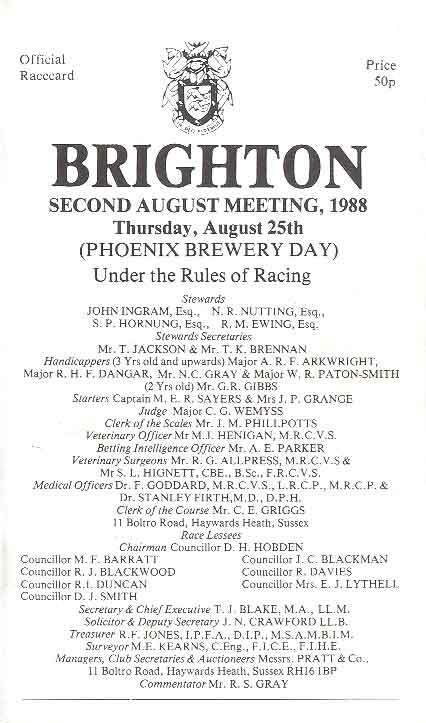 Brighton Races - 2 Racecards - 25 August 1988 & 17 August 1989. a pair of 20 page racecards in good condition with some starting prices and results inked in, winners include Annie Bee (Pat Eddery) . 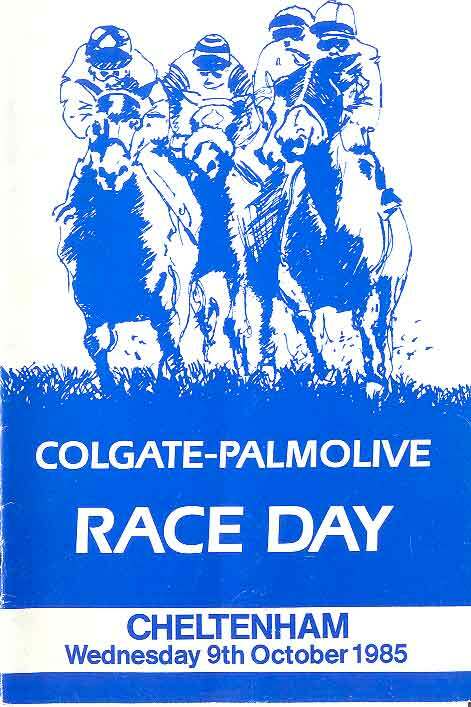 Cheltenham Colgate Palmolive Racecard - 9 October 1985, a 12 page racecard with a slight crease. 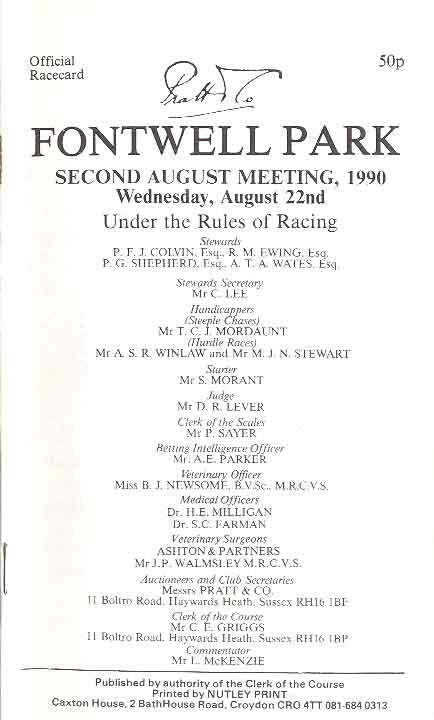 Fontwell Park, 5 racecards from the 1990s - 28 May 1990, 14 August 1990 - Sussex Young Cricketers Day, 22 August 1990, 28 December 1990, 31 August 1994. 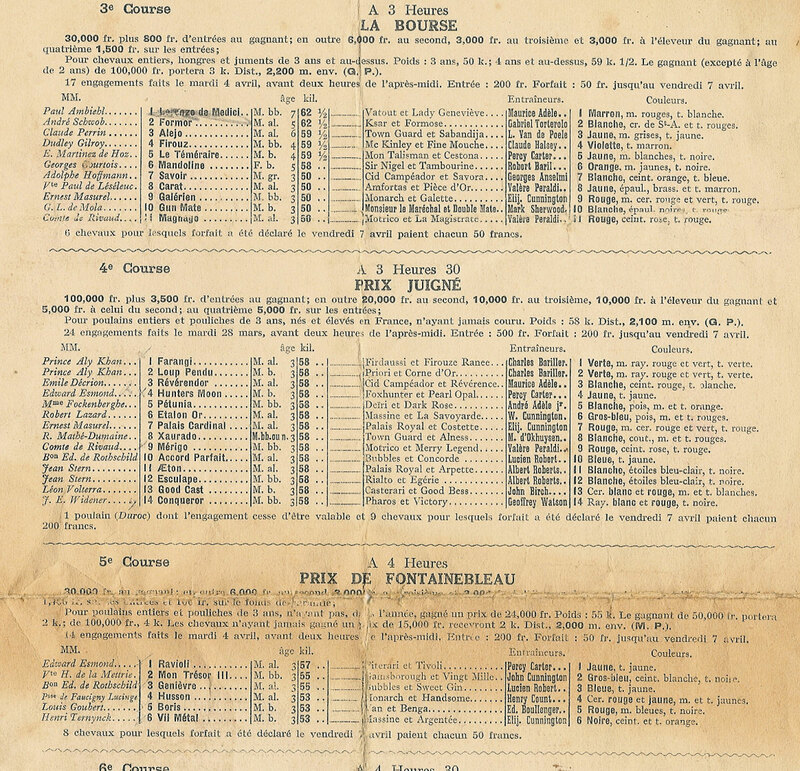 All 5 racecards of approximately 20 pages are in very good condition. 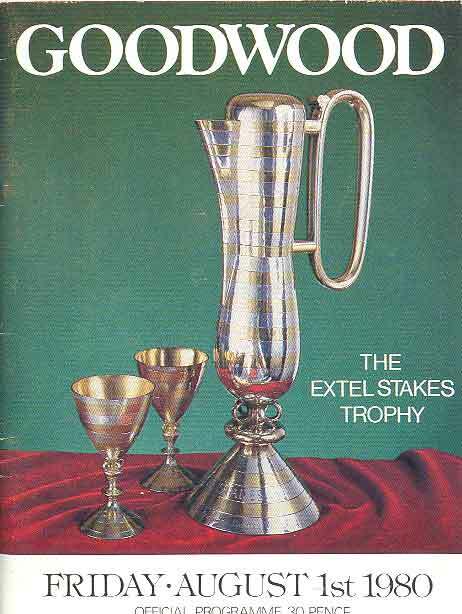 Goodwood - 1 August 1980 Racecard including the Extel Stakes, runners include Karamita, Stanislavsky & Spanish Dancer. 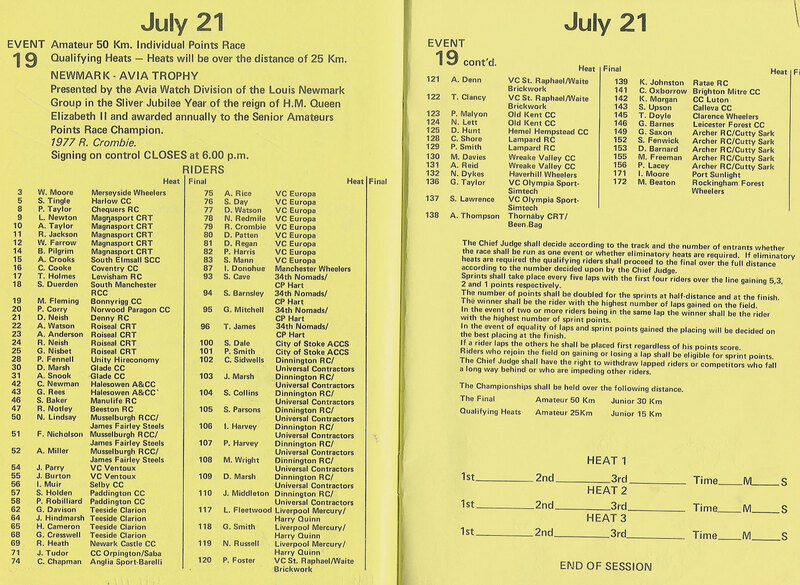 A 28 page racecard in very good condition with some notations in ink. 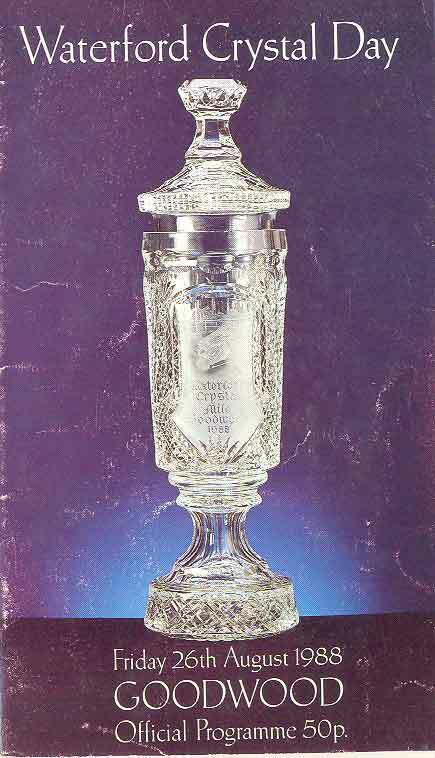 Goodwood Waterford Crystal Day Racecard - 22 August 1986. including the Waterford Candelabra Stakes won by Invited Guest (Steve Cauthen), a 52 page racecard in excellent condition. 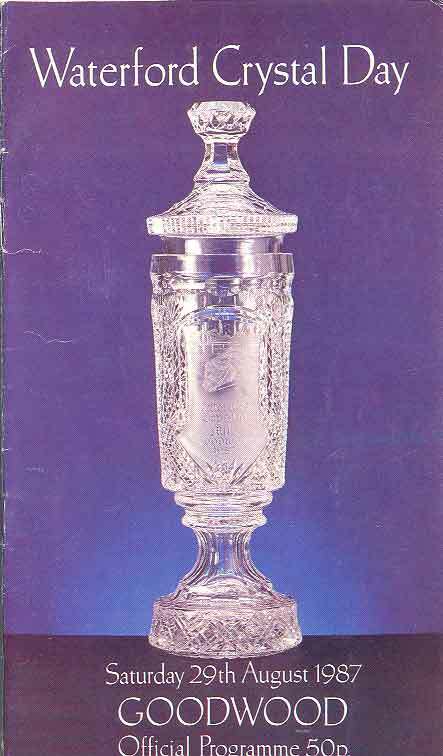 Goodwood Waterford Crystal Day Racecard - 22 August 1986. including the Waterford Crystal Mile won by Milligram (Walter Swinburn), a 24 page racecard with a loose page otherwise in good condition. 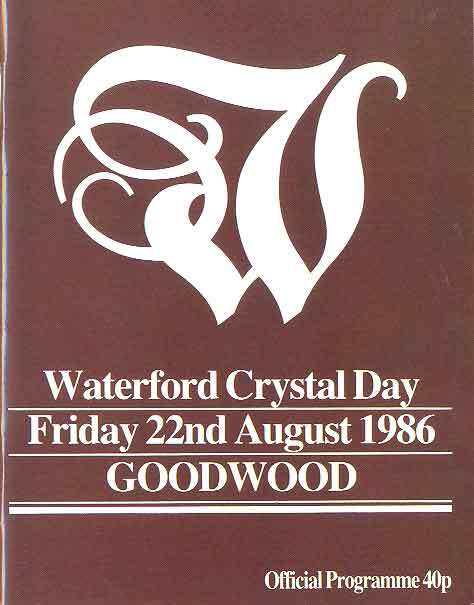 Goodwood Waterford Crystal Day Racecard - 26 August 1988. including the Waterford Candelabra Stakes, a 36 page racecard with the middle pages loose. 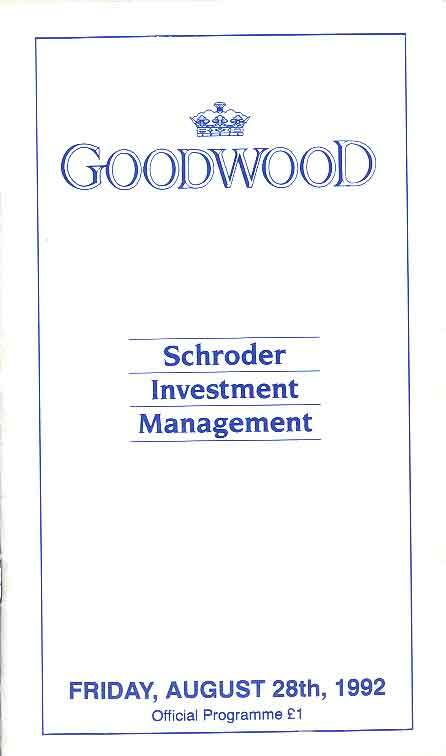 Goodwood Racecard 28 August 1992, a 40 page race card in very good condition. 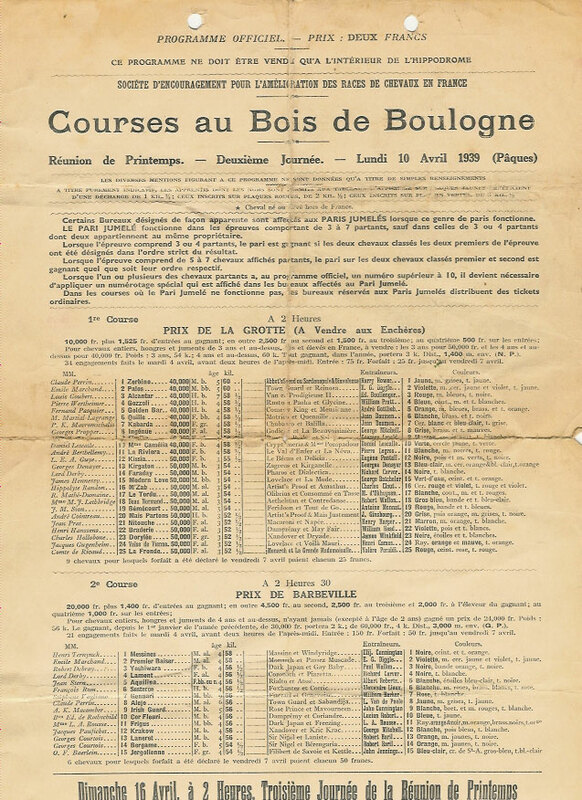 Longchamp, Bois de Boulogne, Paris - 10 Apr 1939 Racecard / Programme - 6 races including the Prix Juigné won by Hunters Moon ridden by Edward Esmond, Hunter's Moon was to later win the Cesarewitch ridden by Gordon Richards in 1940 after the latter was almost hit by a bomb on the way to the race. 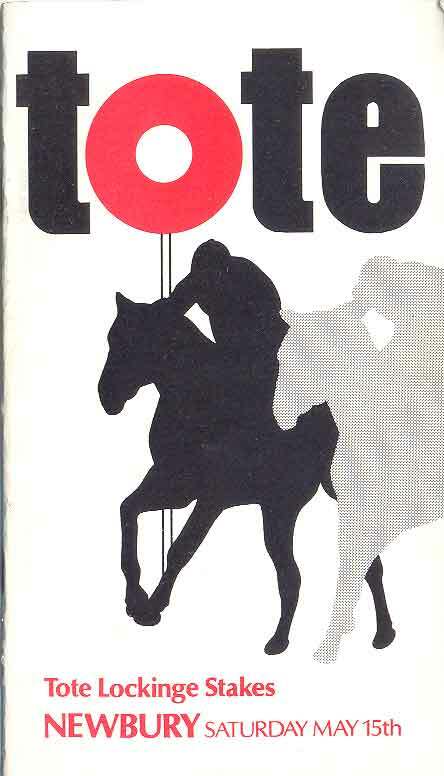 Other races include la Bourse & Prix de Fontainebleau. 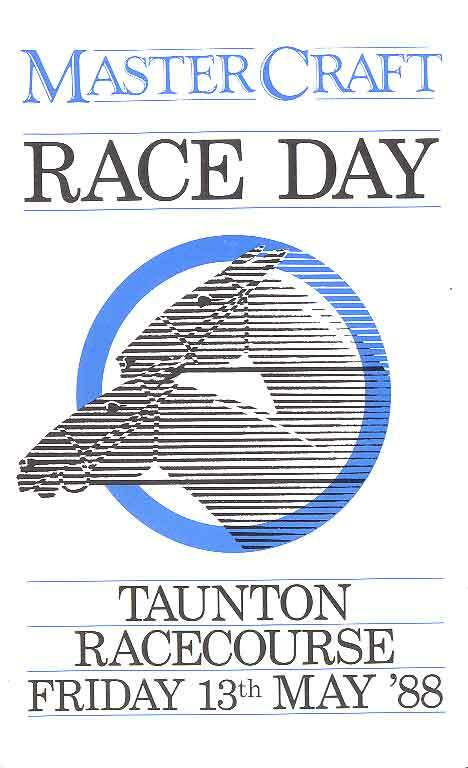 The official race card / programme is a large single sheet with heavy folding creases and punched holes to the top and bottom edges. 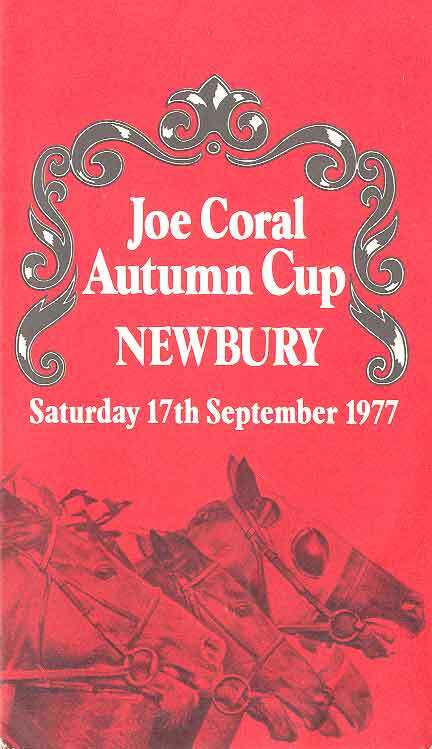 Newbury Racecard for the Joe Coral Autumn Cup - 17 September 1977. 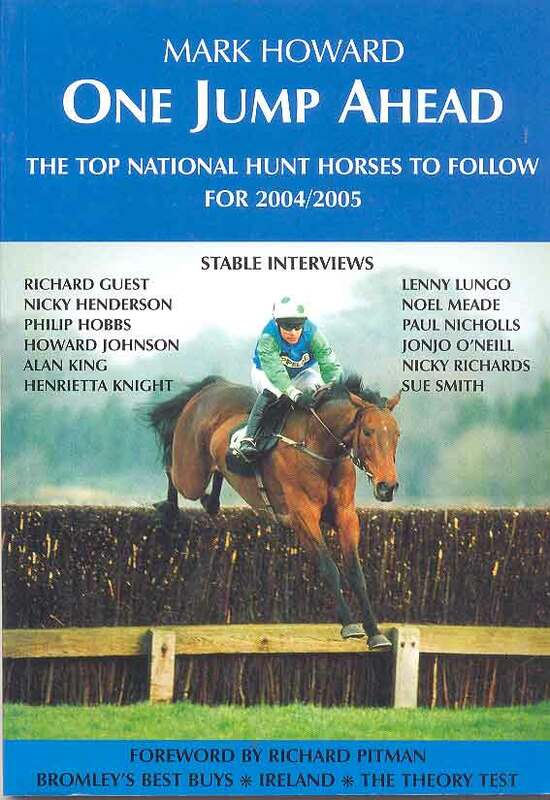 Runners include Shangamuzo, Broken Record, Mountain Cross & Ragabash, a 16 page racecard in excellent condition. 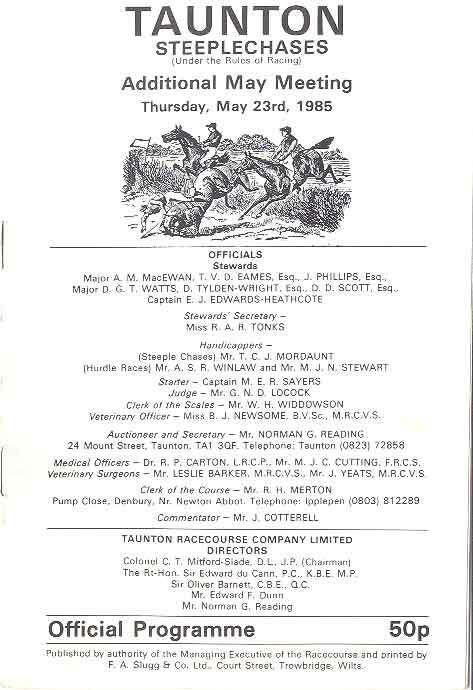 Newbury Lockinge Stakes Racecard - 15 May 1982. Won by Motavato (Steve Cauthen) from Noalto & Beldale Lustre. 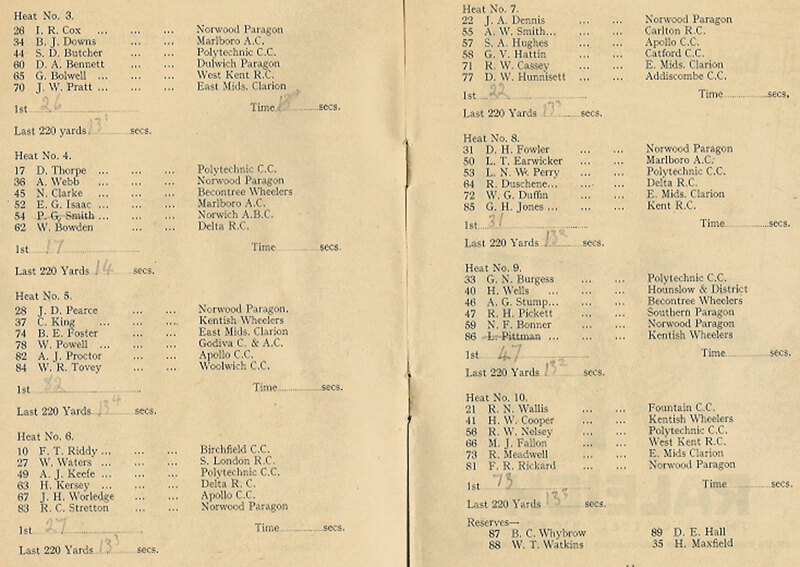 A 16 page racecard with results neatly inked in, generally in excellent condition. 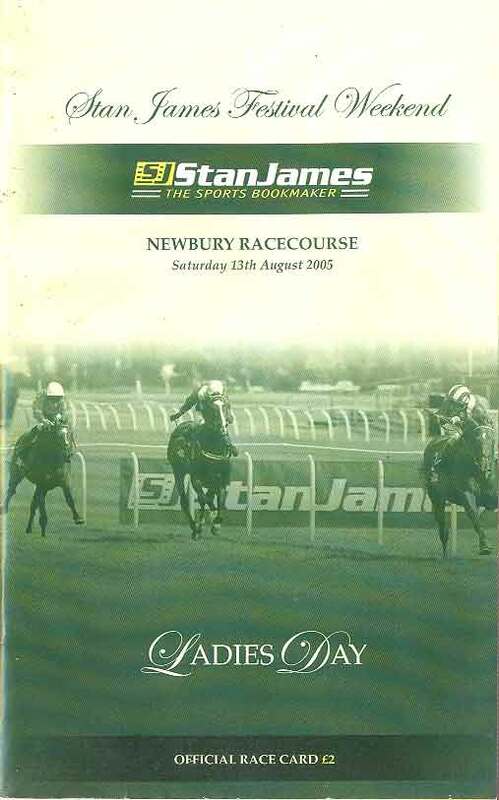 Newbury, Stan James Festival Weekend Racecard - 13 August 2005. Races include the Stan James Geoffrey Freer Stakes, won by Lochbuie, other runners include Gamut, Mubtaker (winner in 2002, 2003 & 2004) & Mamool. Some marks to cover otherwise in good condition. 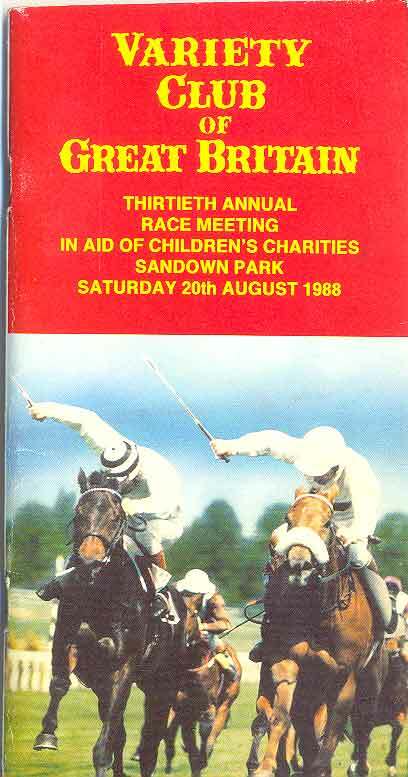 Sandown Park Racecard - 20 August 1988. Variety Club of Great Britain Race Day. 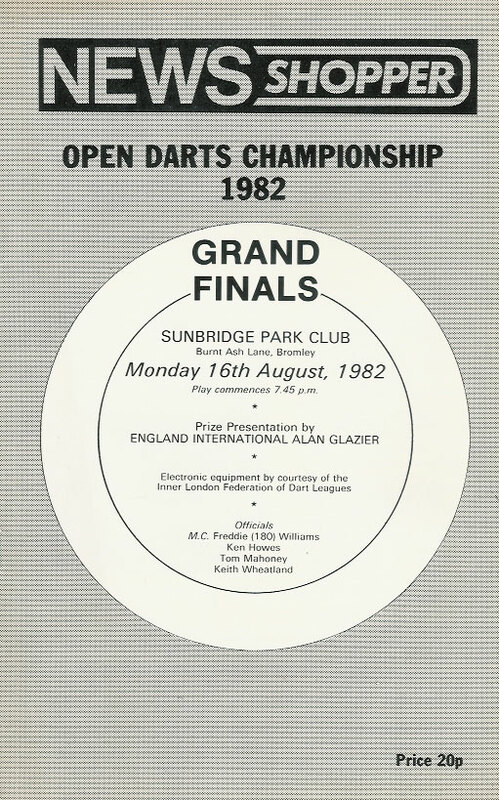 A 36 page racecard in very good condition. 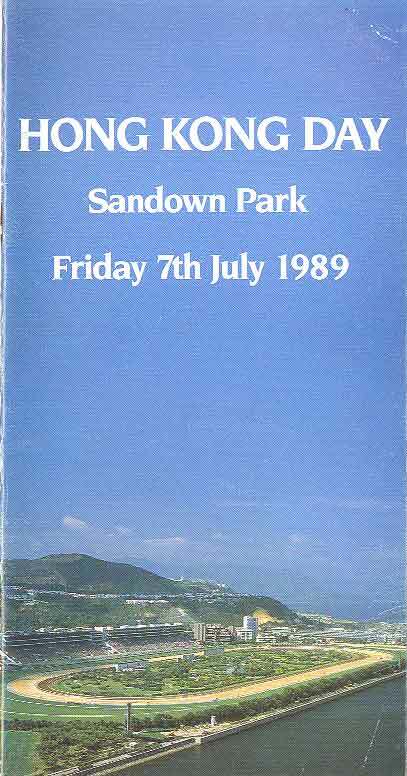 Sandown Park Racecard - 7 July 1989. Hong Kong Day, A 28 page racecard in very good condition. 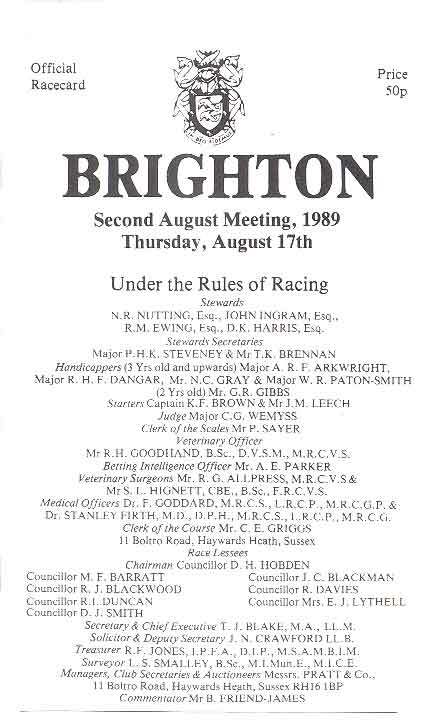 Sandown Park Brigadier Gerard Stakes Racecard - 29 May 1990. 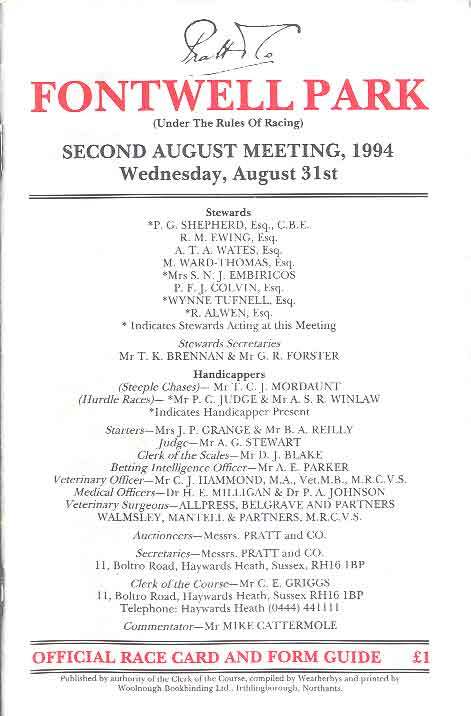 Won by Husyan (Willie Carson) other runners include Terimon, Shellac & Per Quod, a 32 page racecard in very good condition. 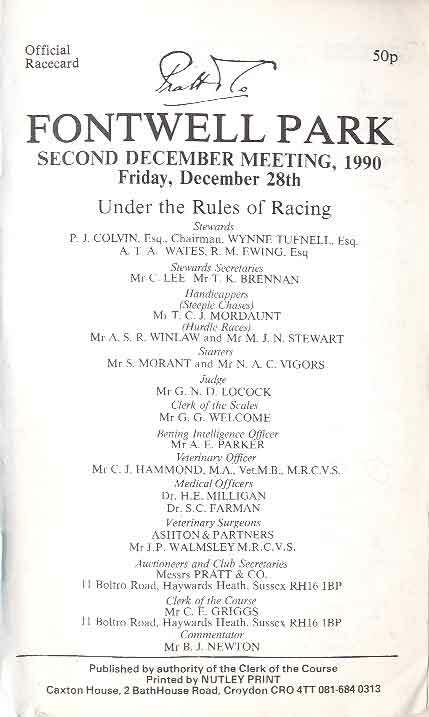 Sandown Park Racecard - 30 November 1990. 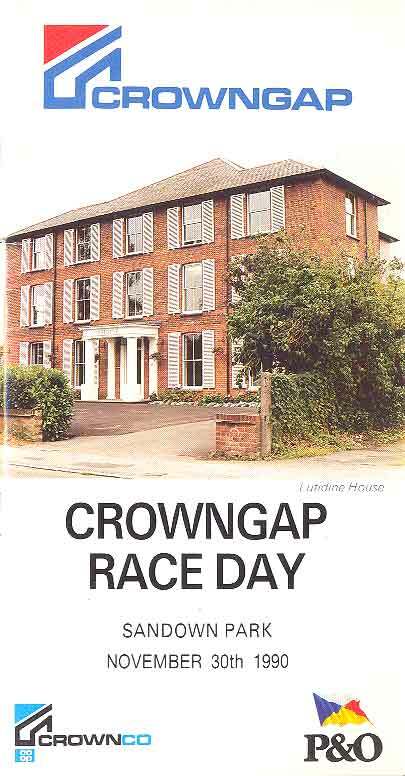 Crown Gap Race Day, a 32 page racecard in excellent condition. 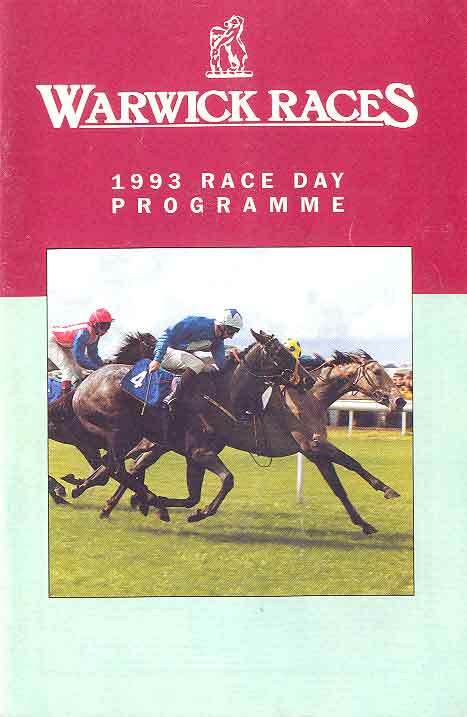 Sandown Park Racecard - 22 August 1992. Variety Club of Great Britain Race Day. 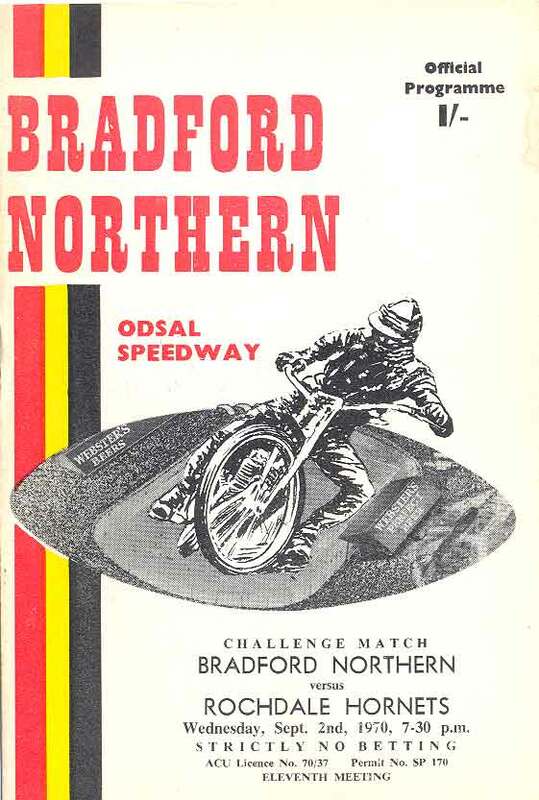 A 36 page racecard in very good condition. 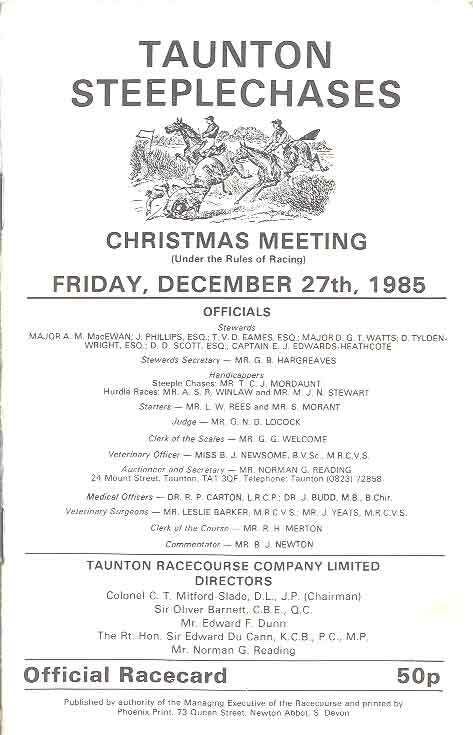 3 Taunton Racecards - 23 May 1985, 27 December 1985, 13 May 1988, all 3 cards are in good to very good condition. 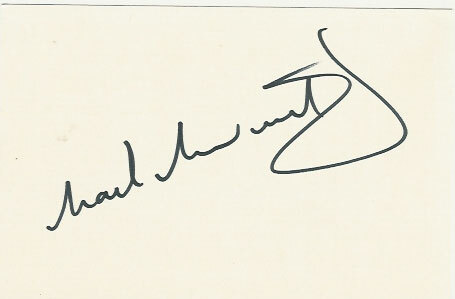 Warwick Racecard - 23 January 1993. Runners include Duntree, Into the Red & Peajade. 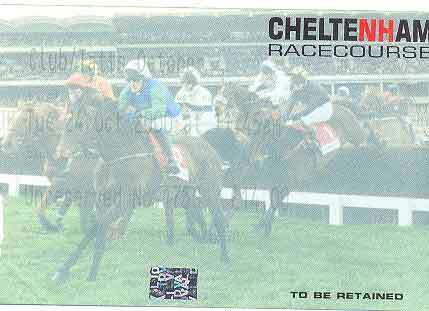 A 32 page racecard in good condition. 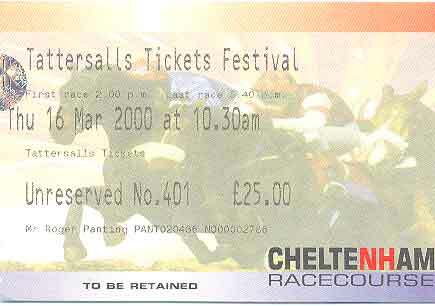 Cheltenham - 16 March 2000. Very good condition. 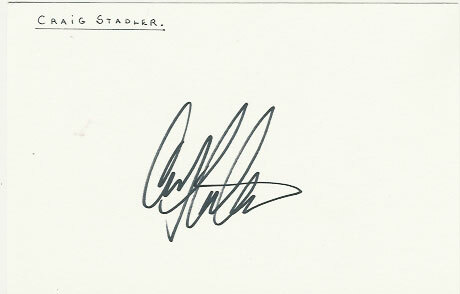 Cheltenham - 24 October 2000. Print faded. 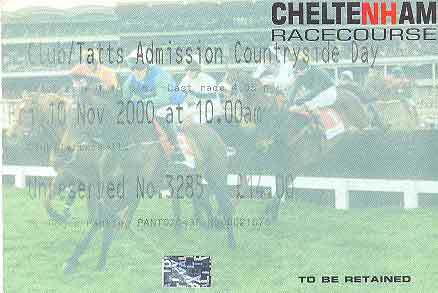 Cheltenham - 10 November 2000. Print fading. 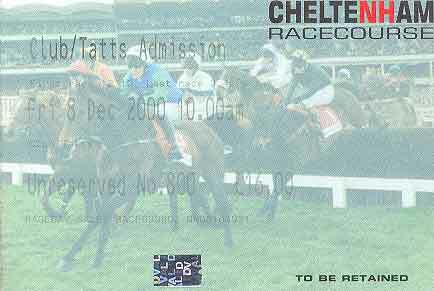 Cheltenham - 8 December 2000. Print fading. 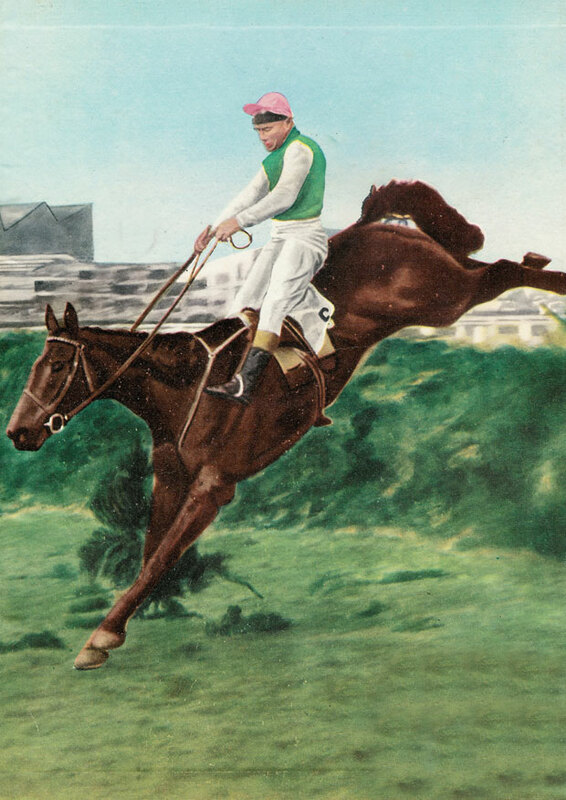 Michael Scudamore winning the 1959 Grand National on Oxo - a modern reproduction quality poster with superb illustration, size A2 (59.4cm x 42cm = 23.4" x 16.5") in excellent condition, ideal for framing. 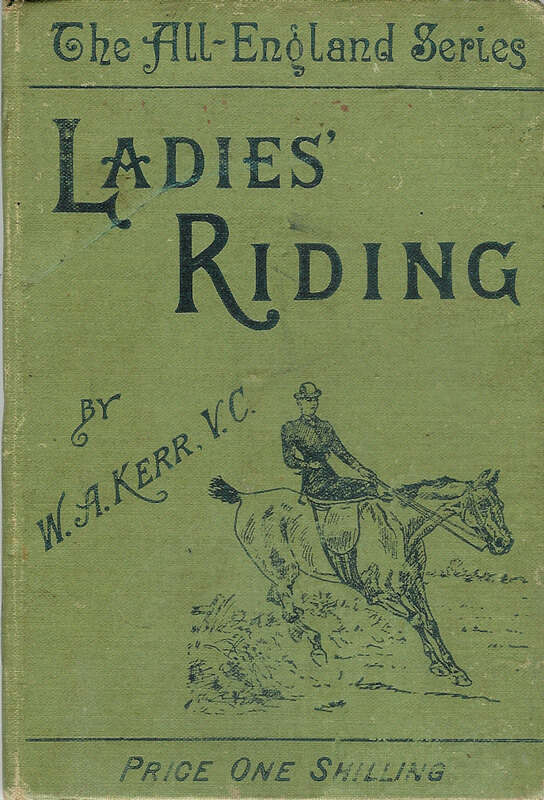 LADIES RIDING by W A KERR V.C. 1891 ALL ENGLAND SERIES BOOK - Horsemanship and riding for ladies, this book would make a lovely gift for the lover of riding, a wonderful step back in time with quaint illustrations and advice. "Port Perry" Canada Ice Hockey Minature stick. 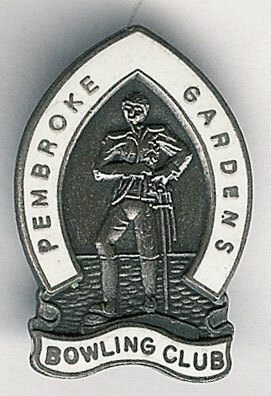 Port Perry is a Canadian minor hockey association. 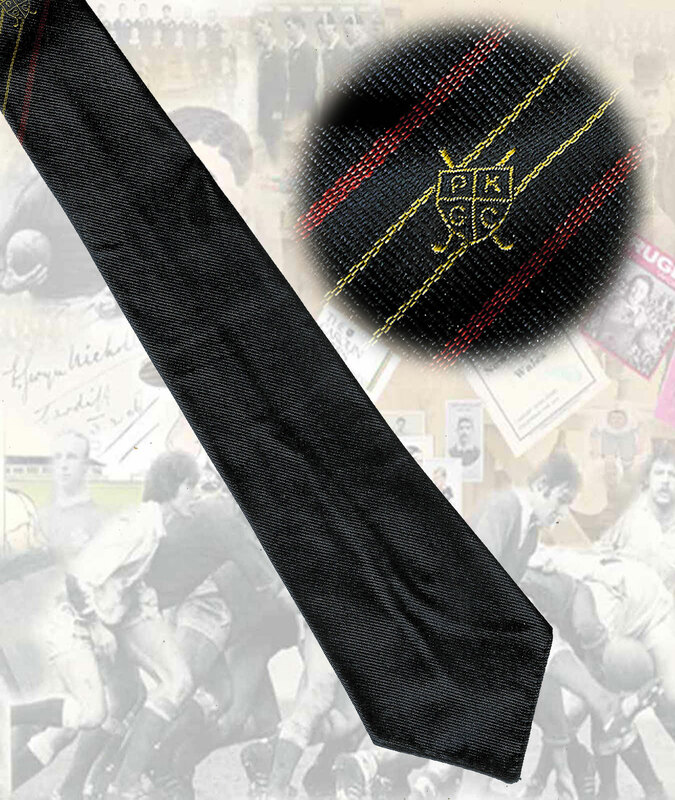 The stick is plastic, length 45cm and is in very good condition. 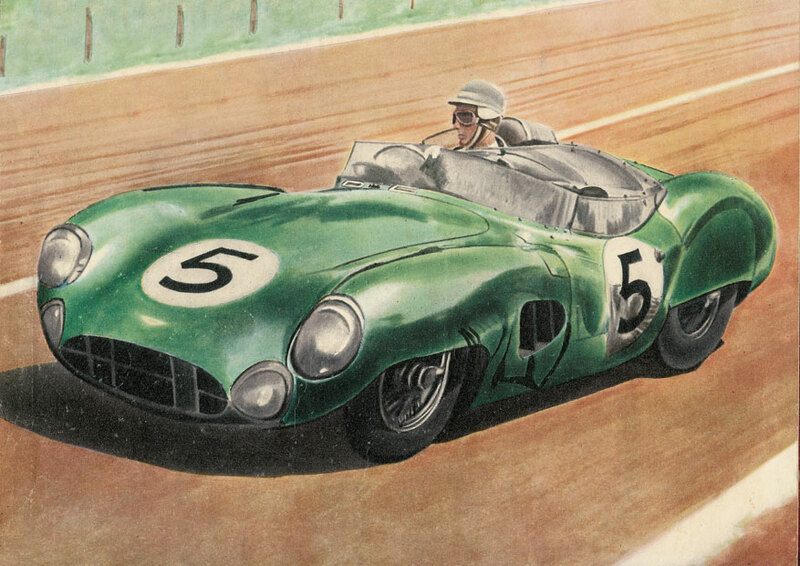 Roy Salvadori at the wheel of his Aston Martin, Le Mans 1959 - a modern reproduction quality poster with superb illustration, size A2 (59.4cm x 42cm = 23.4" x 16.5") in excellent condition, ideal for framing. 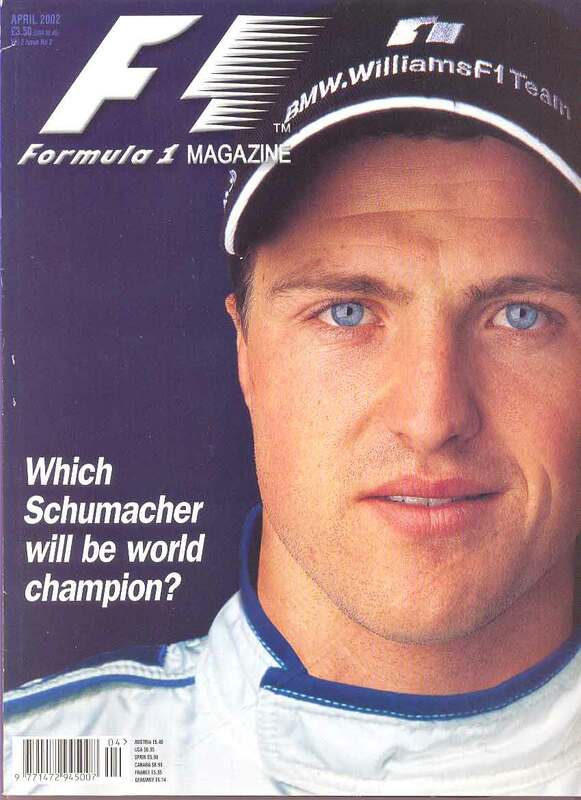 F1 Racing - April 2002 - includes which Schumacher will be world champion, , Ron Walker, Felipe Massa, Enrique Bernoldi, race reviews (Australia and Malaysia) and previews (Brazil & San Marino), Paul Stoddart. Excellent condition. 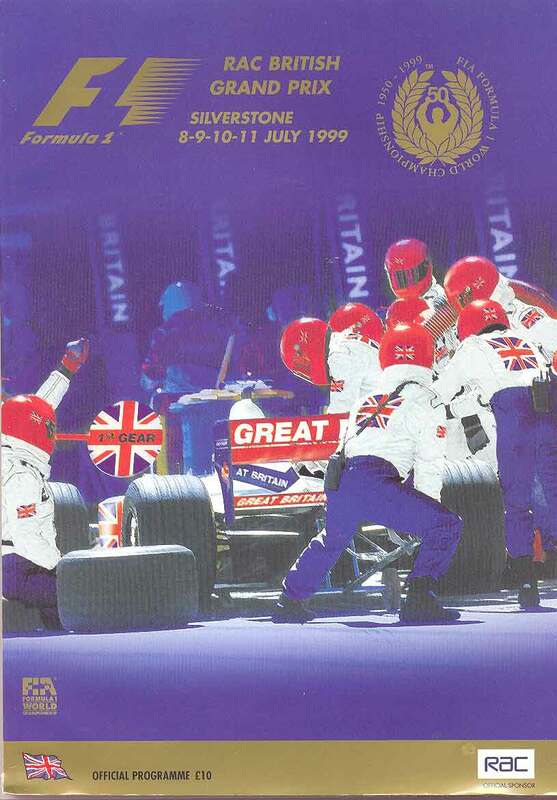 RAC British Grand Prix at Silverstone from 8 to 11 July 1999 racecard. 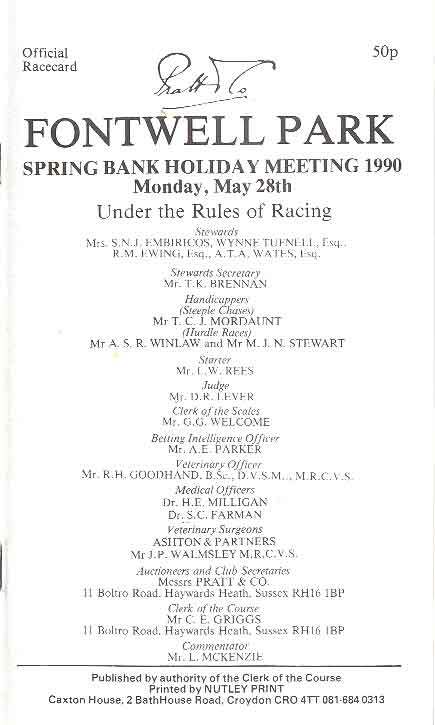 A 38 page racecard in excellent condition. 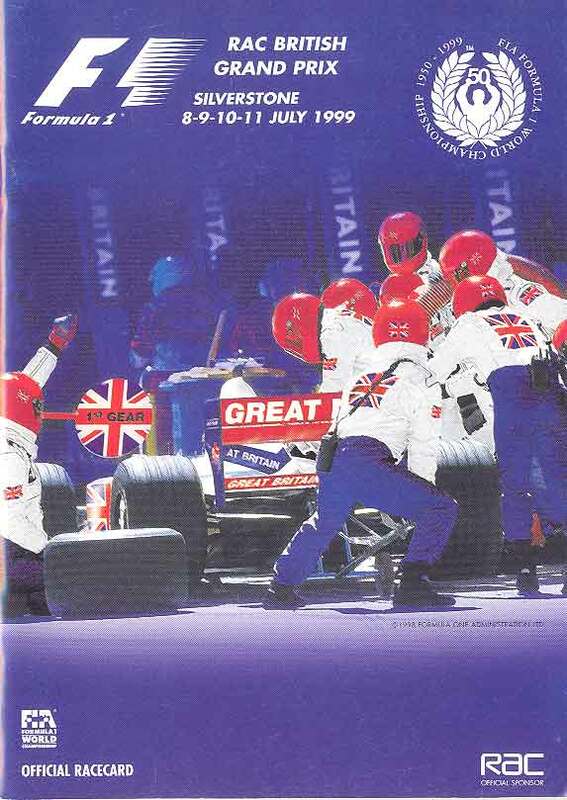 RAC British Grand Prix at Silverstone from 8 to 11 July 1999 programme. A large A4 size 178 page programme in excellent condition. 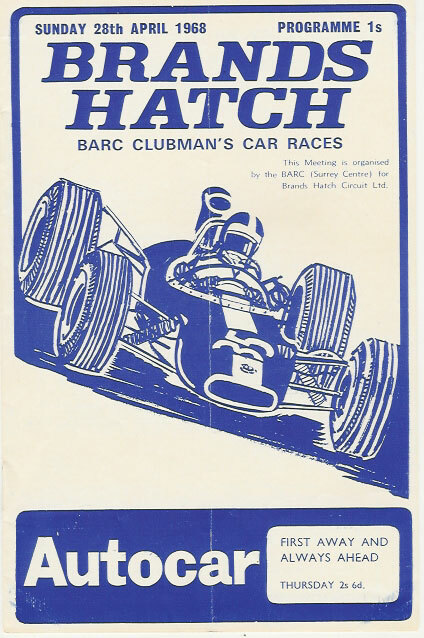 Brands Hatch BARC Clubman's Car Races 28 Apr 1968 Official Programme. 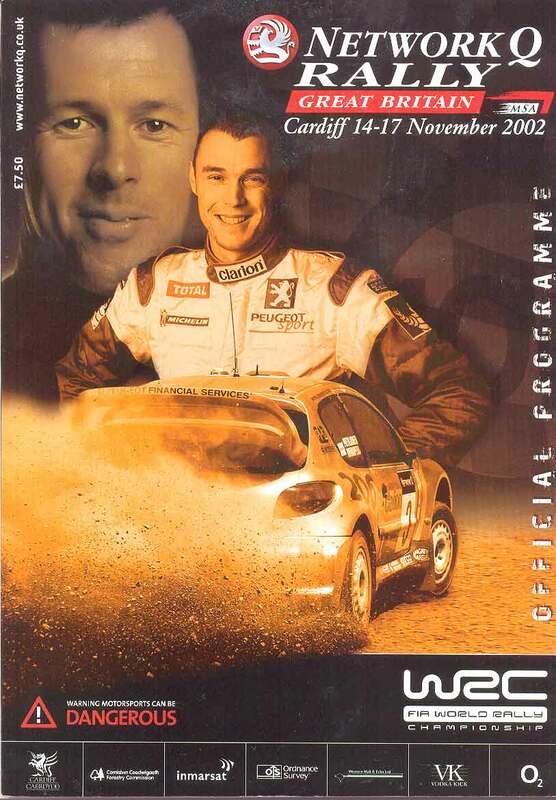 Includes a list of drivers in all classes, a 12 page programme with a single crease, generally in good condition. 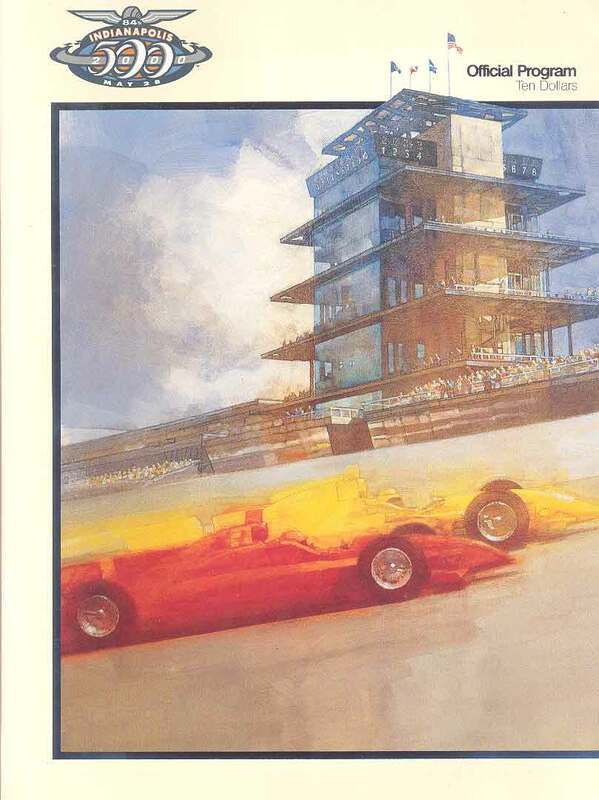 Indianapolis 500 on 28 May 2000 programme. The 84th running of the race. 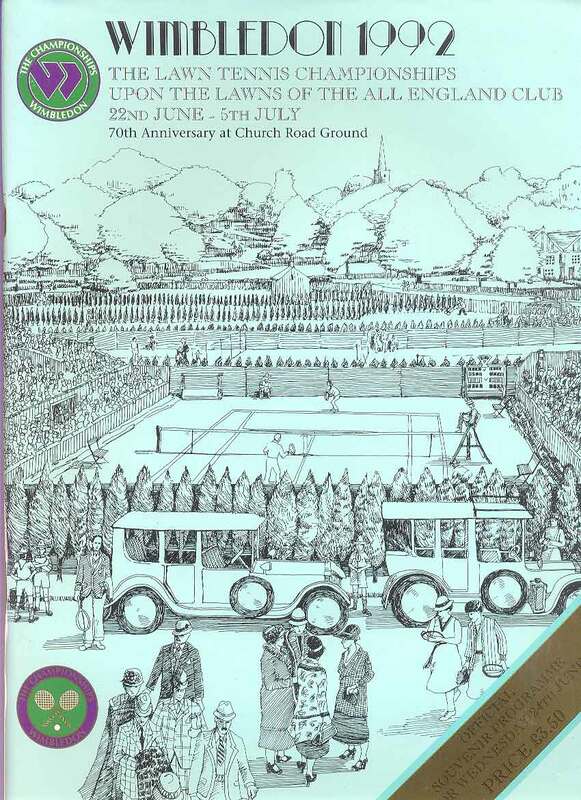 a large format 224 page programme in very good condition. 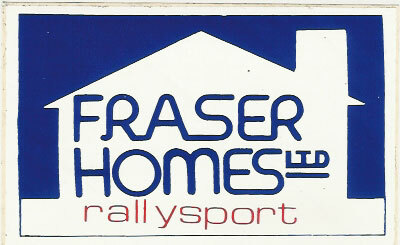 Lombard RAC Rally 22- 26 November 1992. A 64 page A4 size programme in excellent condition. Network Q Rally from 14 to 17 November 2002. 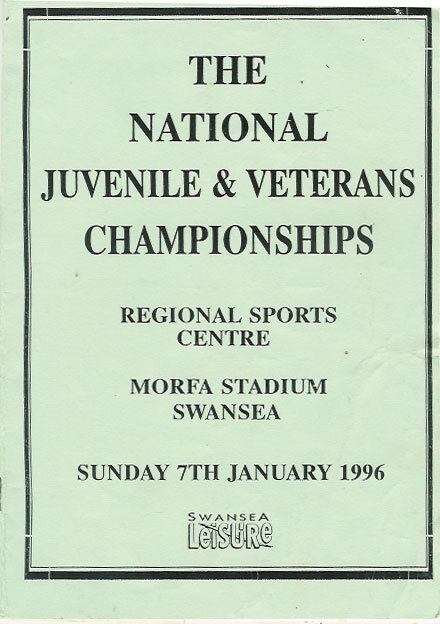 A 146 page A4 size programme in excellent condition. 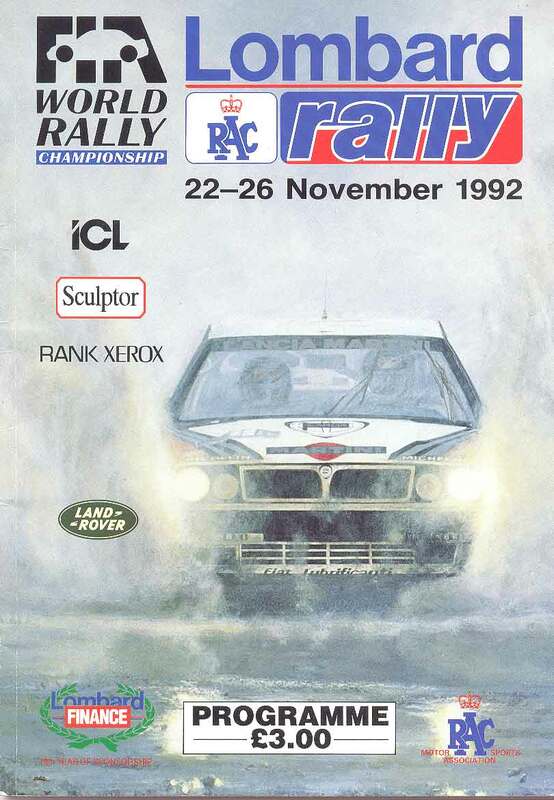 Lombard RAC Rally from 22 to 26 November 1992. 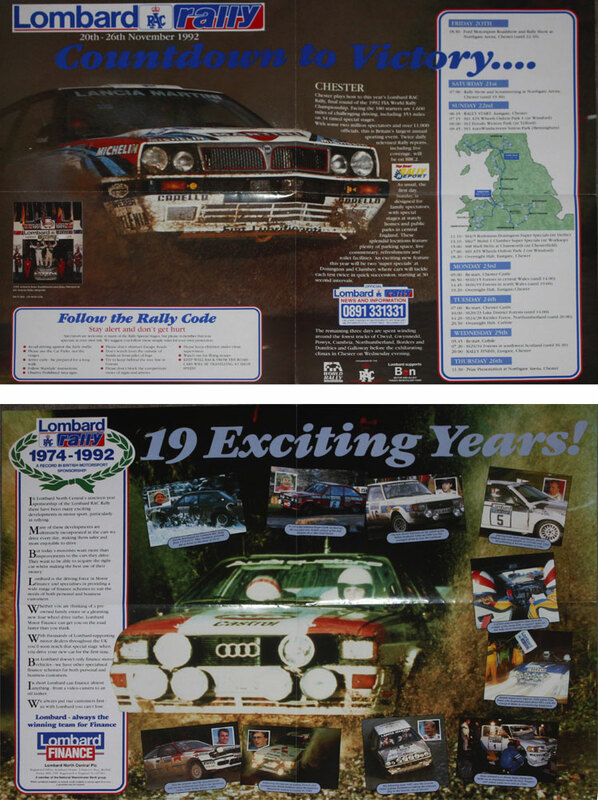 A double sided A2 size poster, side 1 is titled 19 years and charts the history of Lombard's sponsorship of the rally, side 2 is the itinerary of the 1992 rally, the poster is folds into A4 size and will be posted in a board backed envelope, not a tube, generally in excellent condition. 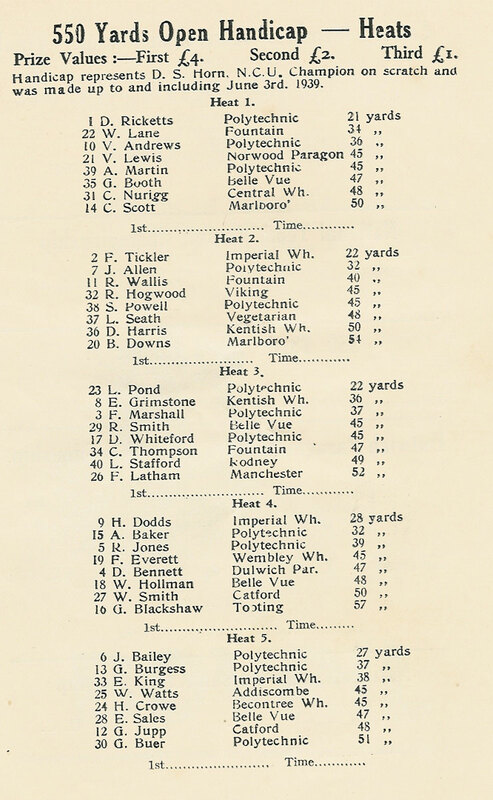 1931 Oxford v Cambridge University Boat Race 21 March programme, Putney to Mortlake. 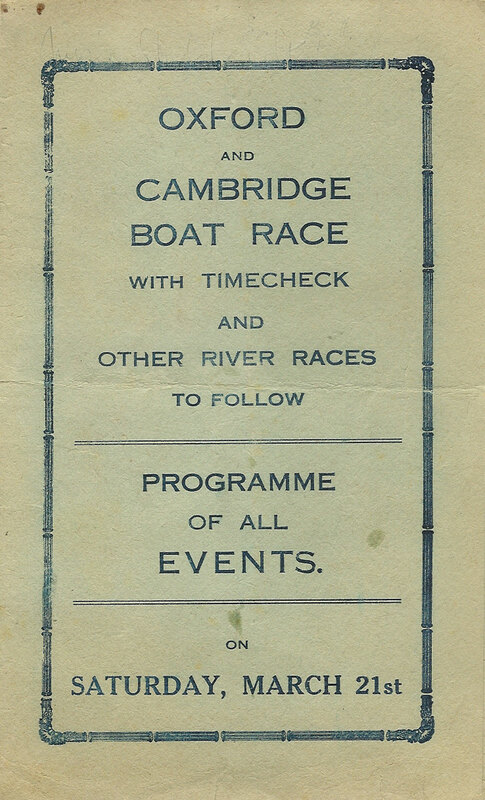 The race was won by Cambridge by 2.5 lengths, it is unknown whether or not this is an official programme. 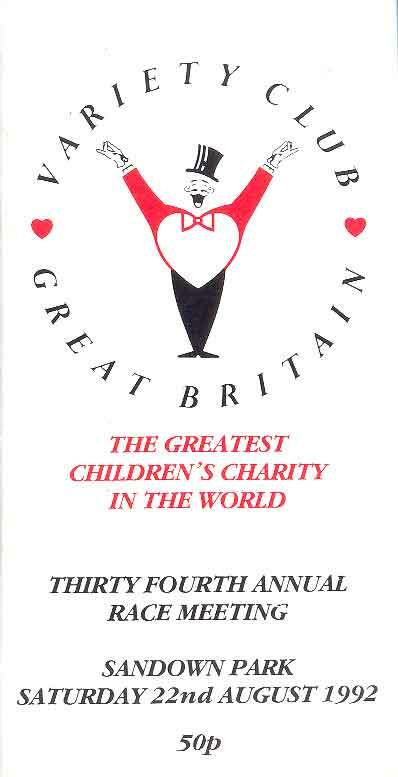 A 4 page fold over card programme with folding creases, it is generally in good condition. 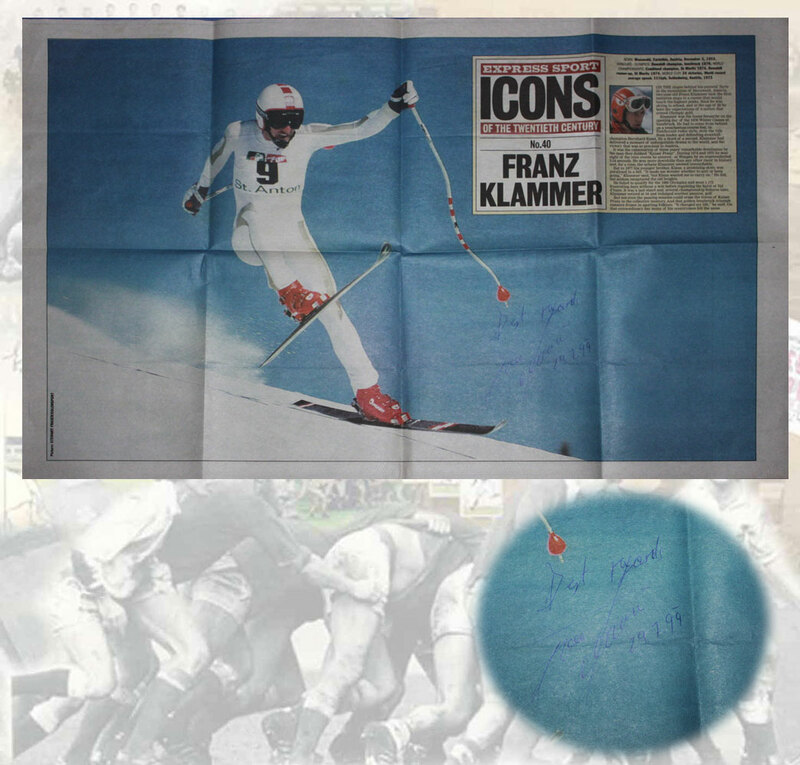 Double page photograph of Franz Klammer in action from The Sunday Express newspaper on 17 January 1999. 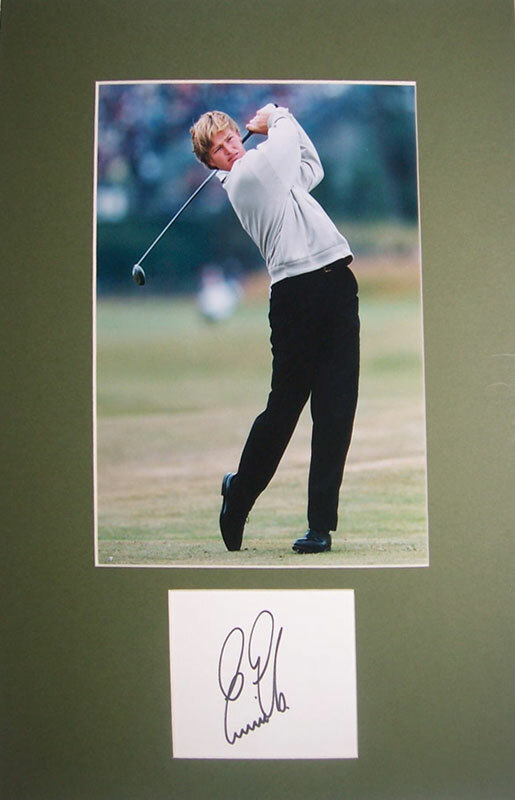 Picture signed by Klammer dated 29 July 1999. Folding creases. 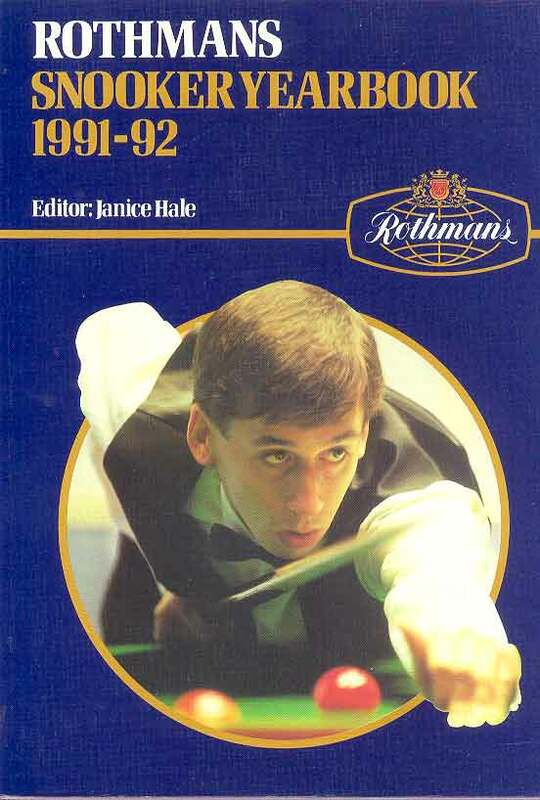 Rothmans Snooker Yearbook 1991-92. 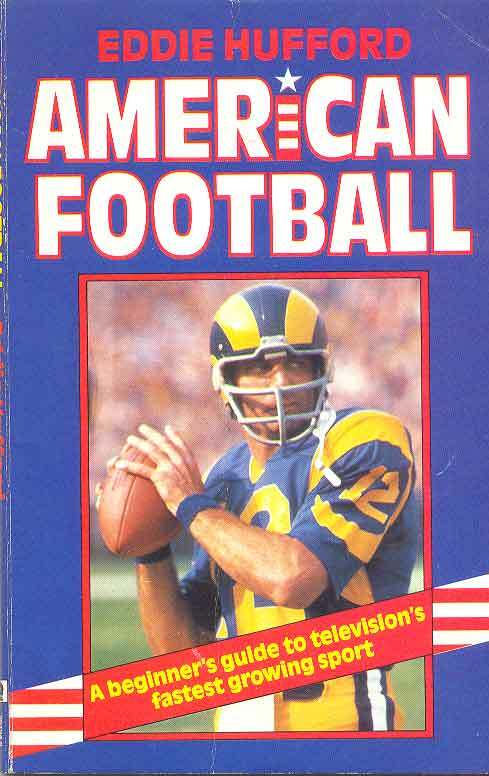 A 382 page annual in excellent condition. 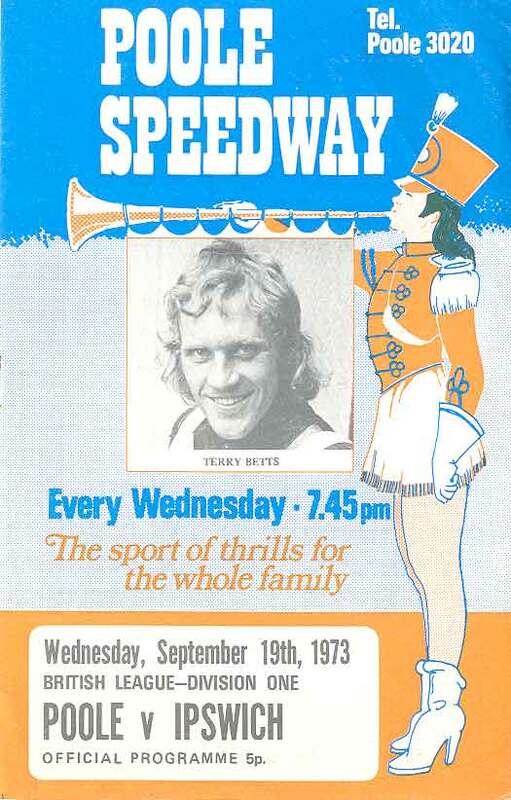 Speedway Star - week ending 2 September 1978. Wembley Special. 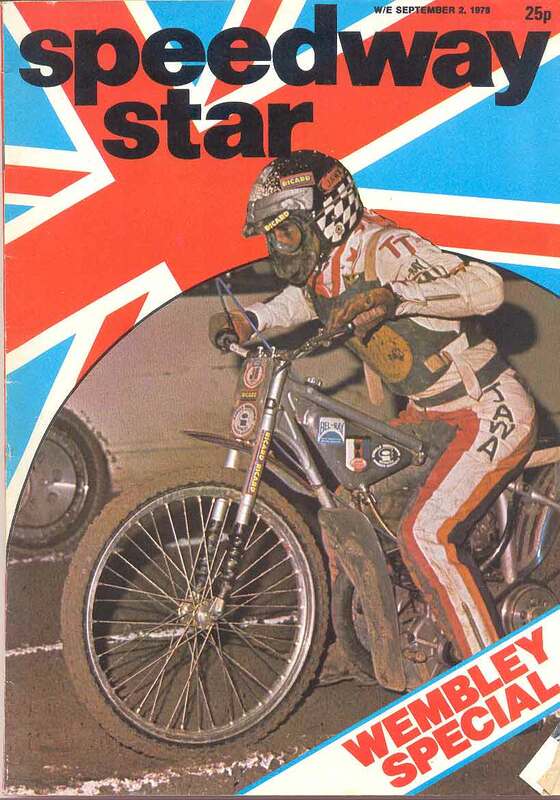 World finals, profile of finalists, Roy Hindle, Bengt steps down, Chris Pusey, Gary Guglielmi, Trackstar junior league. Slight crease and tear. 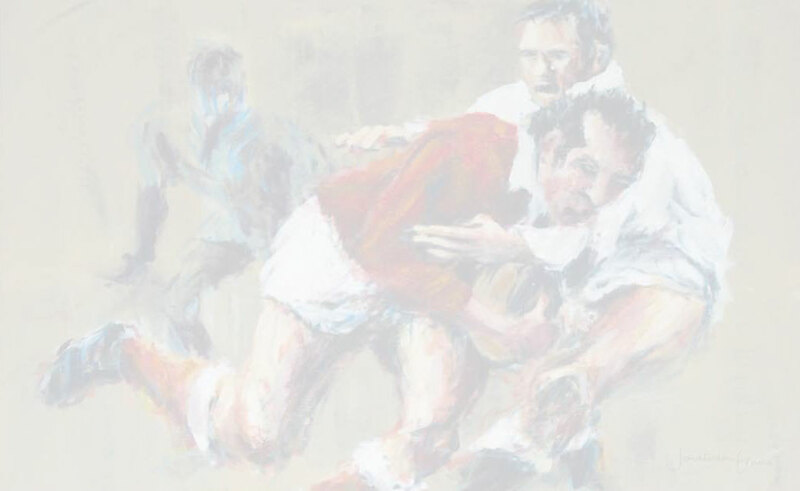 Bradford Northern v Rochdale Hornets on 2 September 1970. Results inked in otherwise in very good condition. Poole v Ipswich on 19 September 1973. Results inked in otherwise in very good condition. 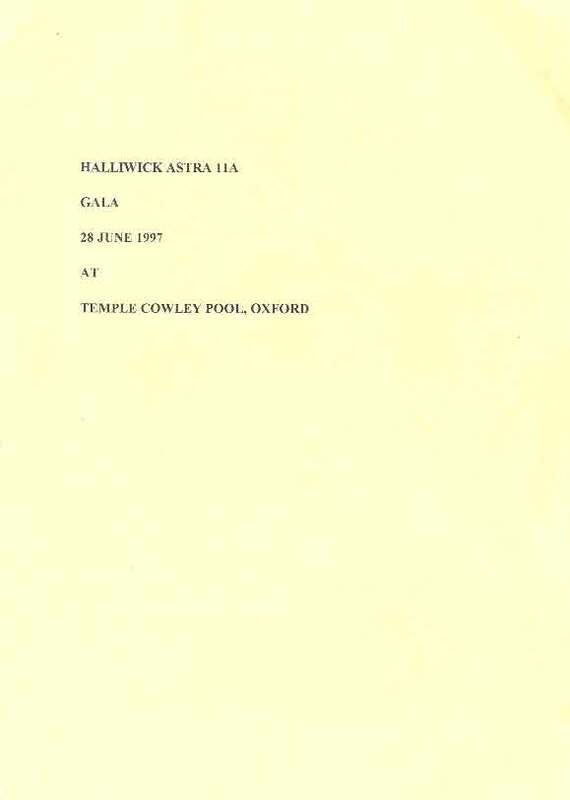 Halliwick Astra 11A Gala at Temple Cowley Pool, Oxford on 28 June 1997. Team changes inked in otherwise in good condition. 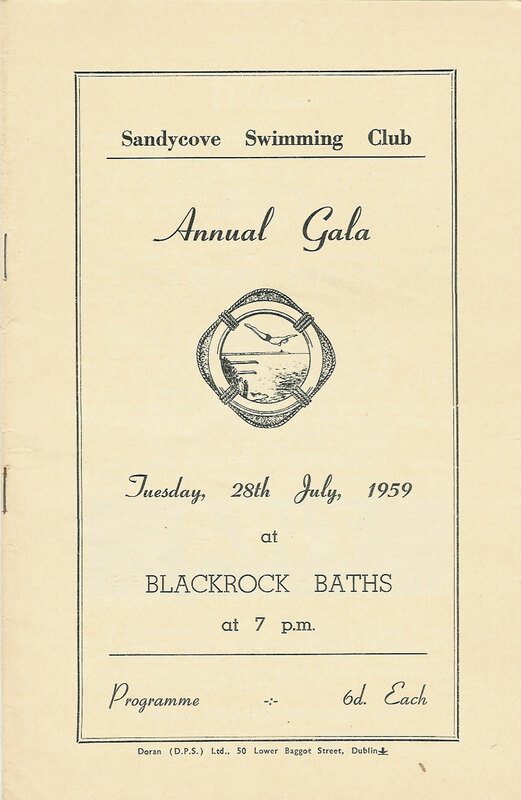 SANDYCOVE SWIMMING CLUB ANNUAL GALA 1959 at BLACKROCK BATHS, DUBLIN IRELAND PROGRAMMES - A 28 page programme for the Sandycove Annual Gala on the 28 July 1959 including an exhibition of highboard, springboard and flight diving by Brian Phelps and others. 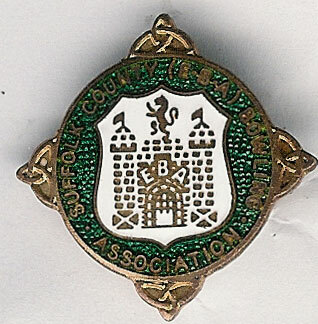 The programme has some light creasing, generally it is in very good condition. 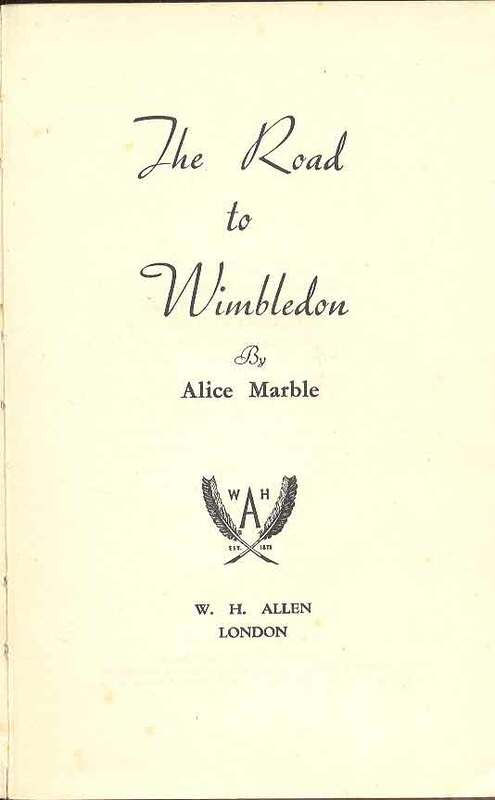 This book covers tennis in the 1920s through to 1939, a delightful autobiography of an American tennis star, full of the great names from tennis's past. Illustrated with b/w photos. 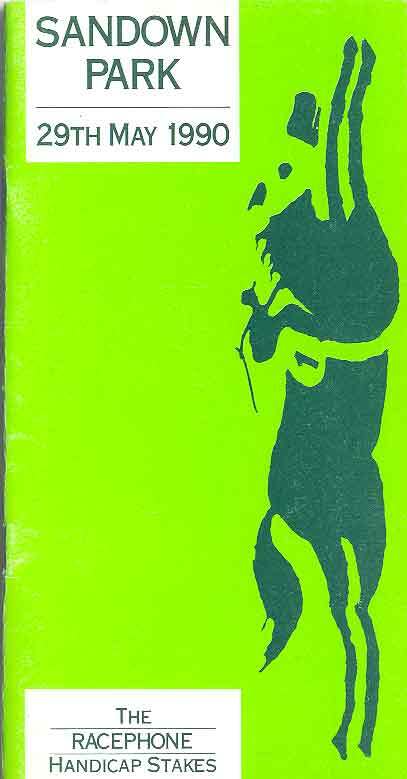 A secondhand hardback without a dust wrapper, covers & spine worn with a sticker (partially removed) to the front cover. 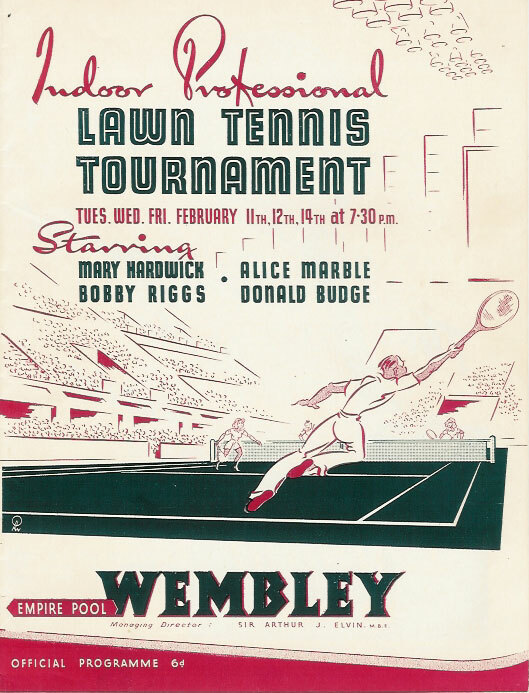 INDOOR PROFESSIONAL LAWN TENNIS TOURNAMENT, 11 FEB 1947 at WEMBLEY PROGRAMME. 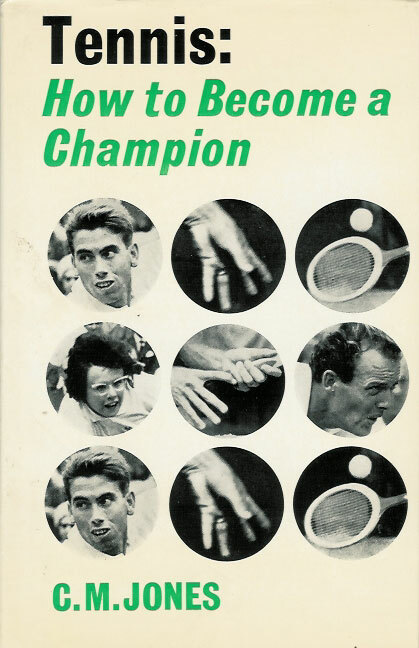 - An exhibition tournament lasting 3 days held at the Wembley Empire Pool and Sports Arena between Mary Hardwick, Alice Marble, Bobby Riggs & Donald Budge. 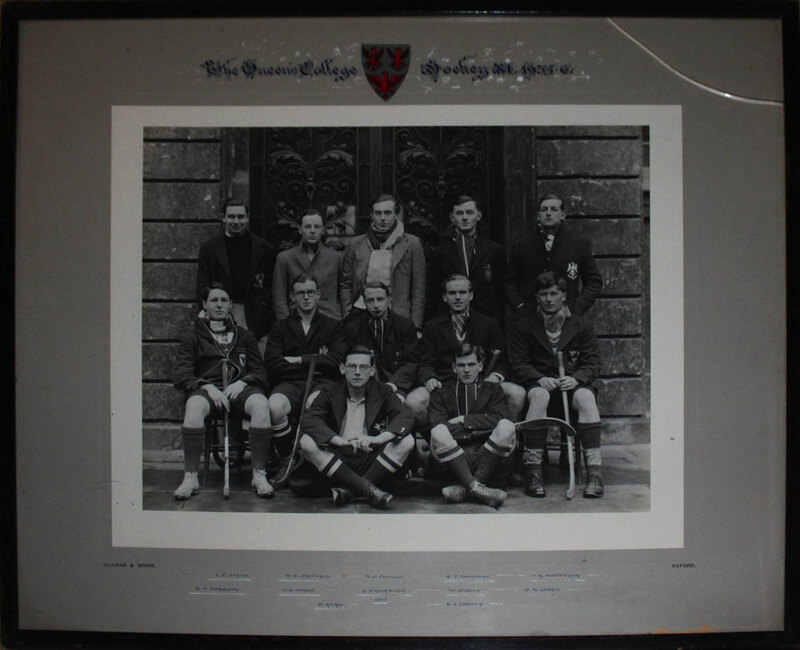 The programme includes player photos and statistics. 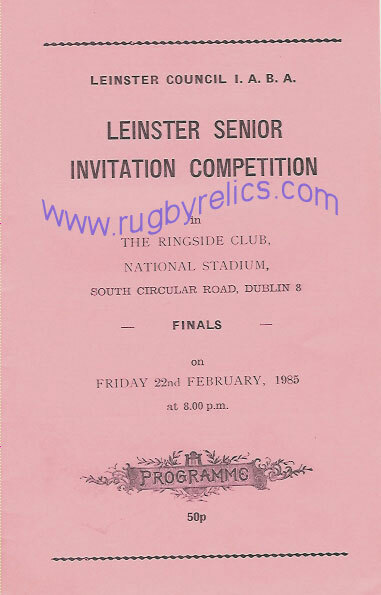 A 16 page programme in very good condition, match scores noted to the centre pages in pencil. 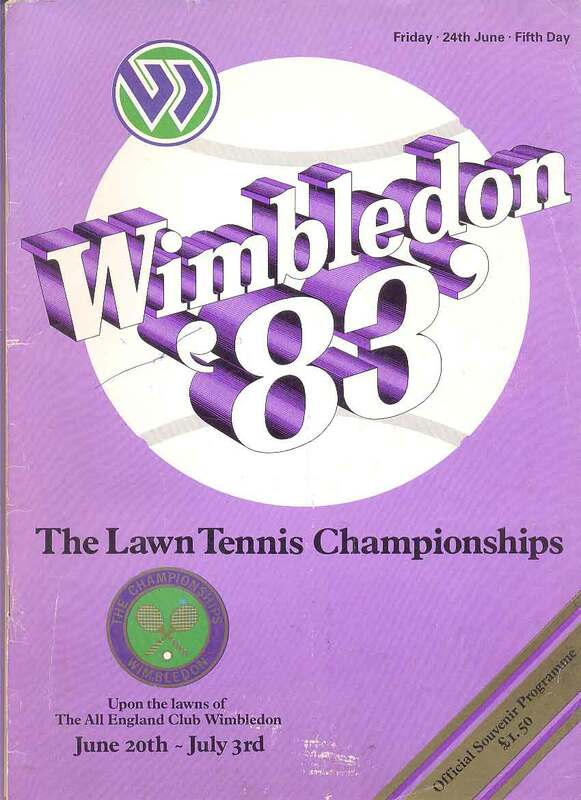 Wimbledon 1988 - The Lawn Tennis Championships from 20 June to 3 July 1988. 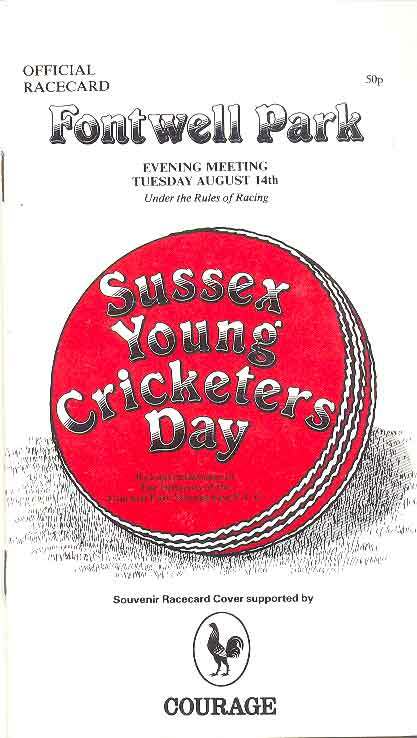 Programme for the 6th day 25 June 1988. 108 page programme in good condition. 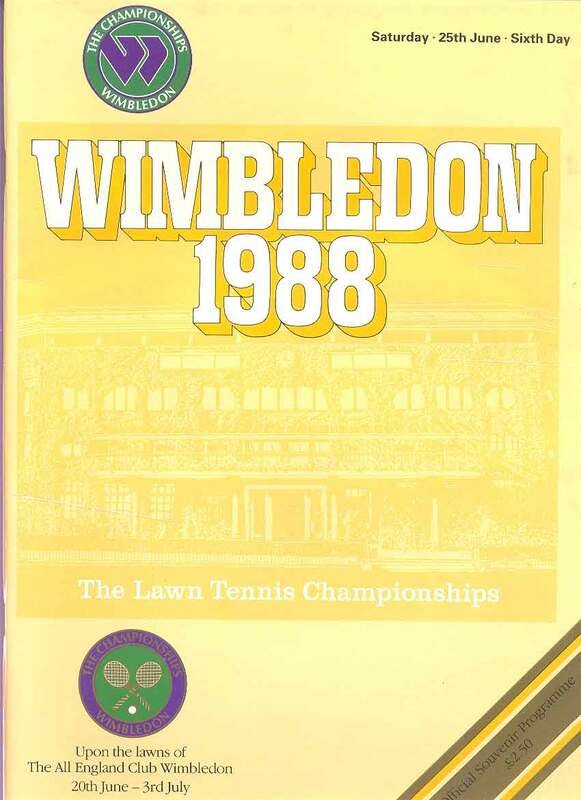 Wimbledon 1992 - The Lawn Tennis Championships from 22 June to 5 July 1992. 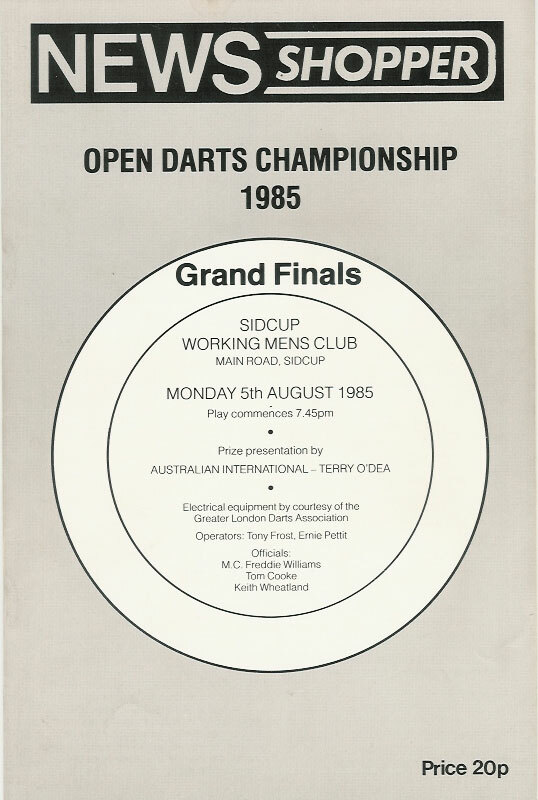 Programme for day 3, 24 June 1992. A 120 page programme in very good condition. 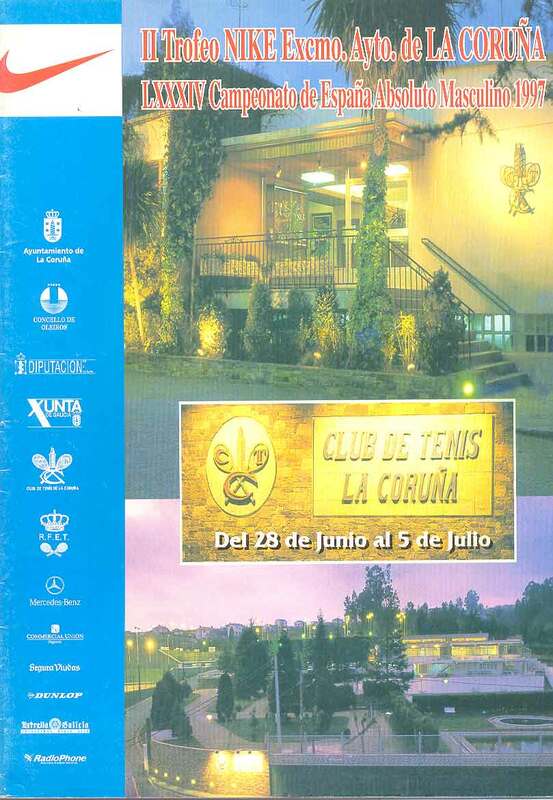 Spanish Men's Championship 1997 at La Coruna Tennis Club from 28 June to 5 July 1997. A 46 page programme in very good condition. 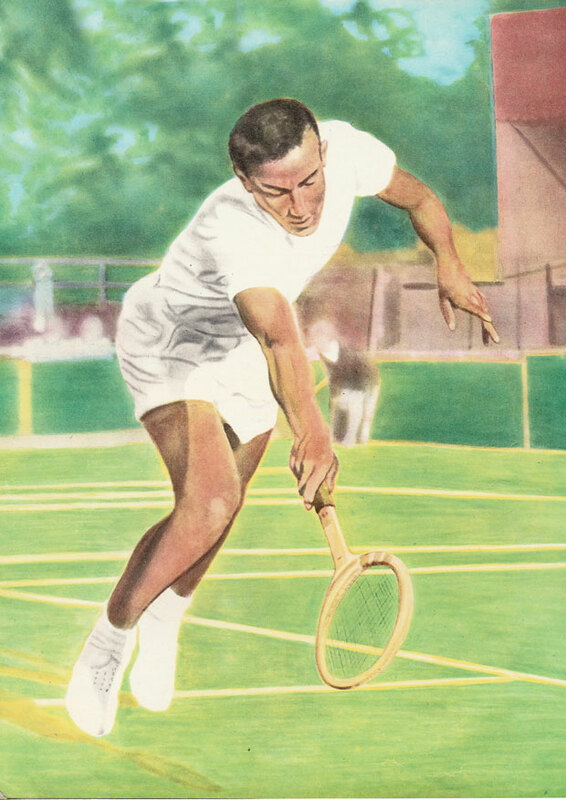 Alex Olmedo (USA) tennis champion - modern reproduction quality poster with superb illustration, size A2 (59.4cm x 42cm = 23.4" x 16.5") in excellent condition, ideal for framing. 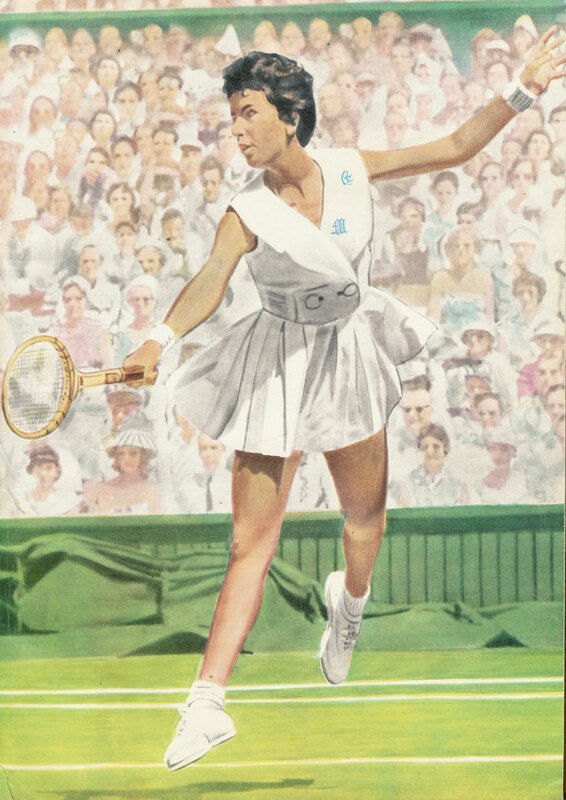 Maria Bueno Brazil Tennis Champion - 1st South American winner of the ladies singles at Wimbledon modern reproduction quality poster with superb illustration, size A2 (59.4cm x 42cm = 23.4" x 16.5") in excellent condition, ideal for framing. 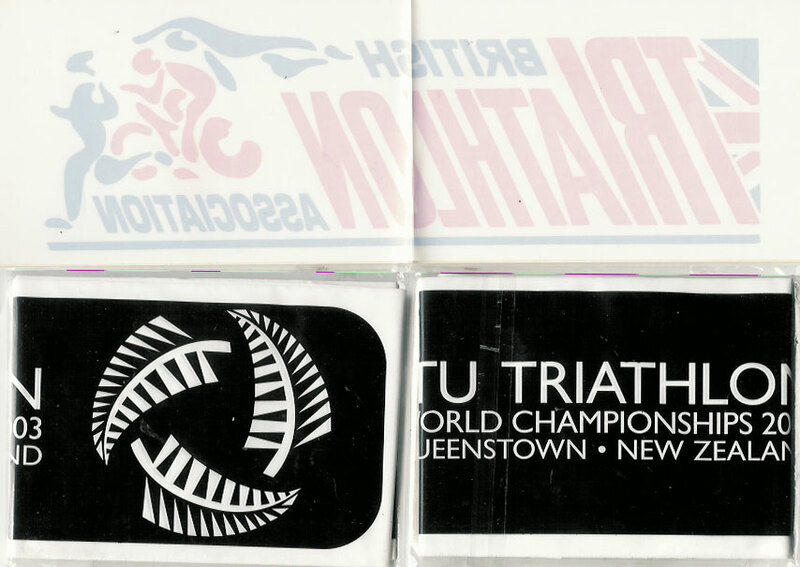 ITU Triathlon World Championships, Wellington, New Zealand 1994 - Wellington 27 November 1994. 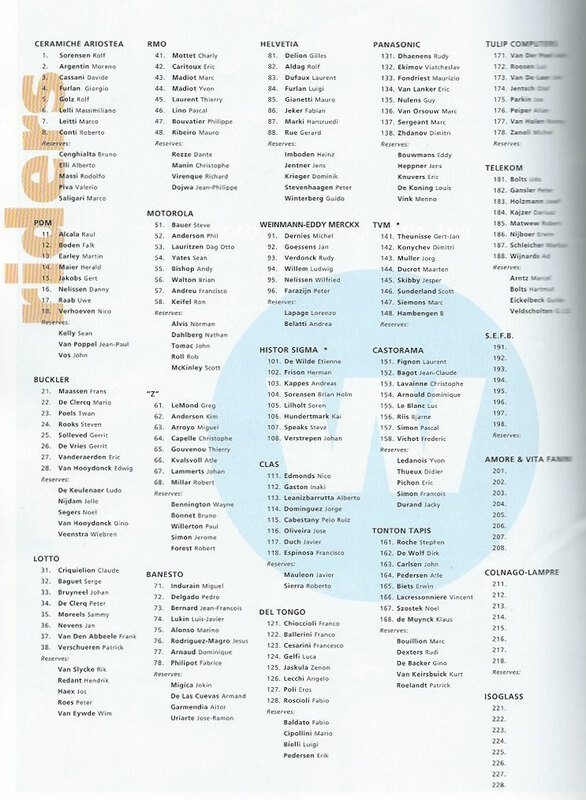 The men's race was dominated by the fearless Spencer Smith, containing a full list of competitors for all age group races this is a 52 page programme in very good condition. 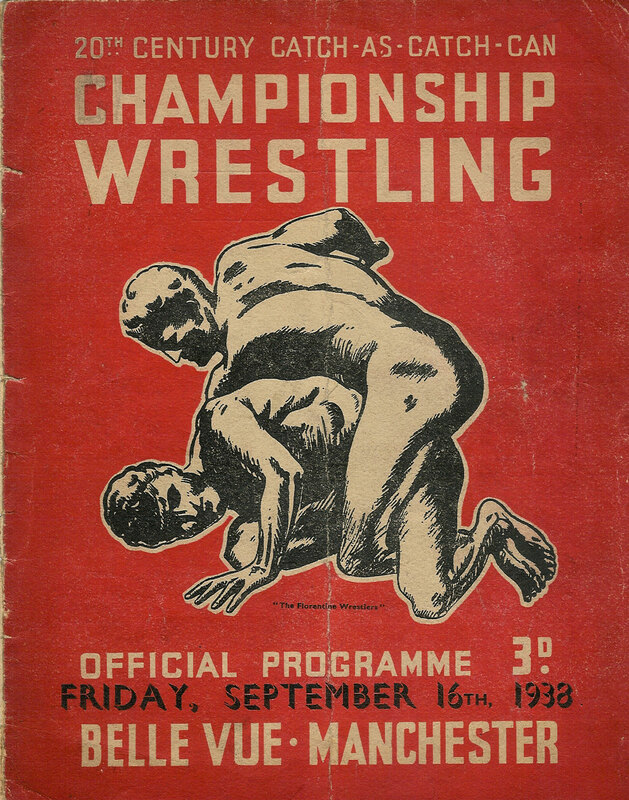 CATCH AS CATCH CAN CHAMPIONSHIP WRESTLING PROGRAMME 1938, BELLE VUE, MANCHESTER, 16th September. 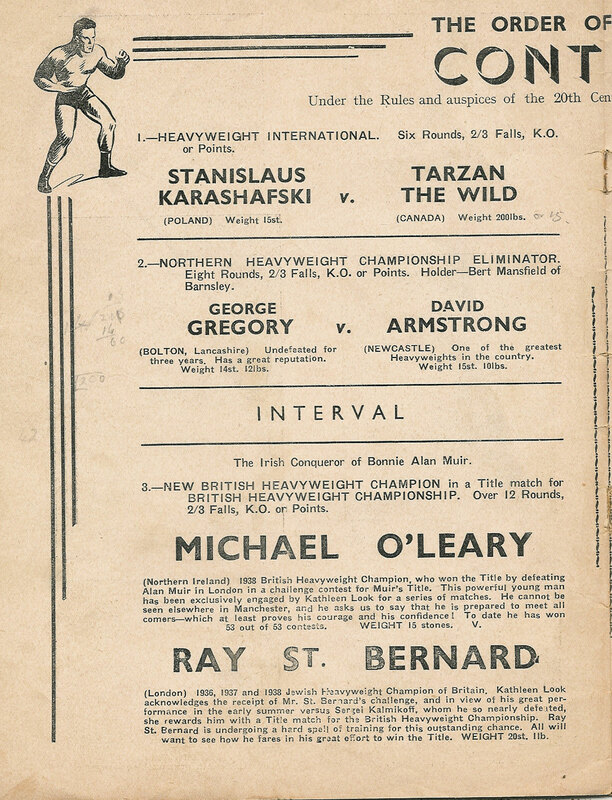 A 12 page programme for this international wrestling promotion. 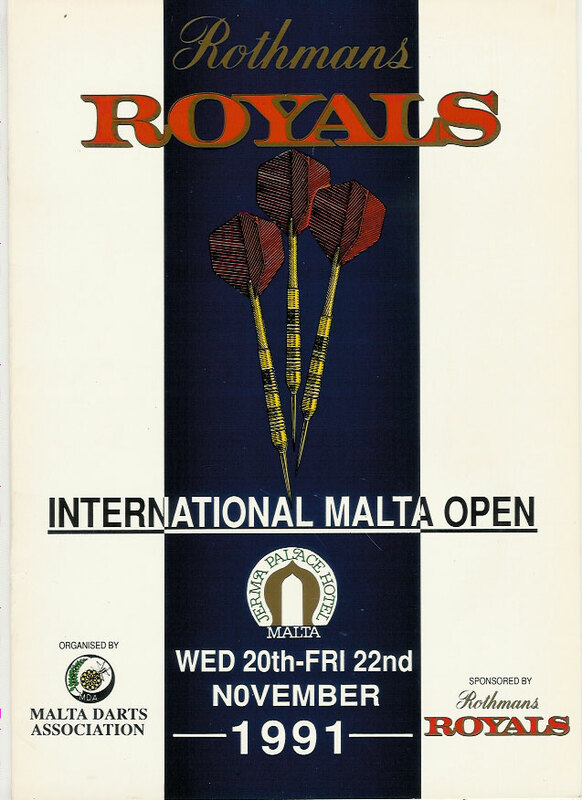 Bouts include Maxie Martinschutz (Germany) v Vickie Hessle (Austria), The Angel (Russia) v Karl Reginsky (Germany), Michael O'Leary (N Ireland) v Ray St Bernard (London). 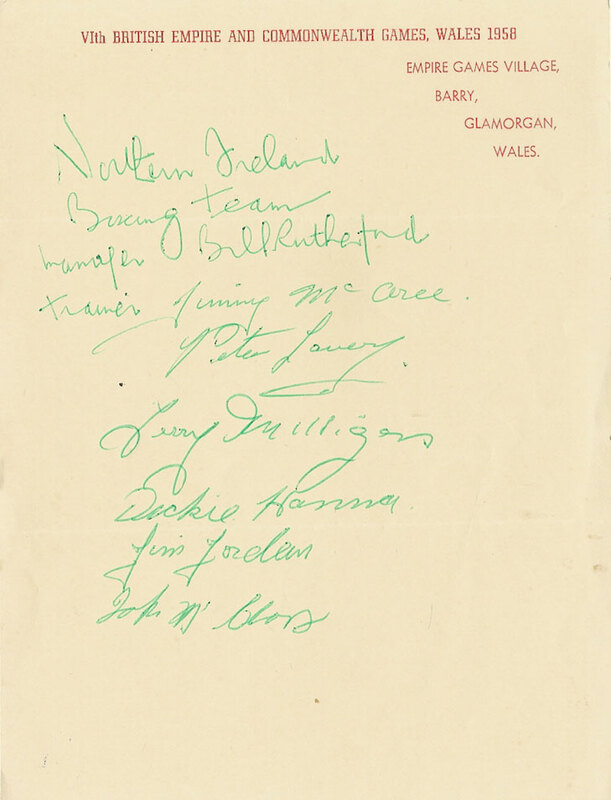 Other pages not illustrated include photographs and cartoon sketches of some of the wrestlers and a list of heavy weight wrestling champions around the world. 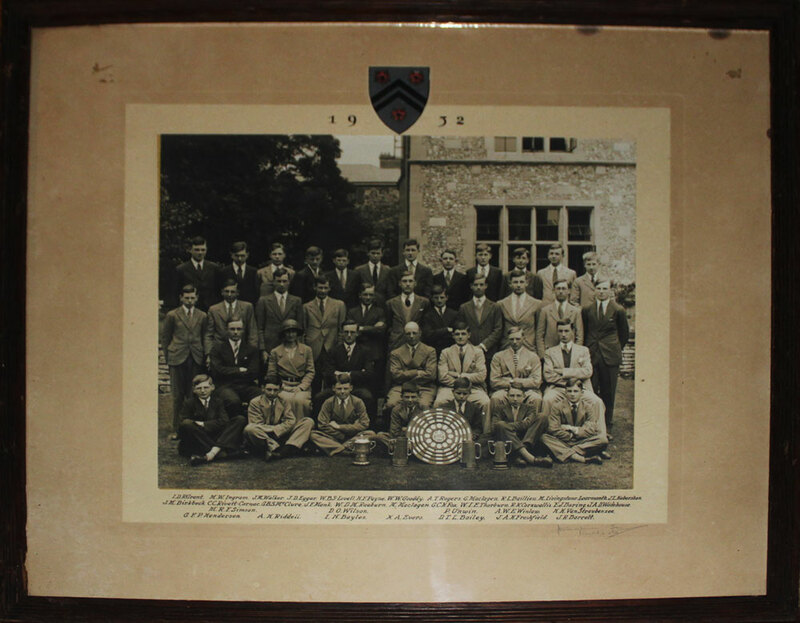 Unknown College Sporting Group 1932 with trophies, framed and glazed, total size 48cm x 41cm, photo by Salmon of Winchester. 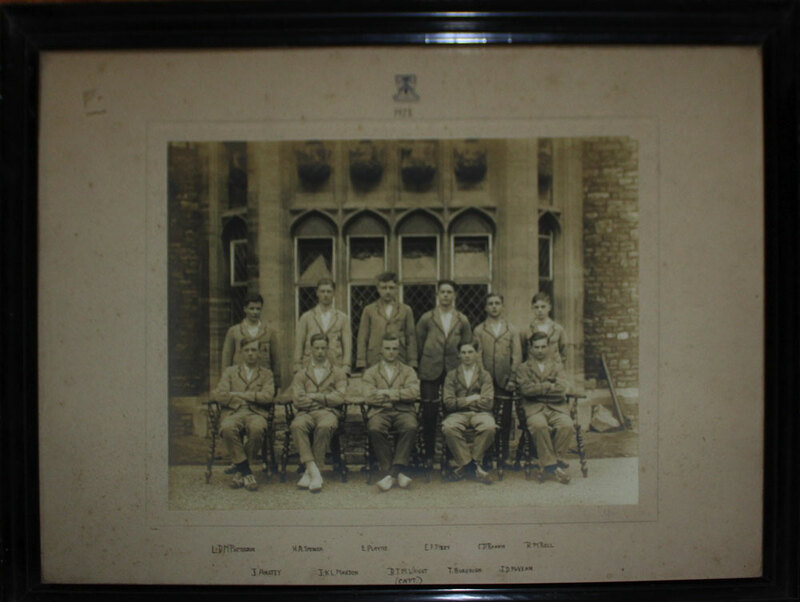 Unknown English public school cricket or hockey team 1923 - players named underneath, total size 49cm x 39cm, framed & glazed.